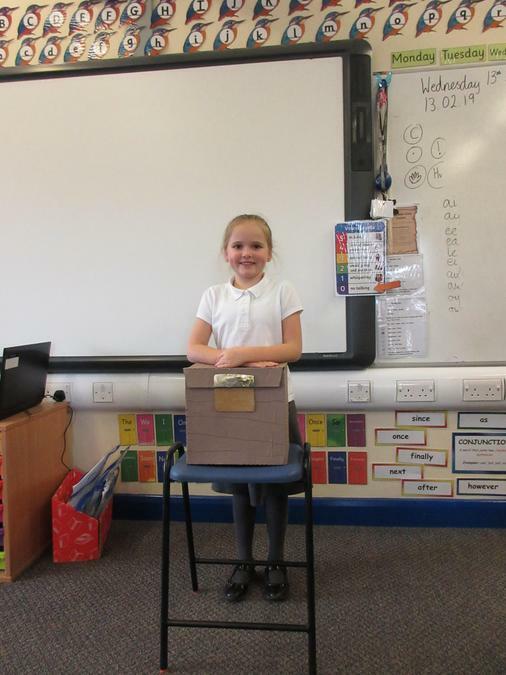 Your class teacher is Miss Inkpen. 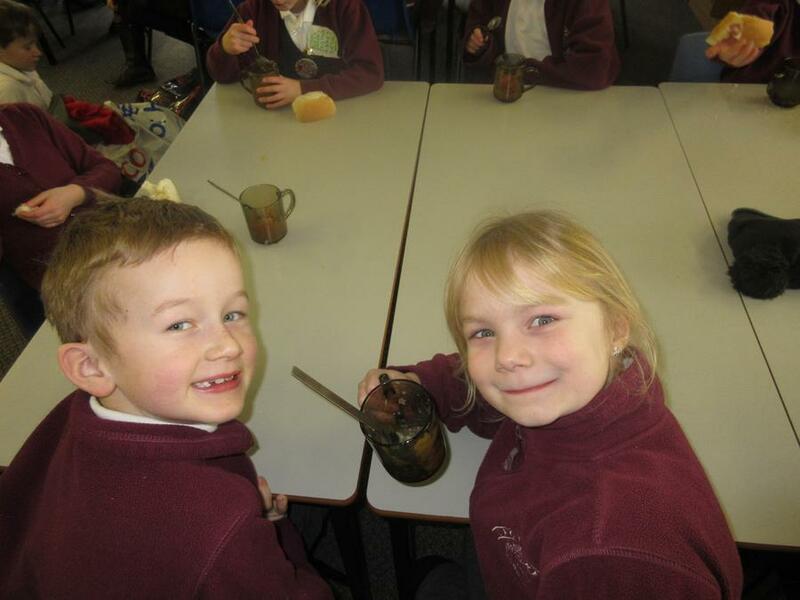 Mrs Sillitoe will be working with us every morning. 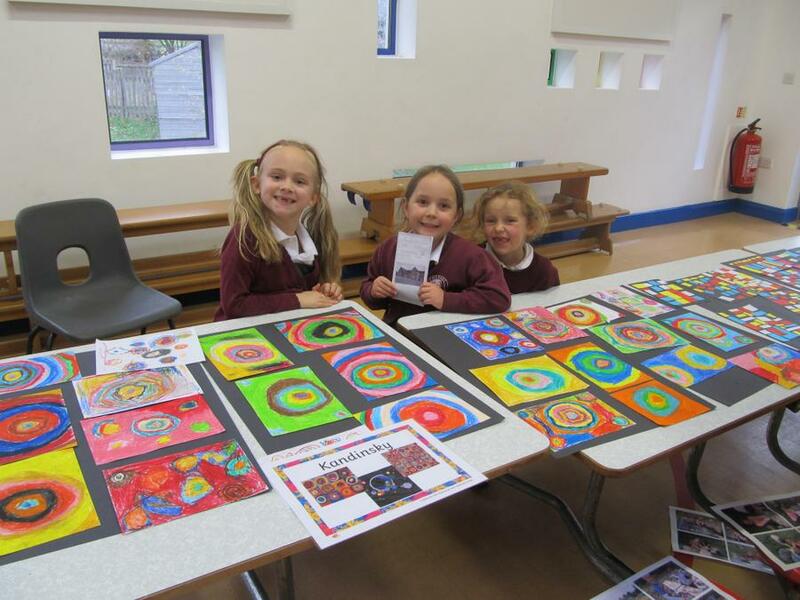 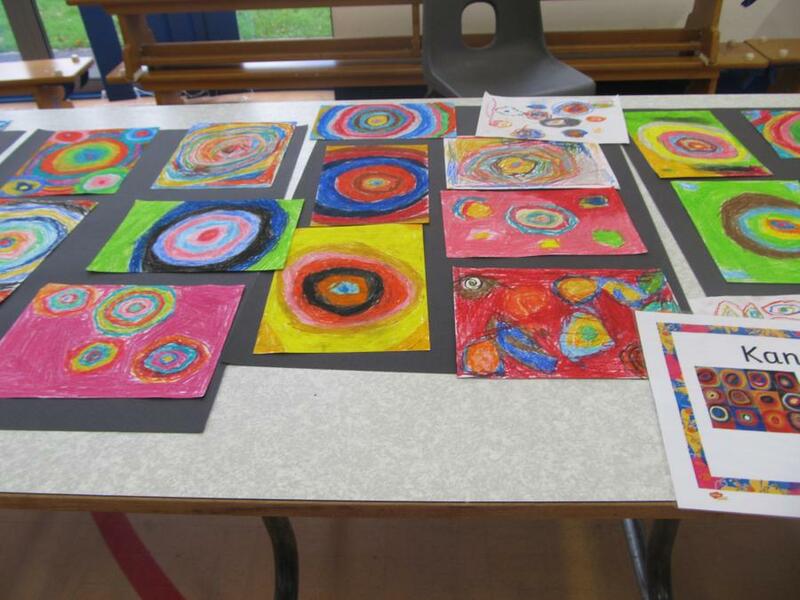 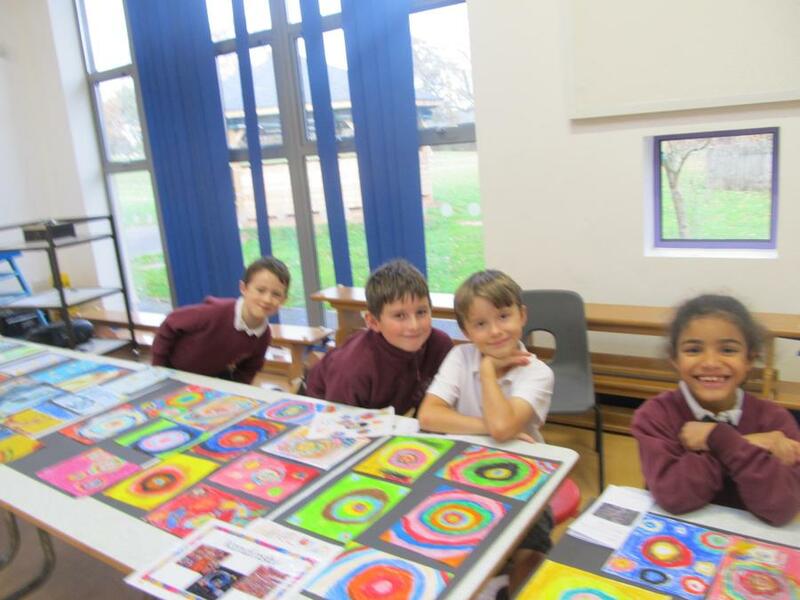 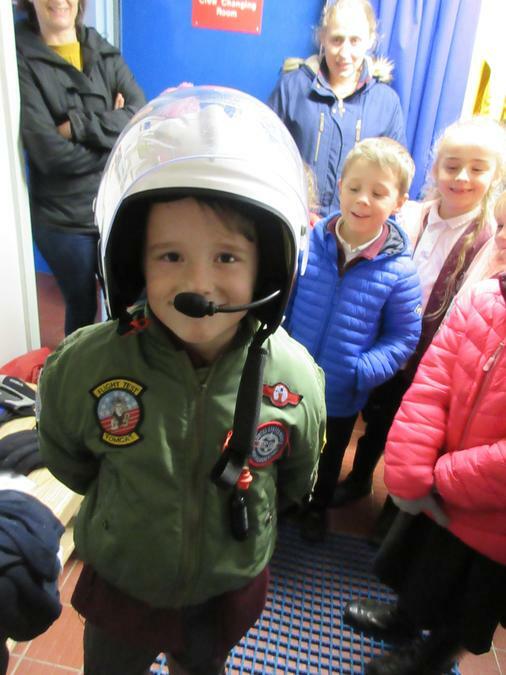 What a busy term we have had! 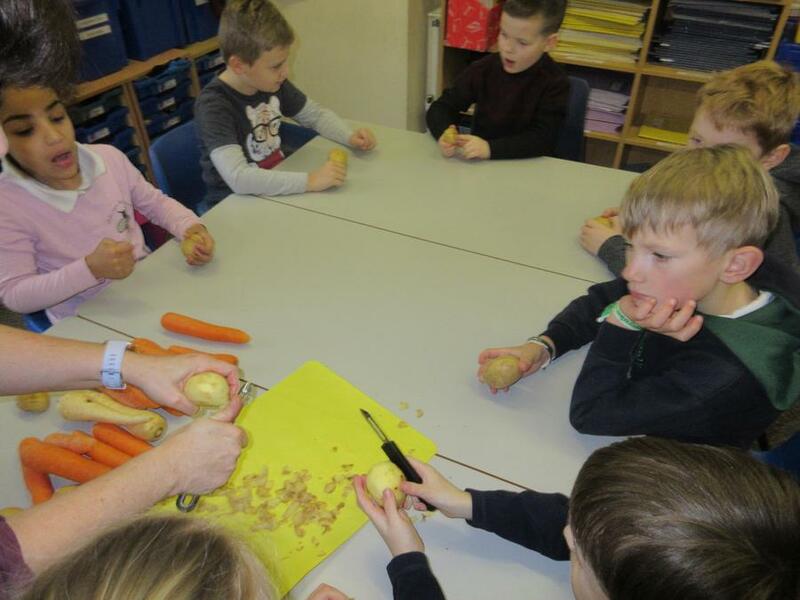 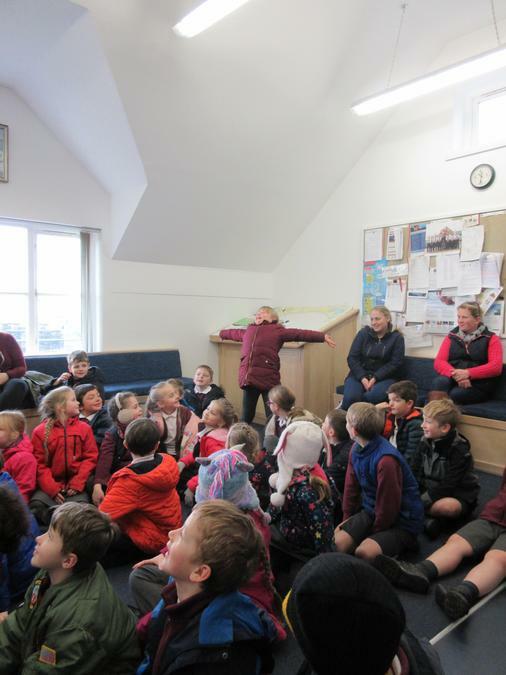 The year twos have been busy doing their 'quizzes' and the year threes have been learning about angles, speech and much more with Mrs Sillitoe. 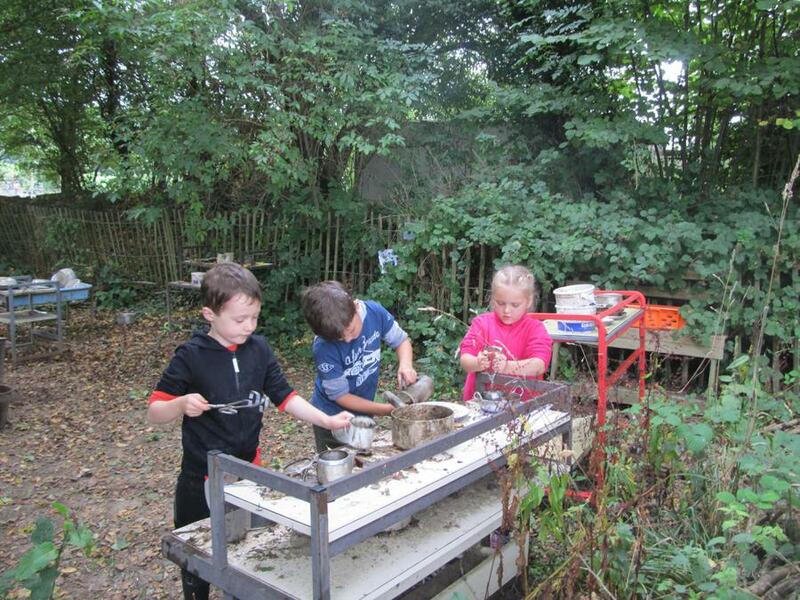 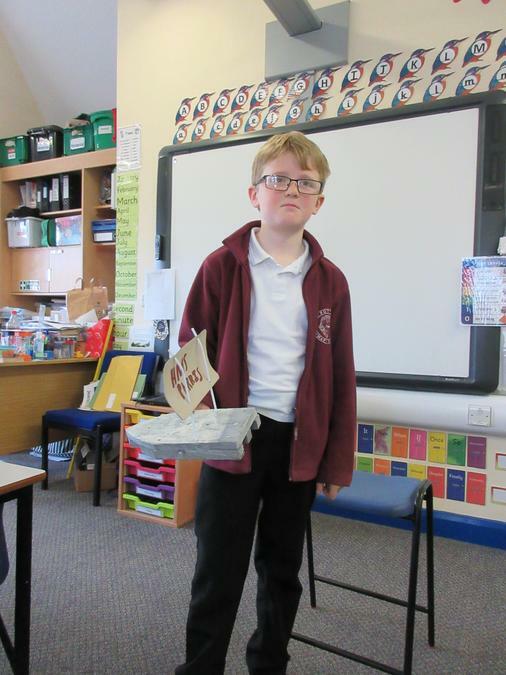 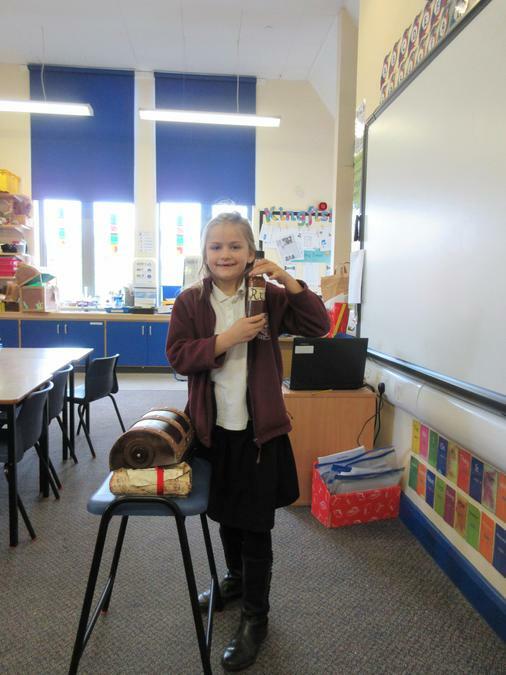 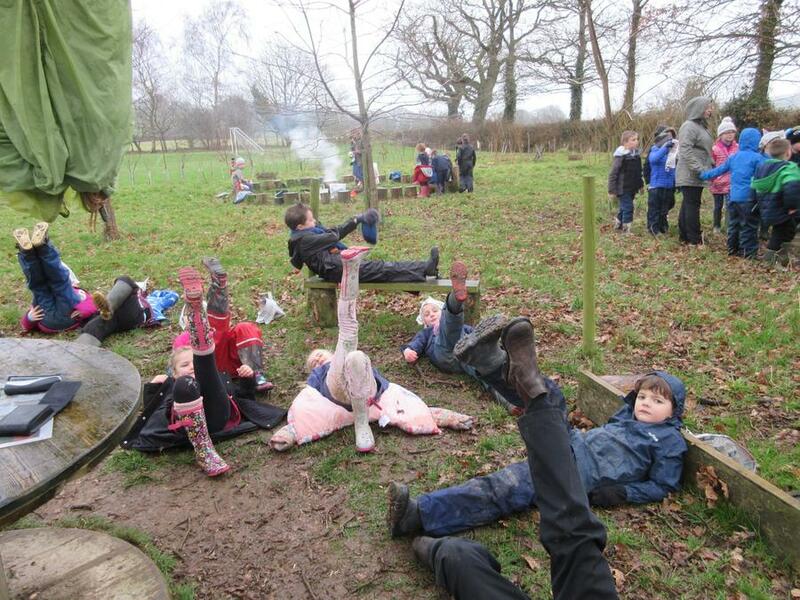 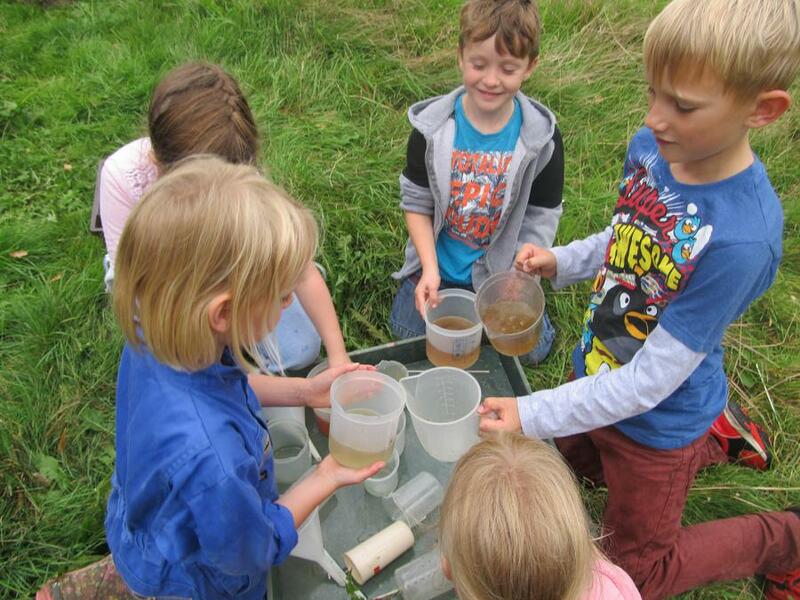 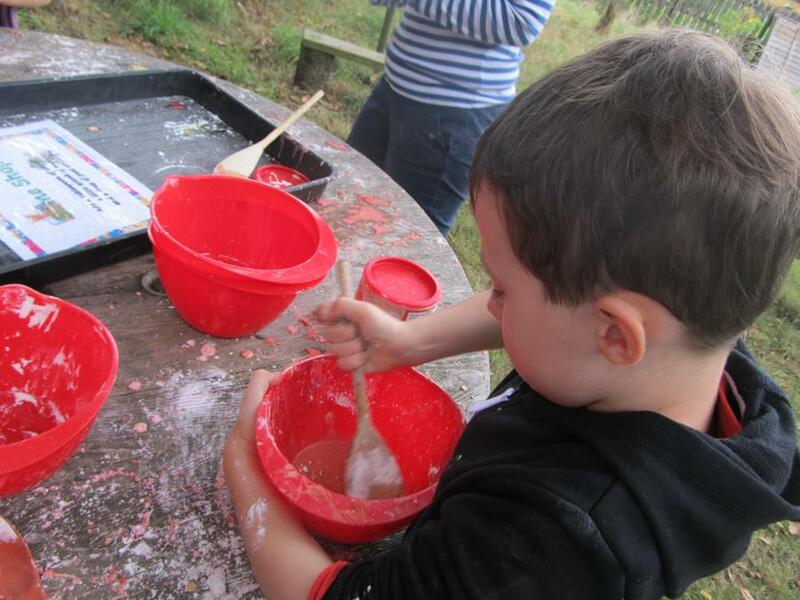 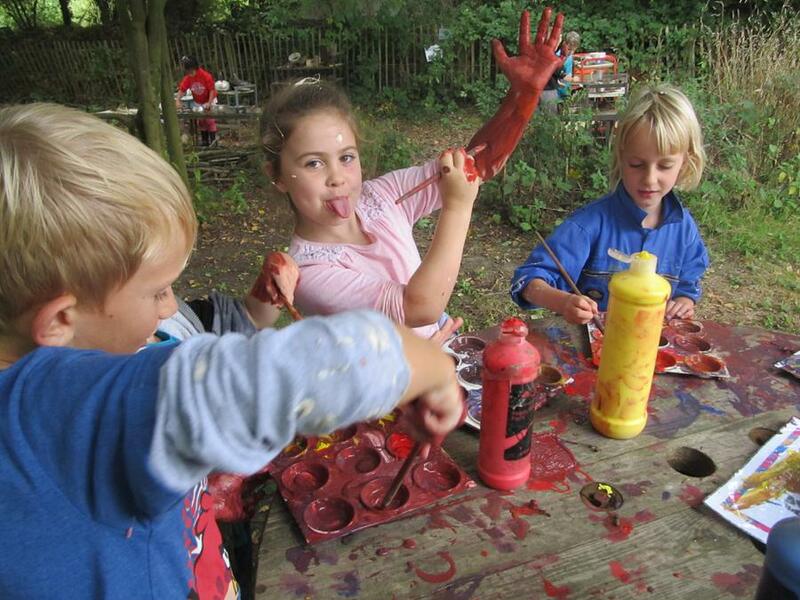 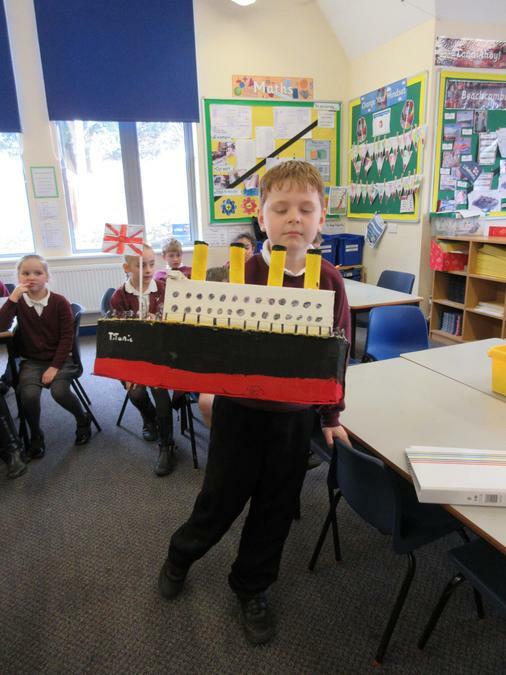 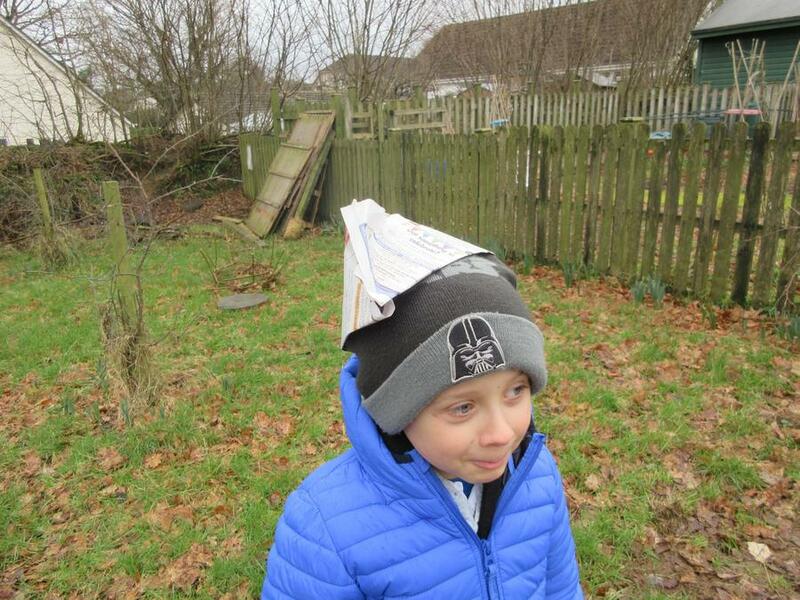 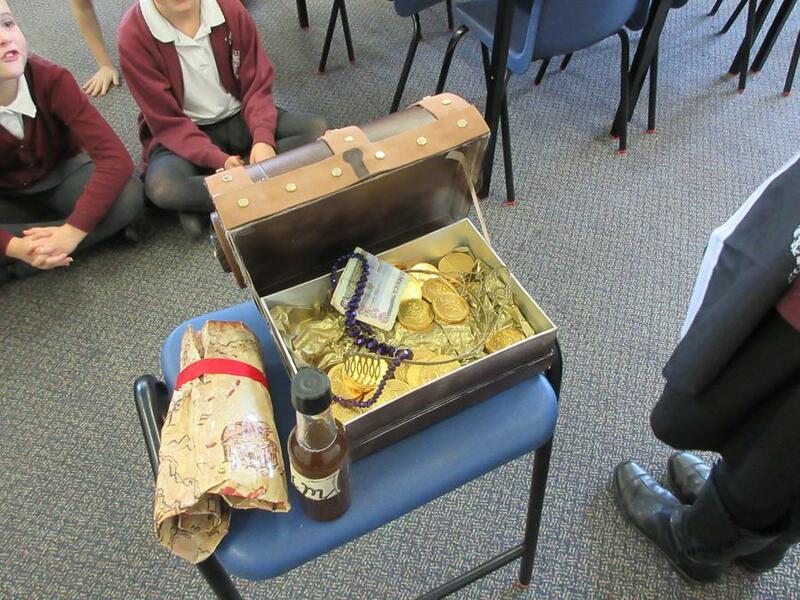 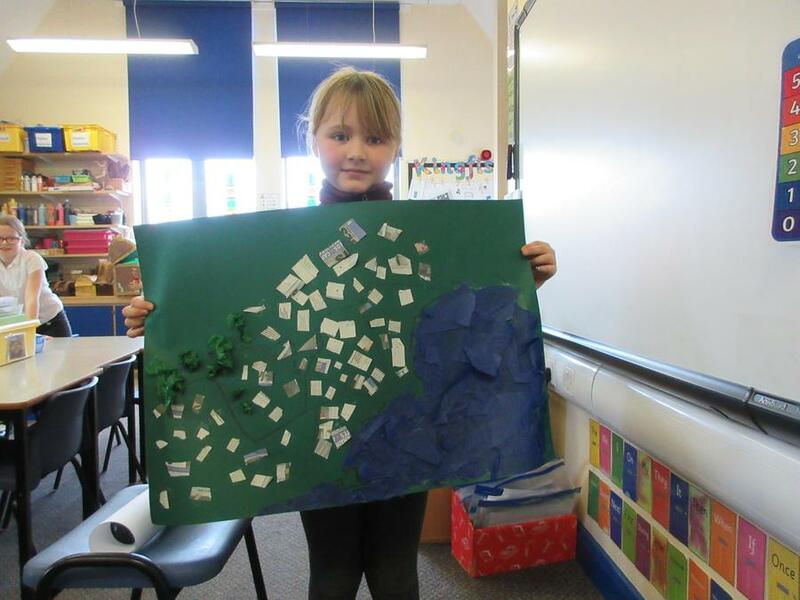 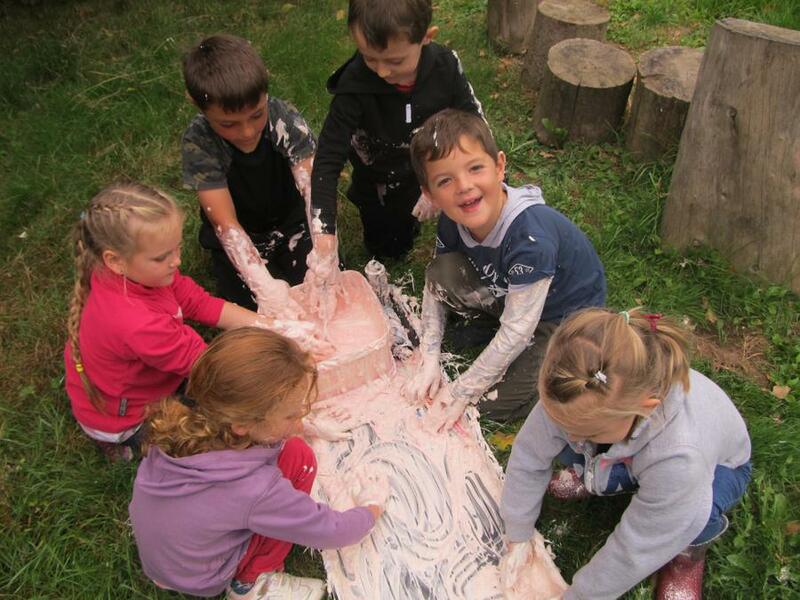 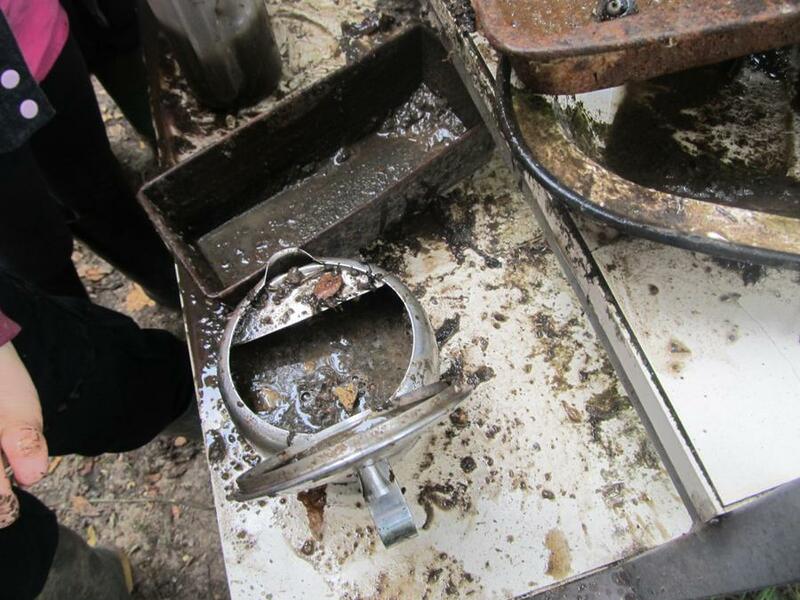 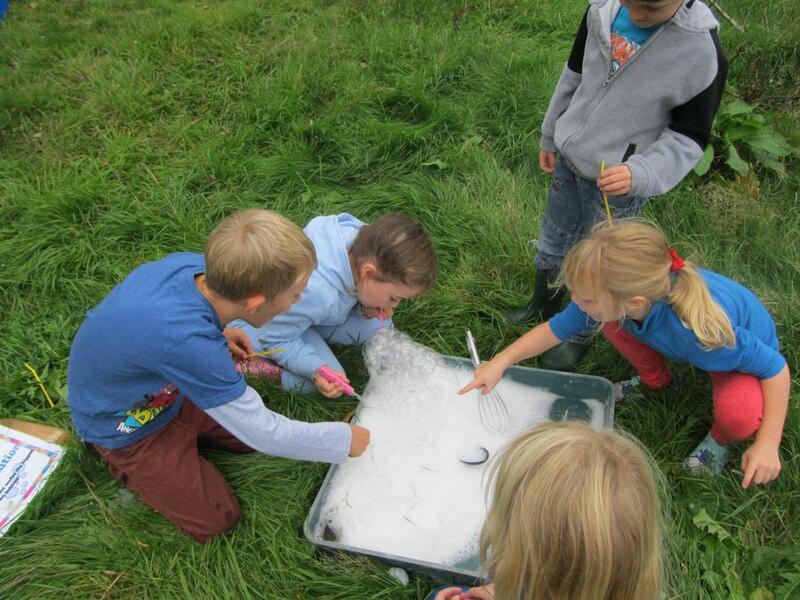 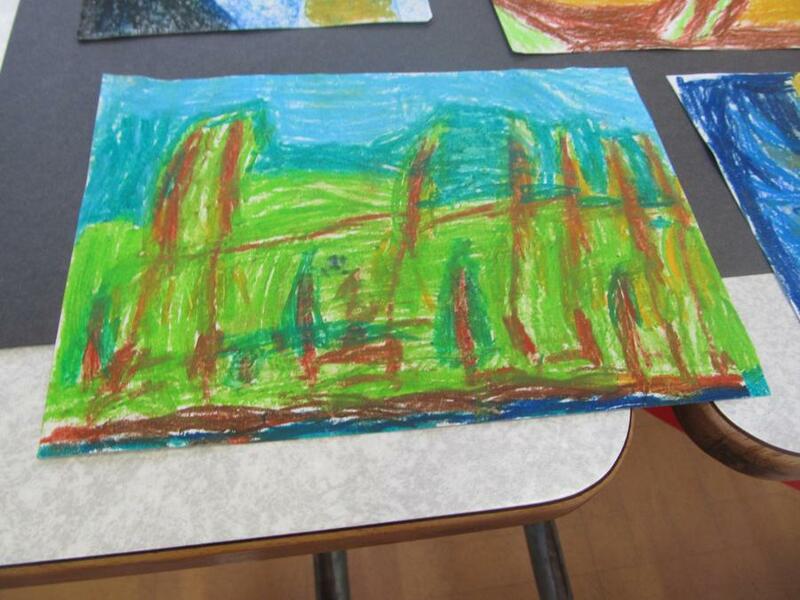 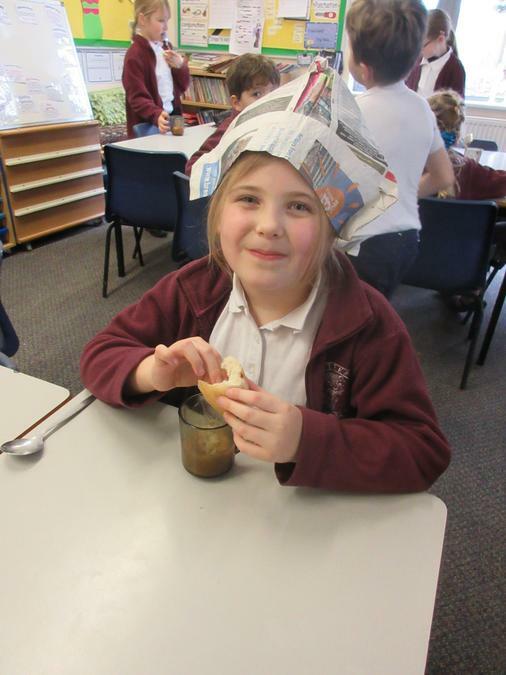 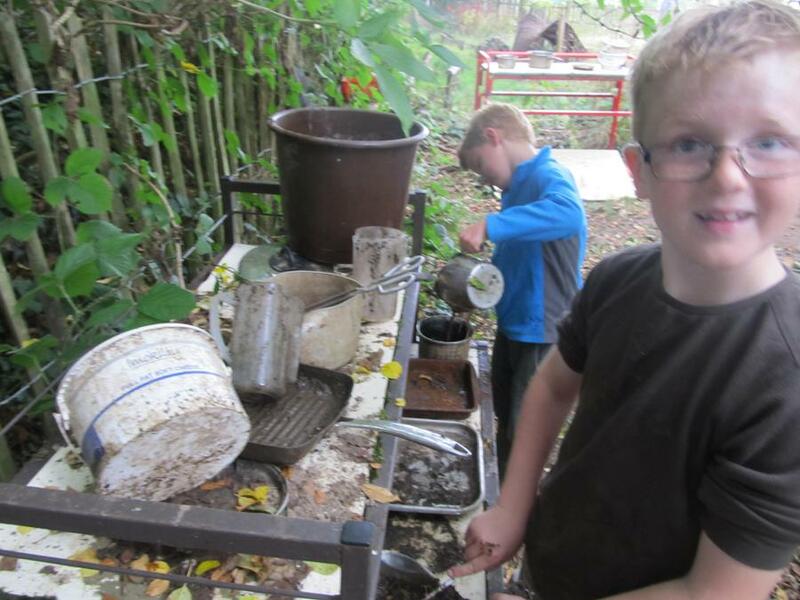 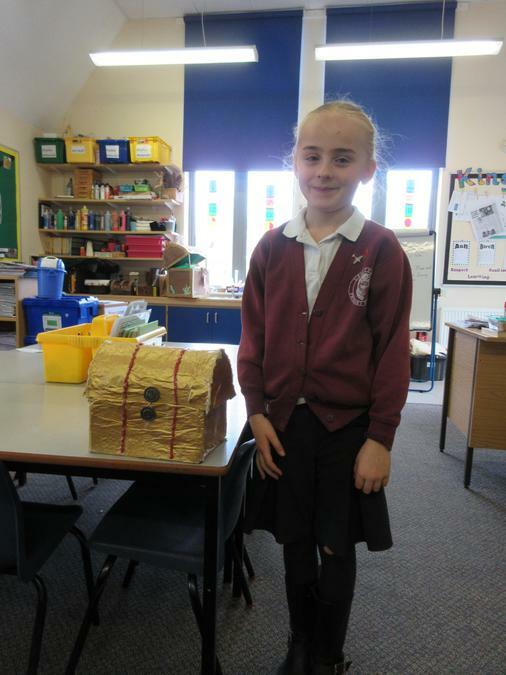 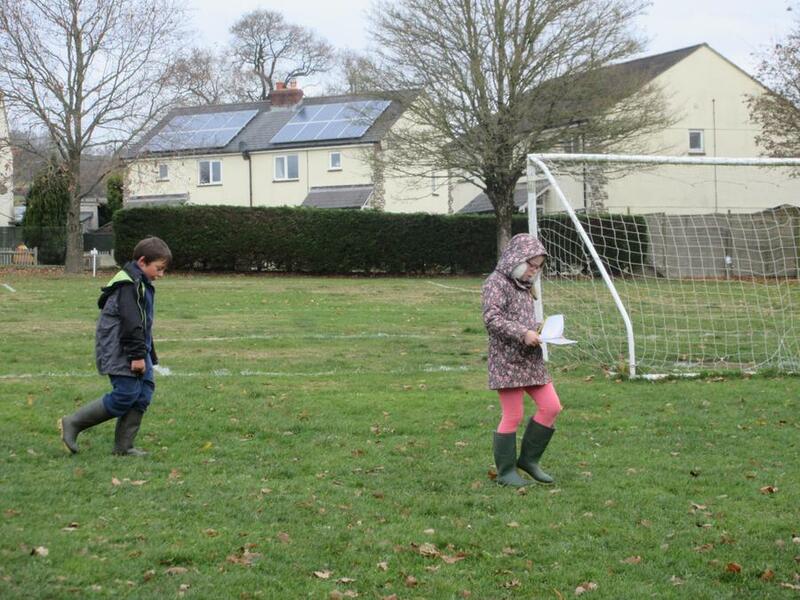 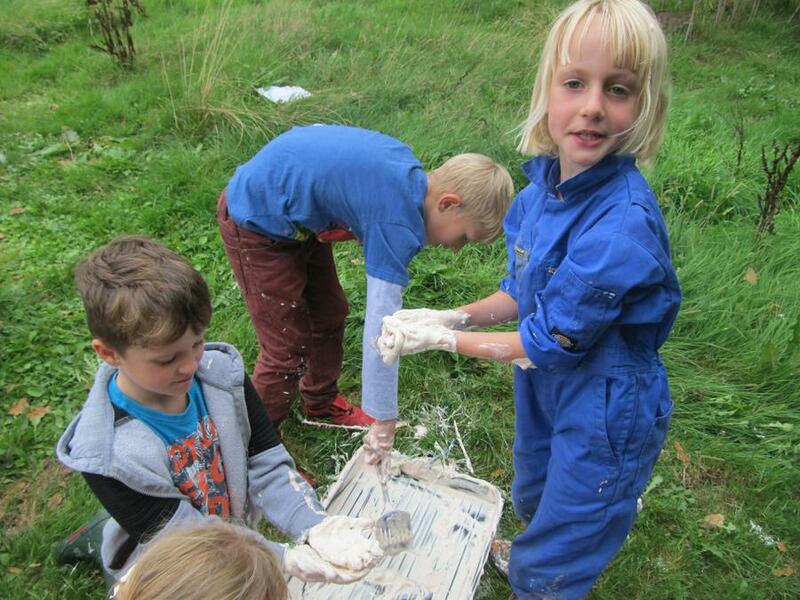 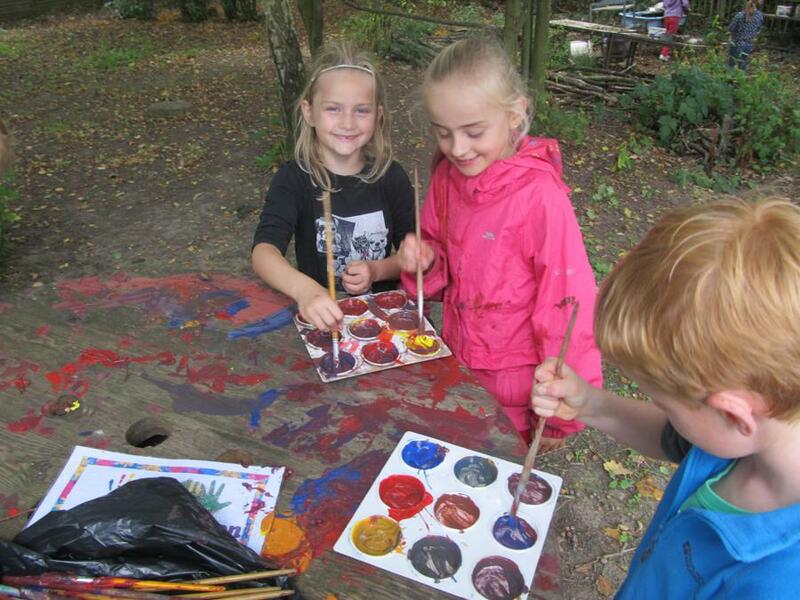 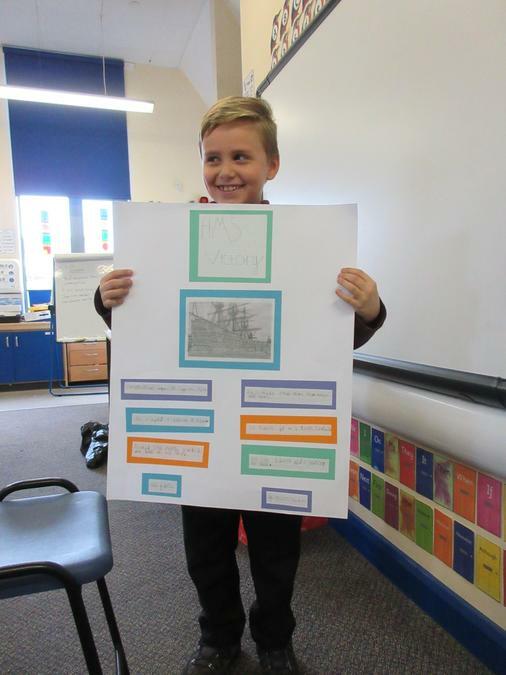 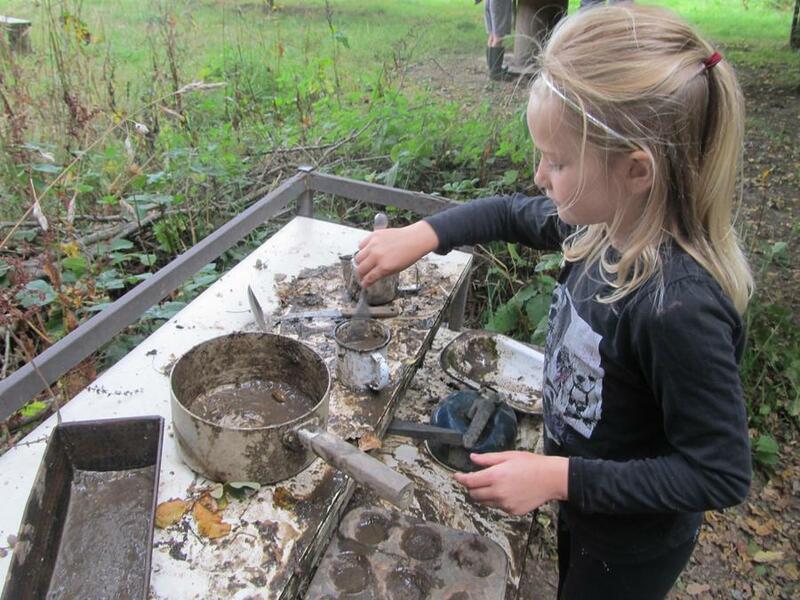 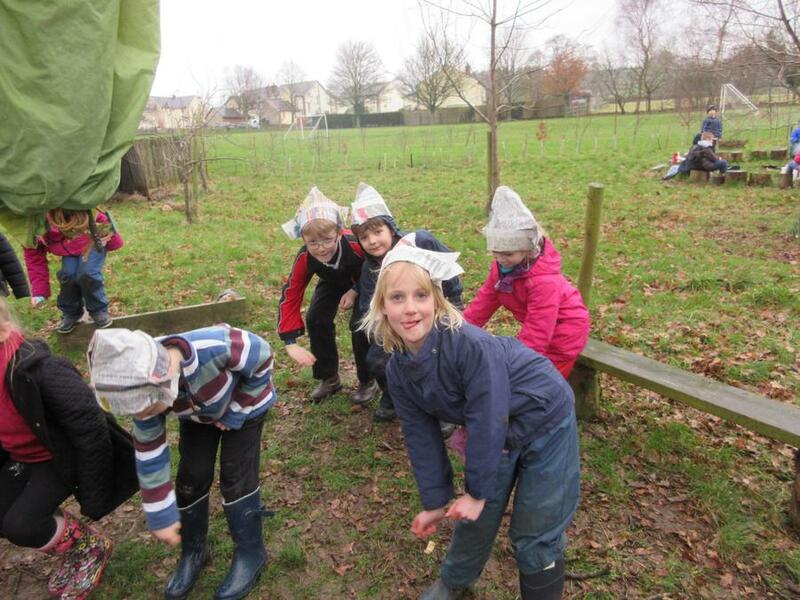 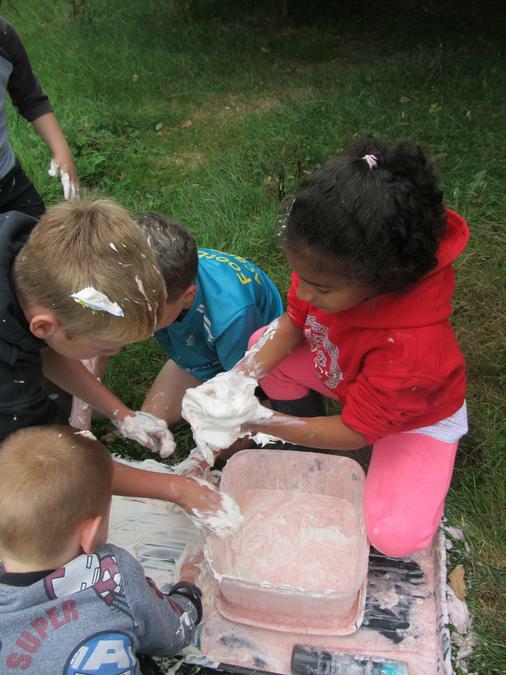 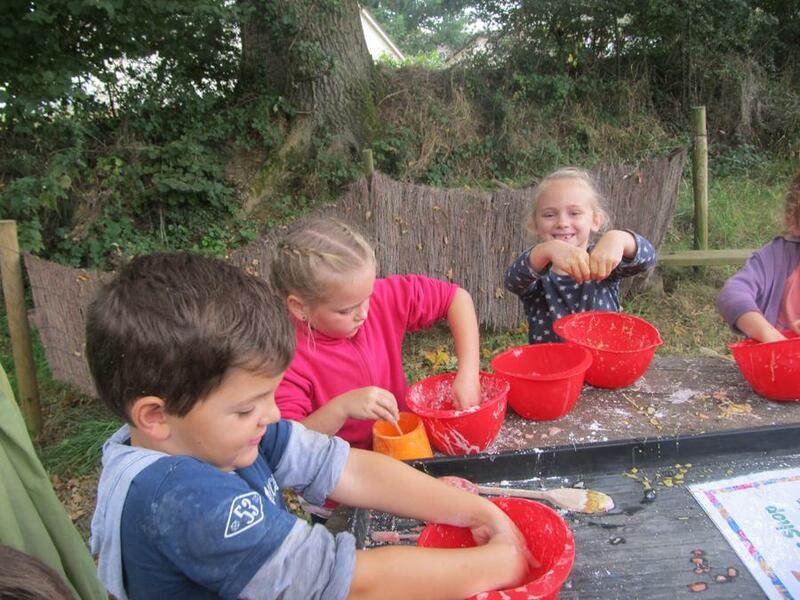 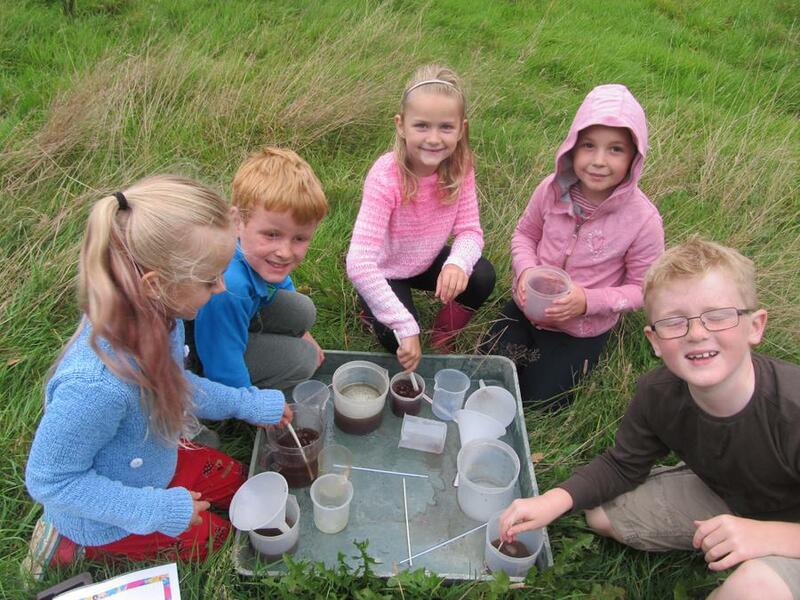 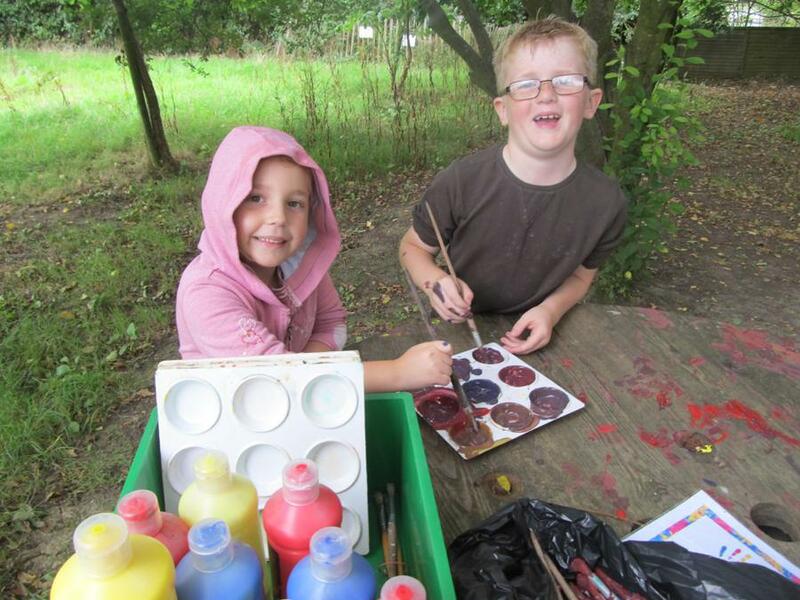 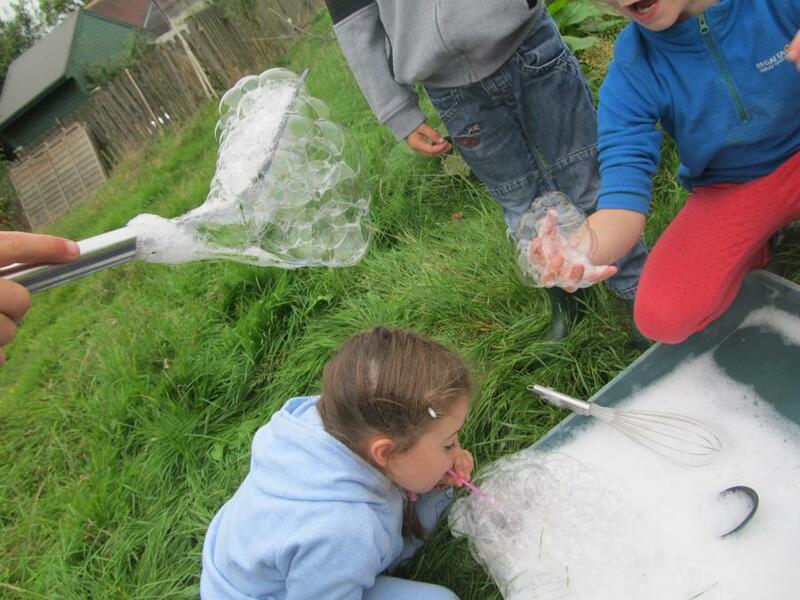 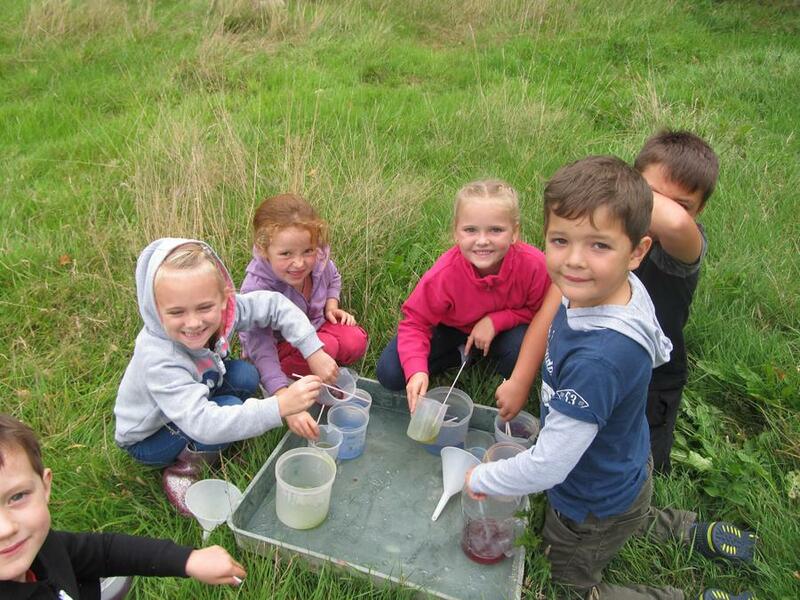 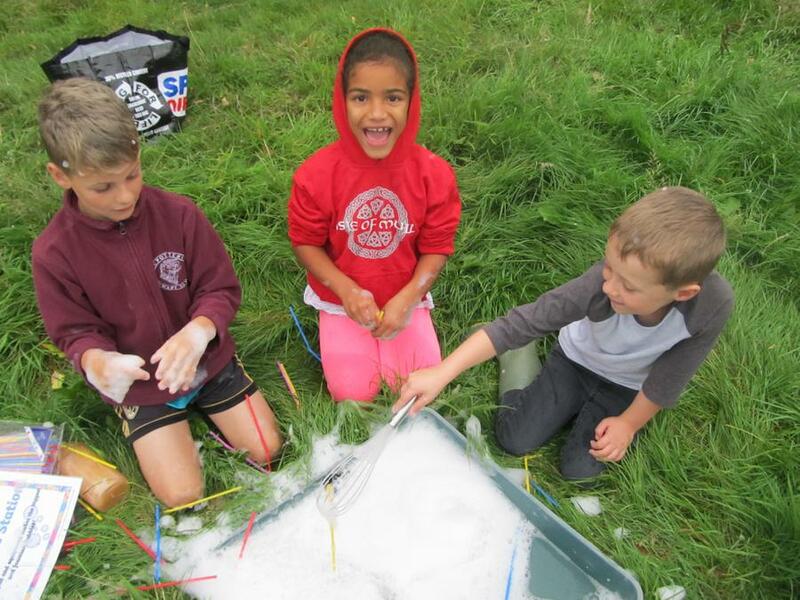 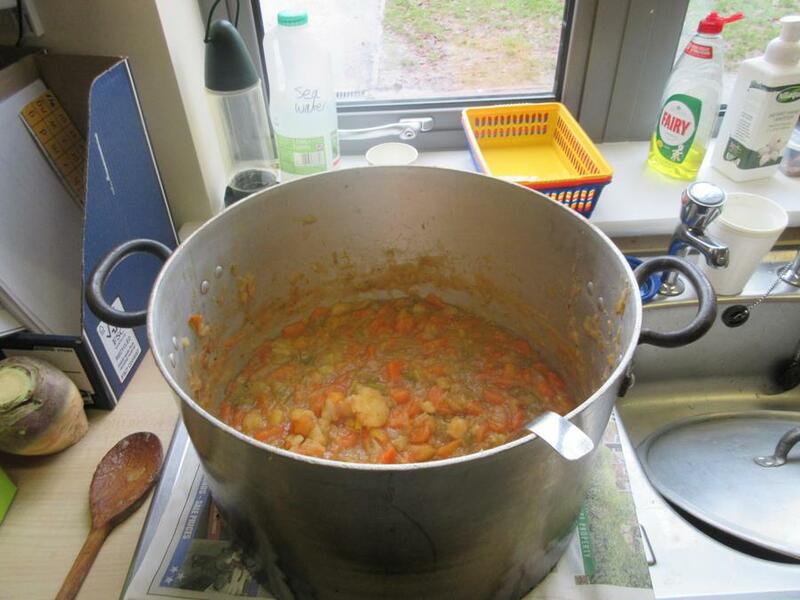 This term our learning project was 'Land Ahoy'. 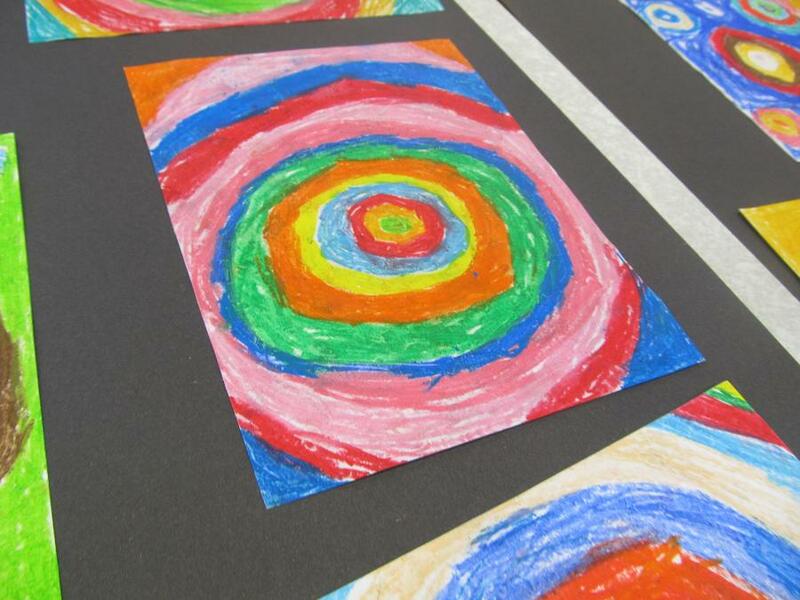 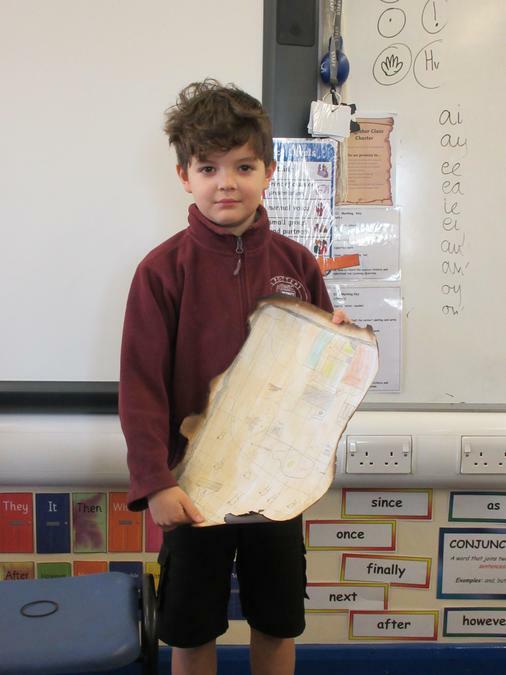 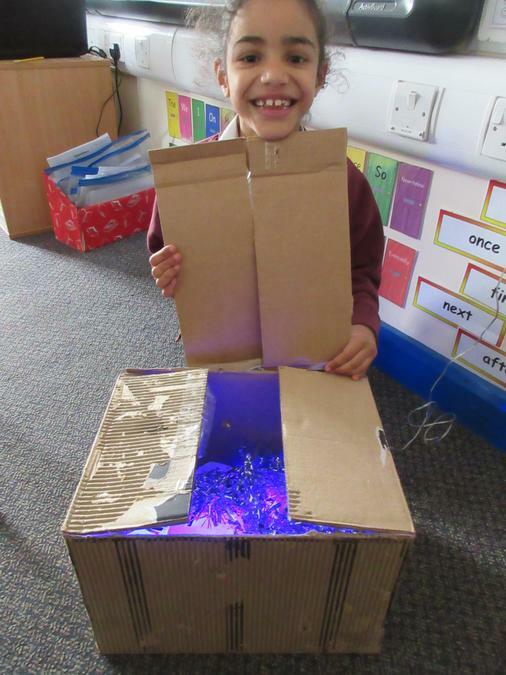 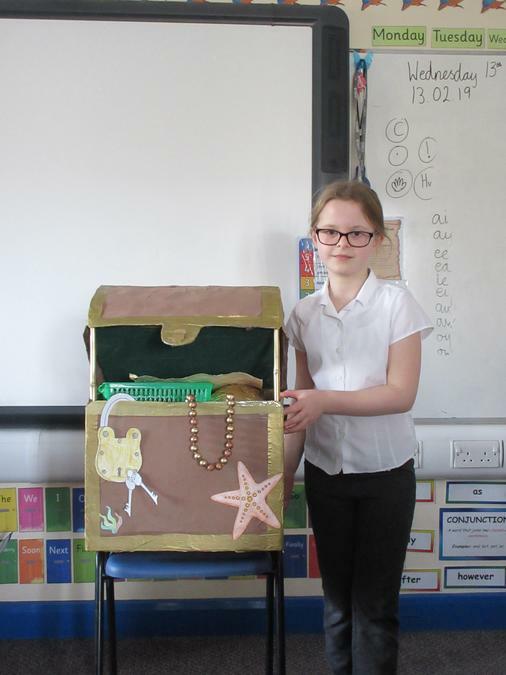 We have been busy learning about pirates, seas, oceans, habitats and plants and living things along the coast.We have also started our new project 'Flow', which will continue for the first few weeks of the spring term. 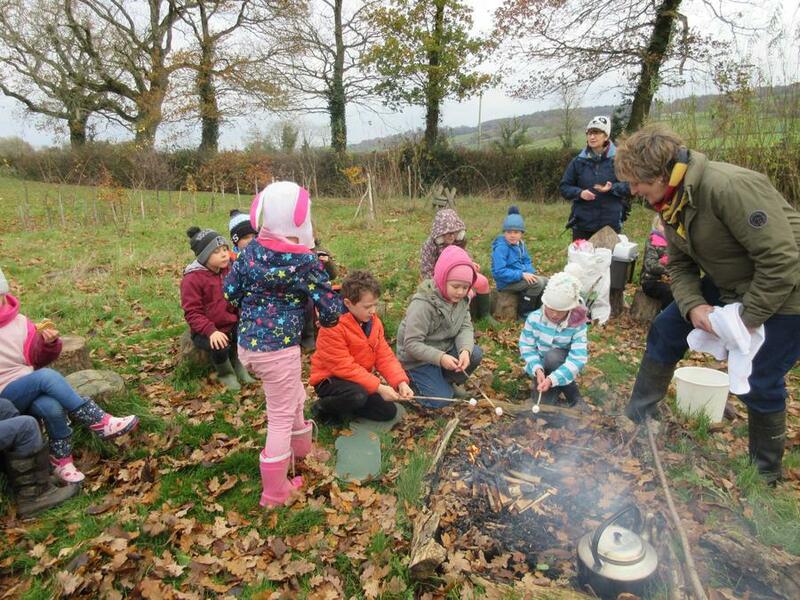 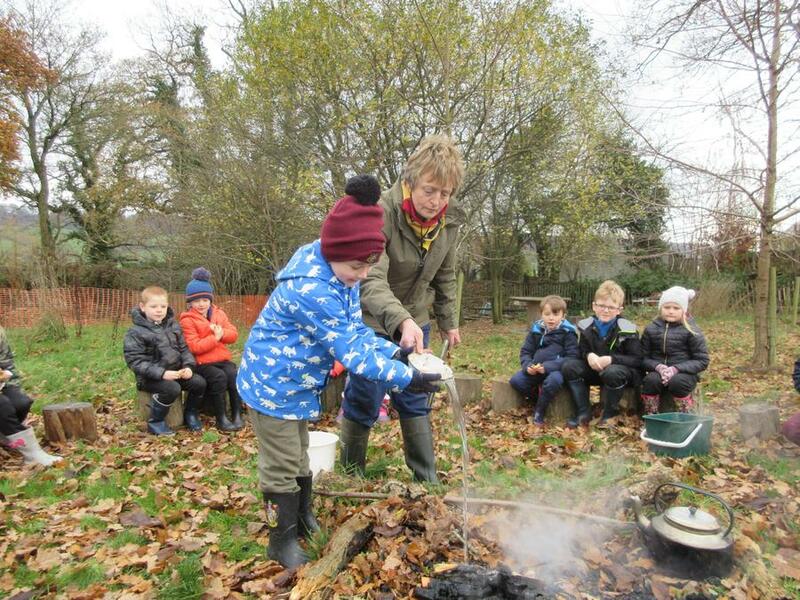 I hope all the children have a well deserved rest and spend lots of time outdoors, exploring, reading and sharing a love of books. 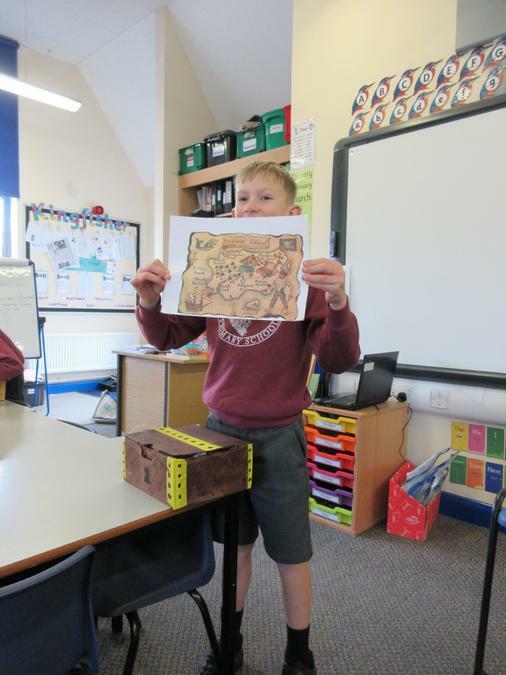 If they want to do some extra learning, please use the websites shared further down the page. 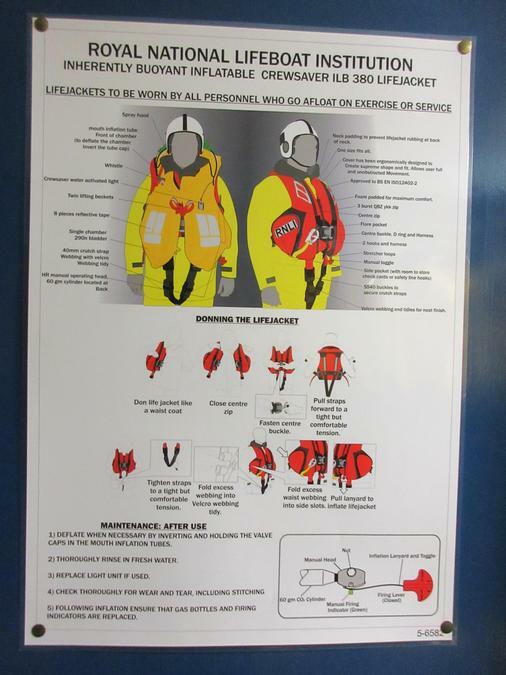 Have a go at some previous SAT paper questions. 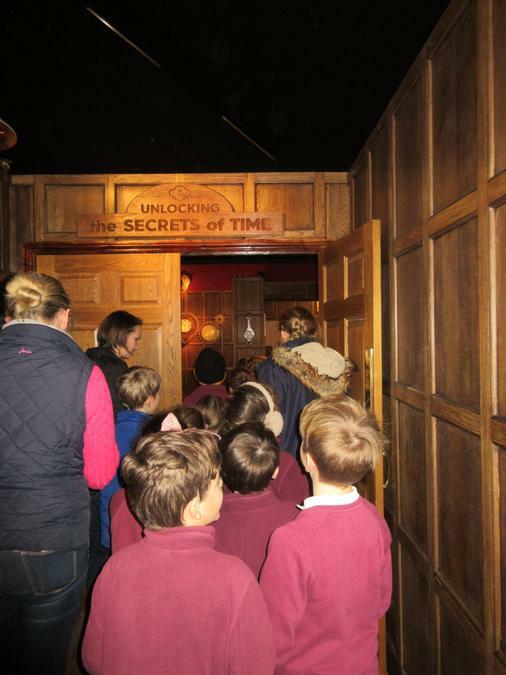 Try 'hit the button' to learn your times tables. 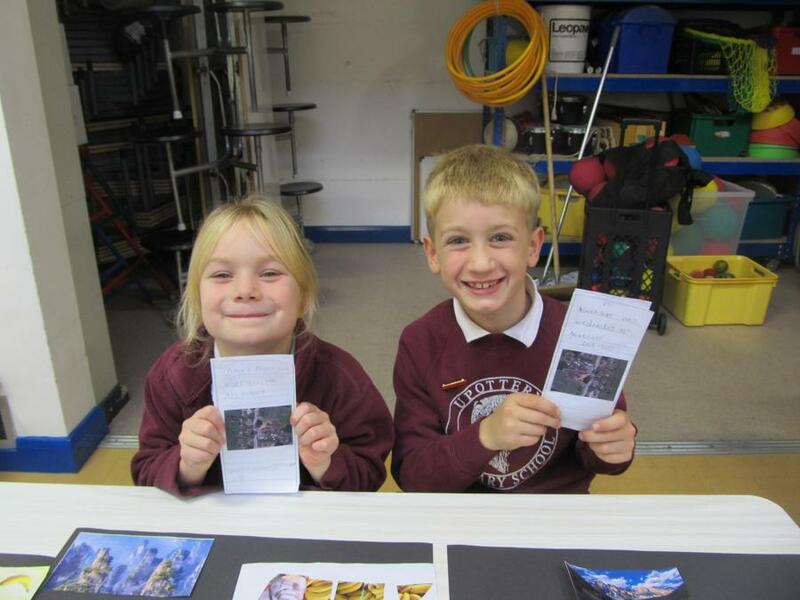 Read as often as you can and have a go at writing answers to questions your parents and carers ask you. 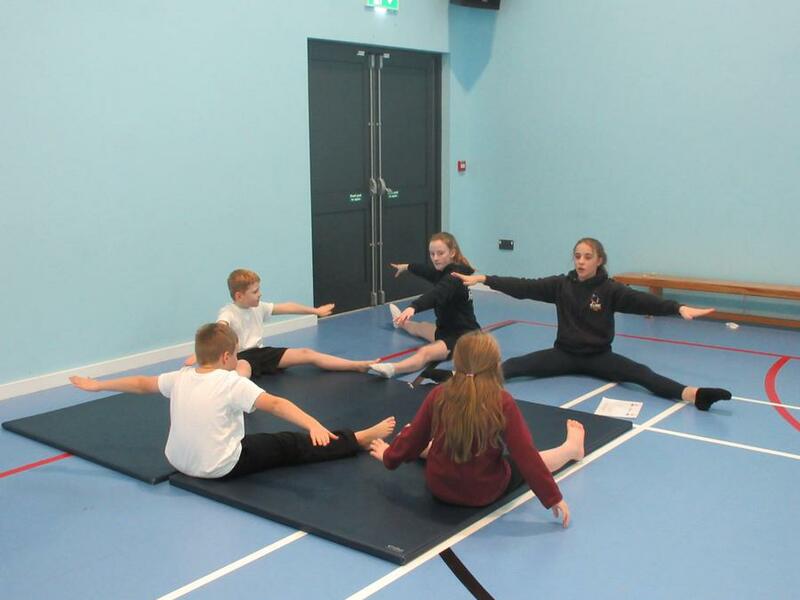 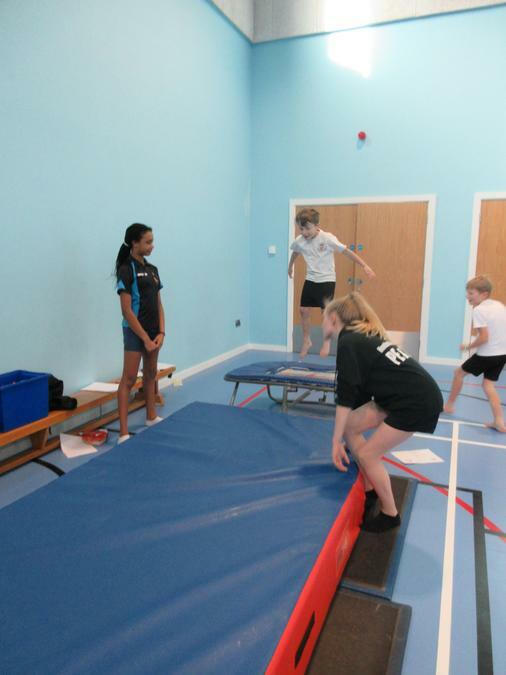 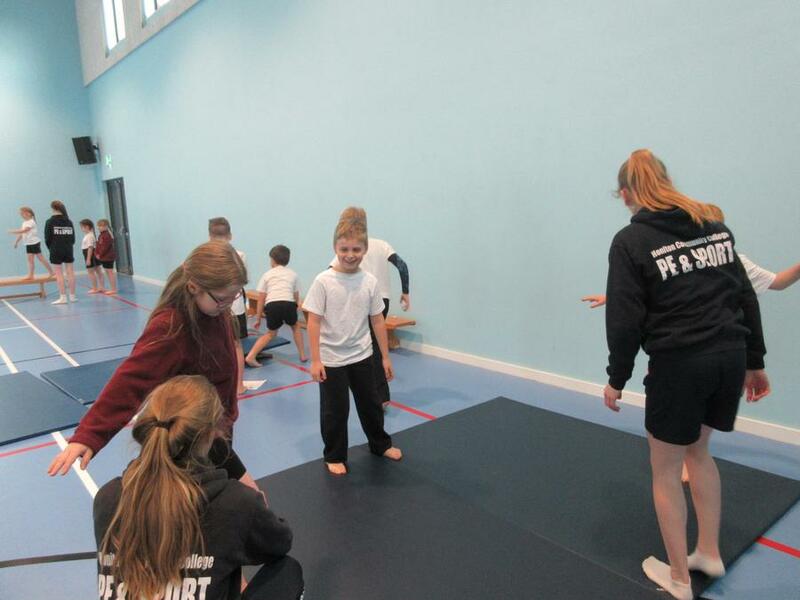 Go on 'Mathletics' to improve your maths skills. 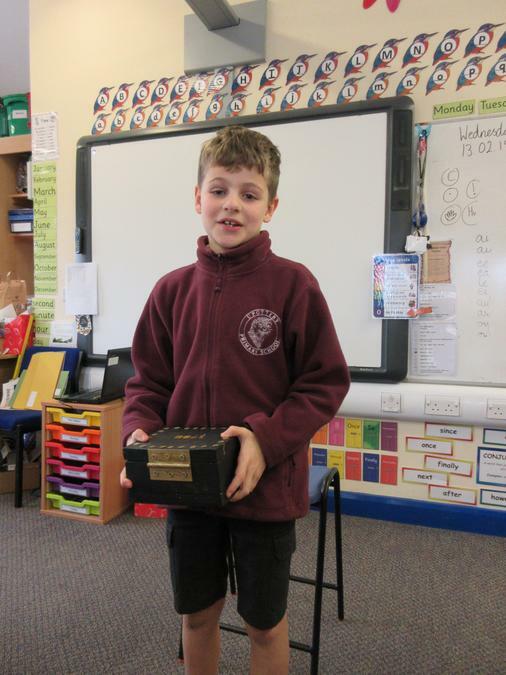 Use 'hit the button' to learn your 4 and 8 times tables. 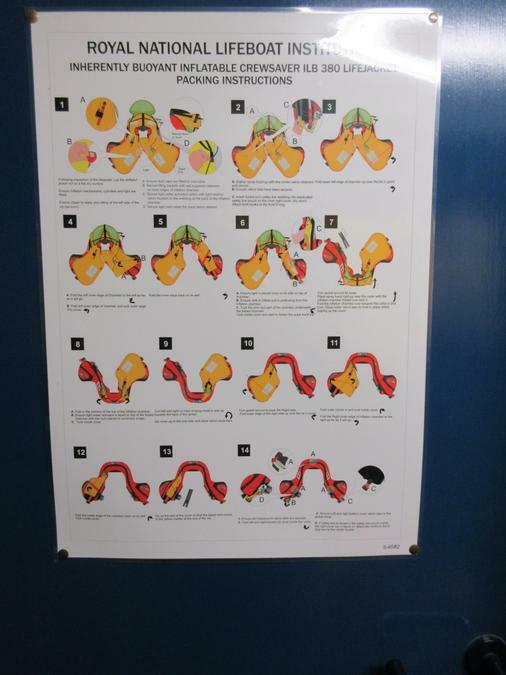 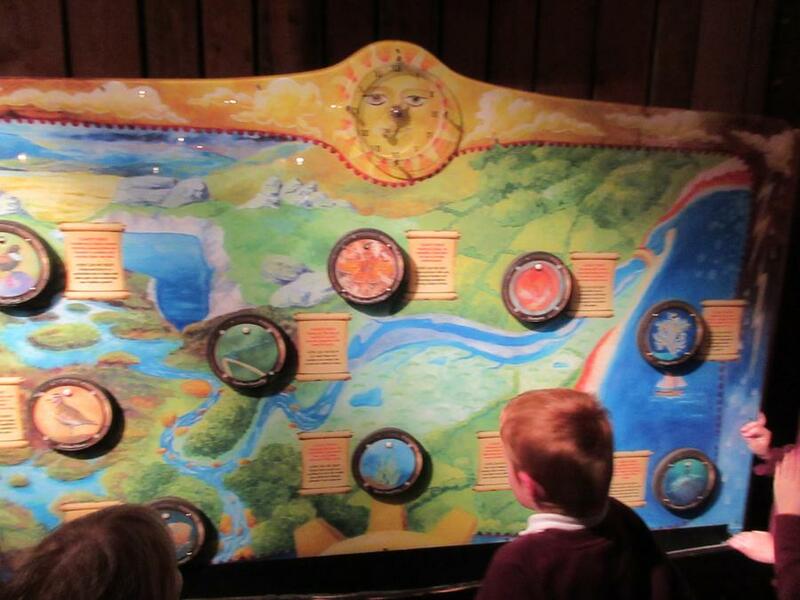 If you know these, why not try learning up to your 12 times table? 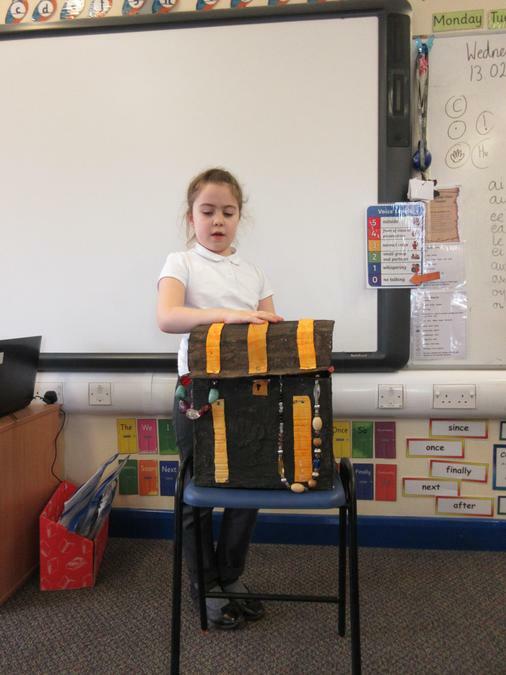 Maybe write a story including speech to share with the class about your Easter break. 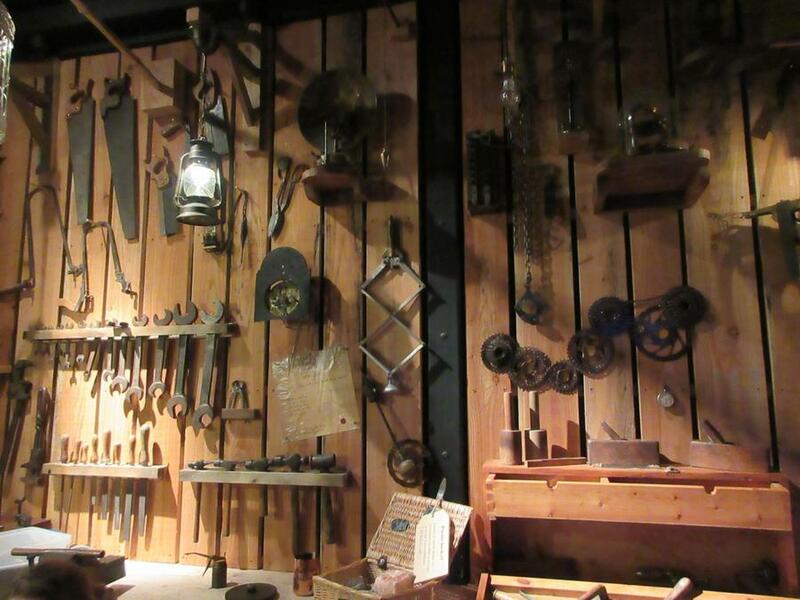 Or work on your 'flow' home project. 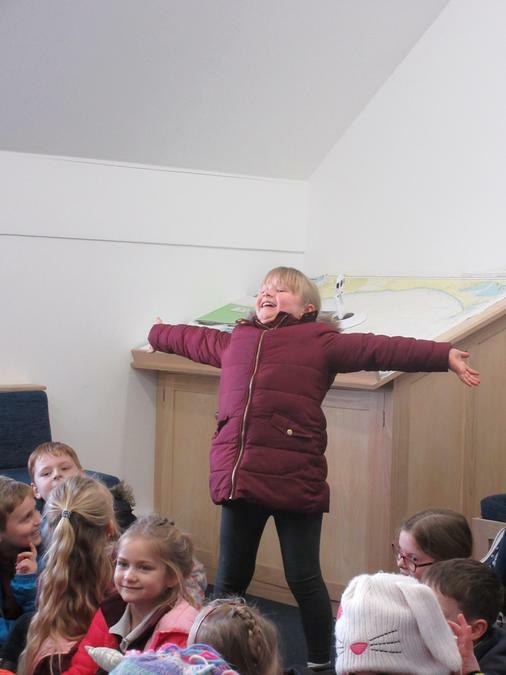 We have already been inspired by many! 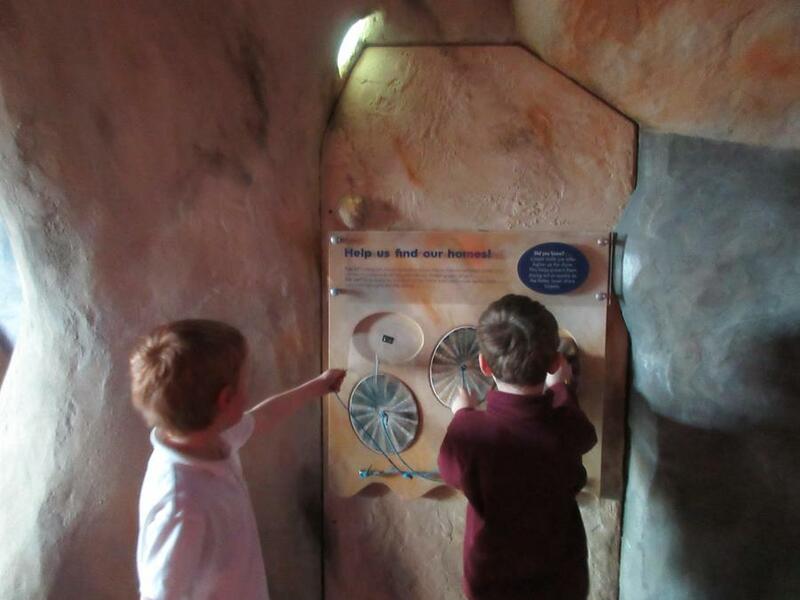 Mathletics Year 3's look at angles. 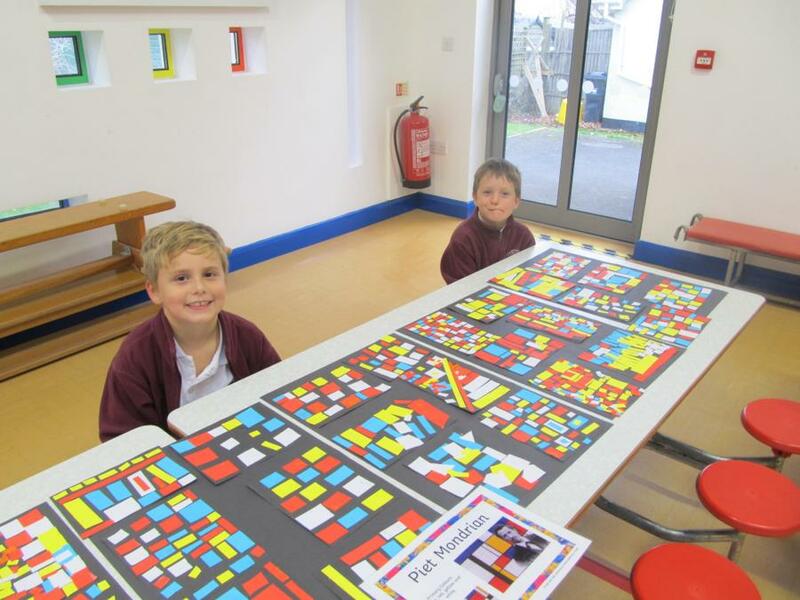 Year 2's have a go at some fraction work. 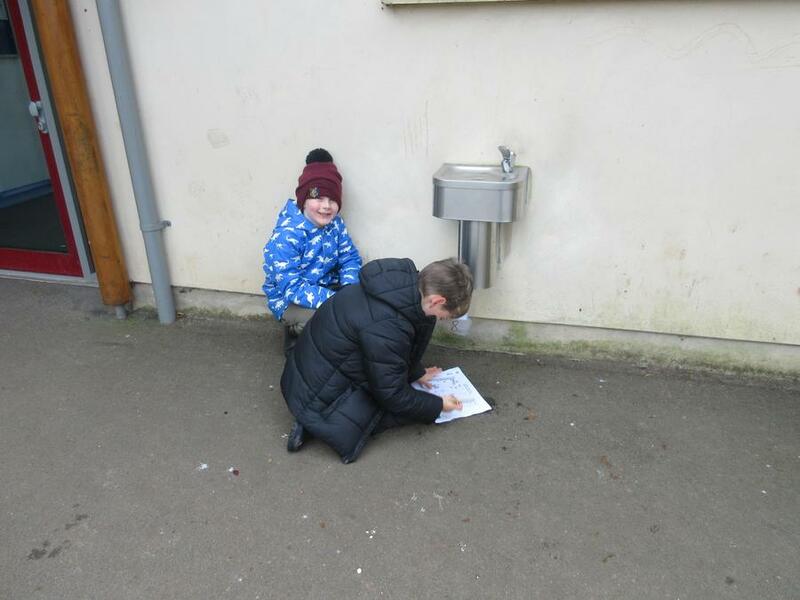 Year 2 SAT papers Use past papers to practise questions for quizzes in May. 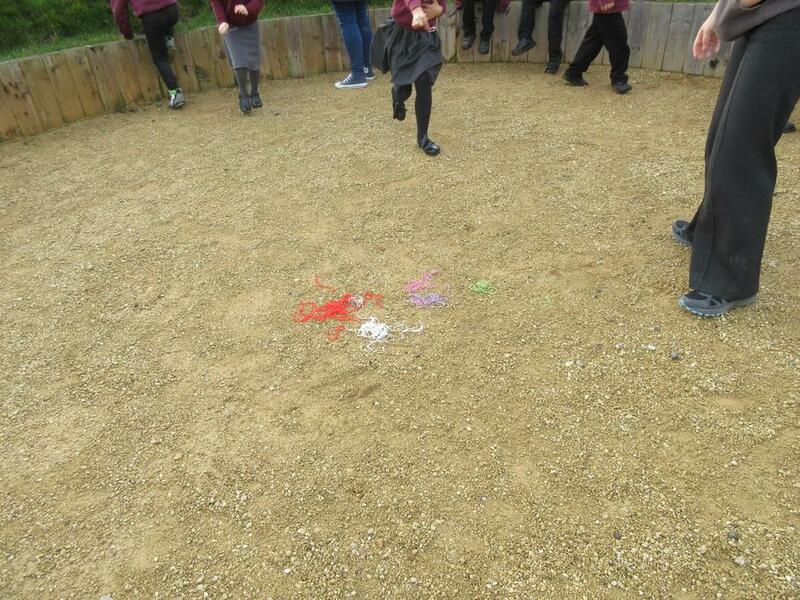 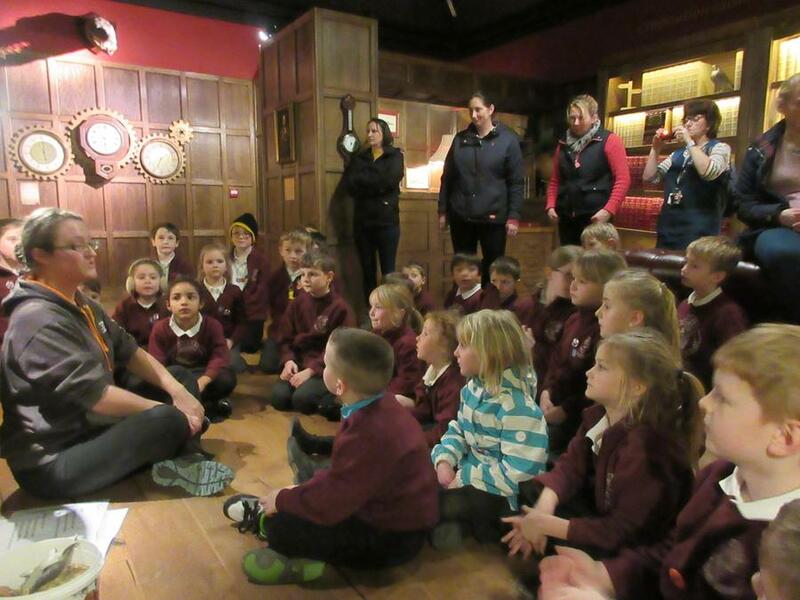 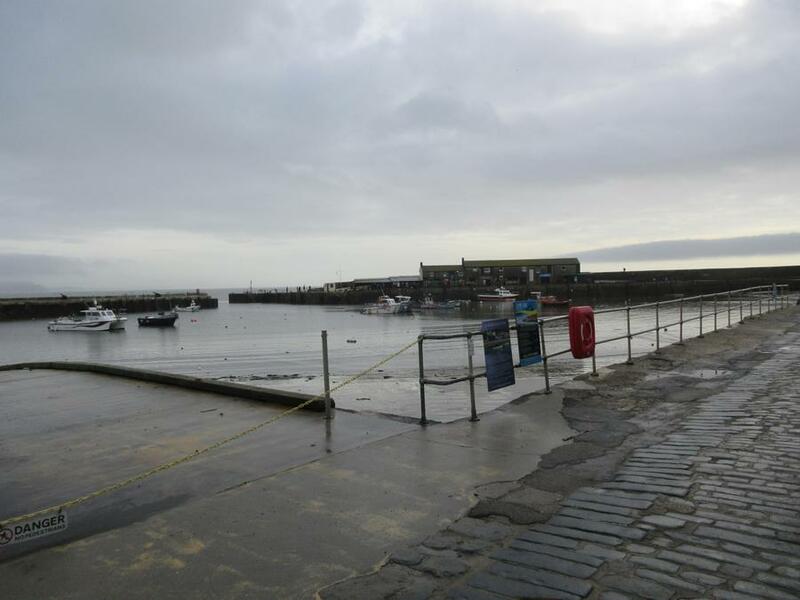 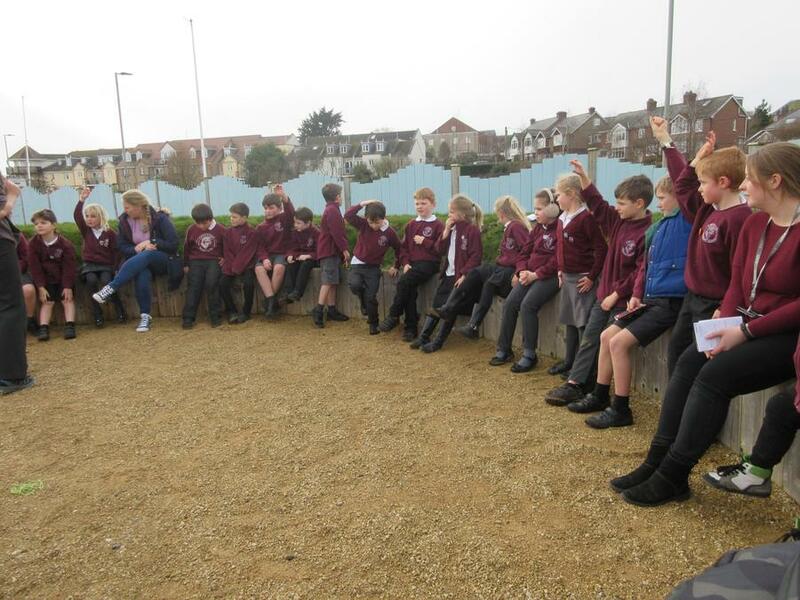 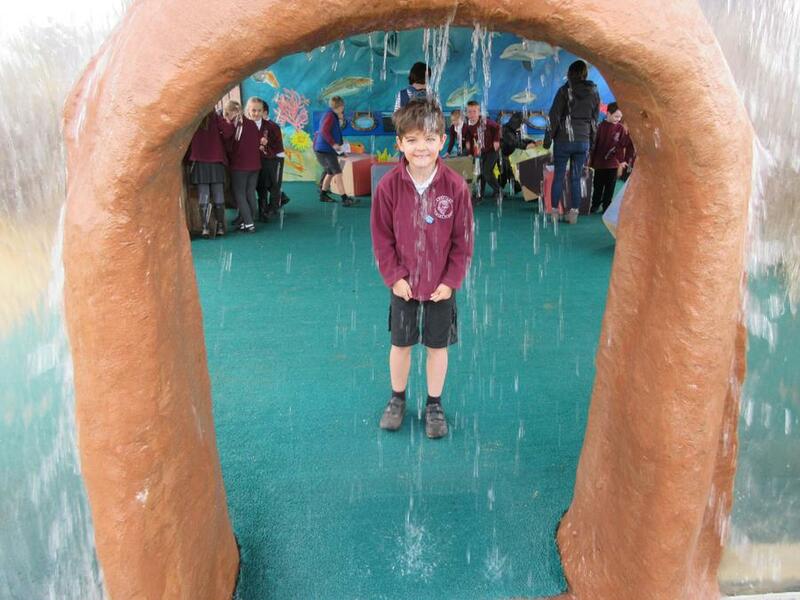 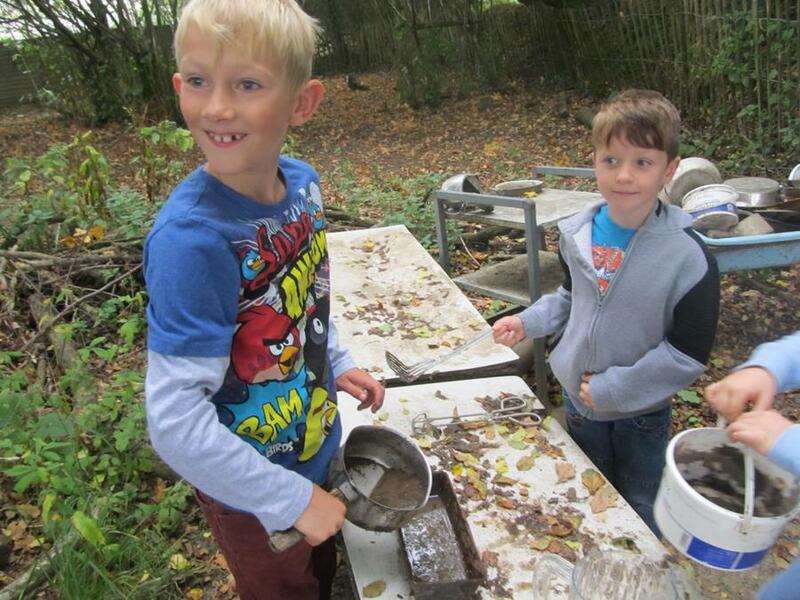 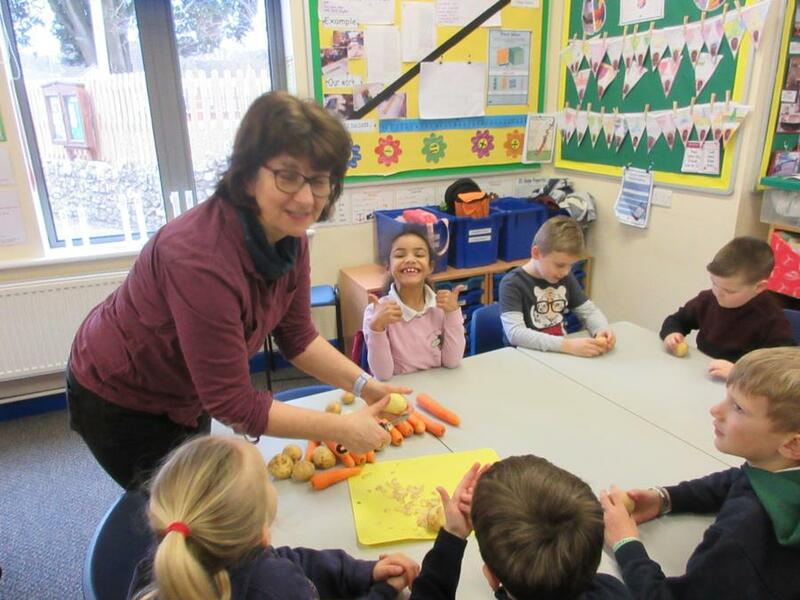 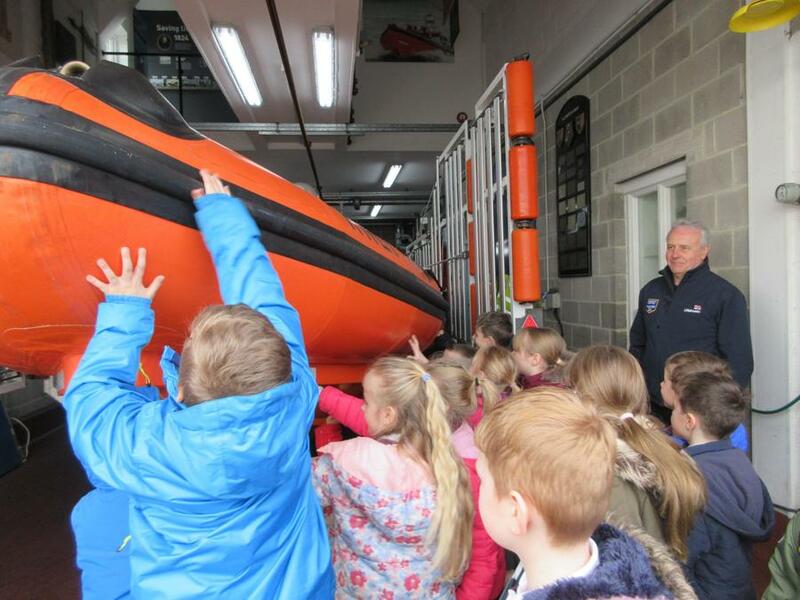 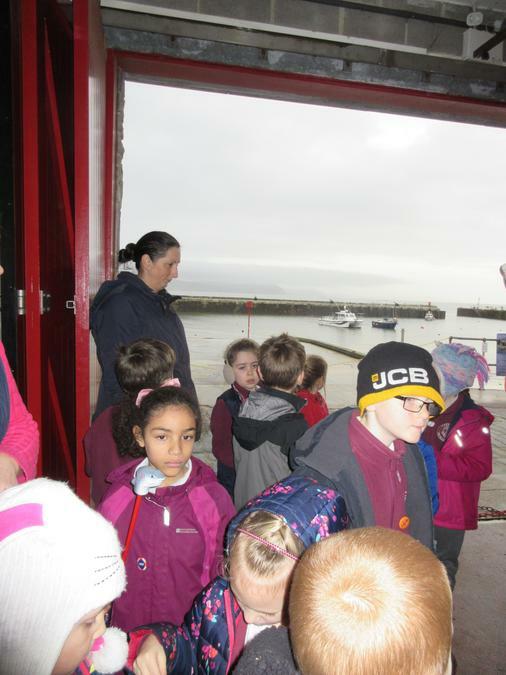 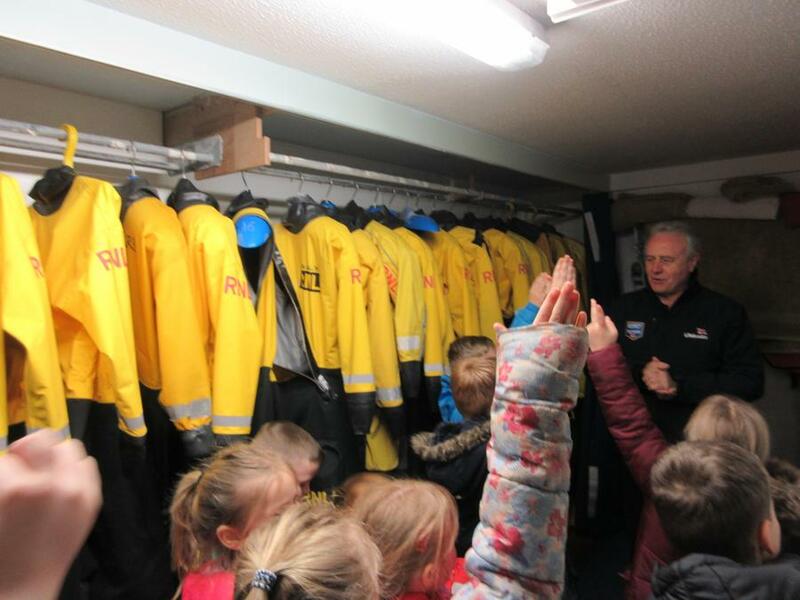 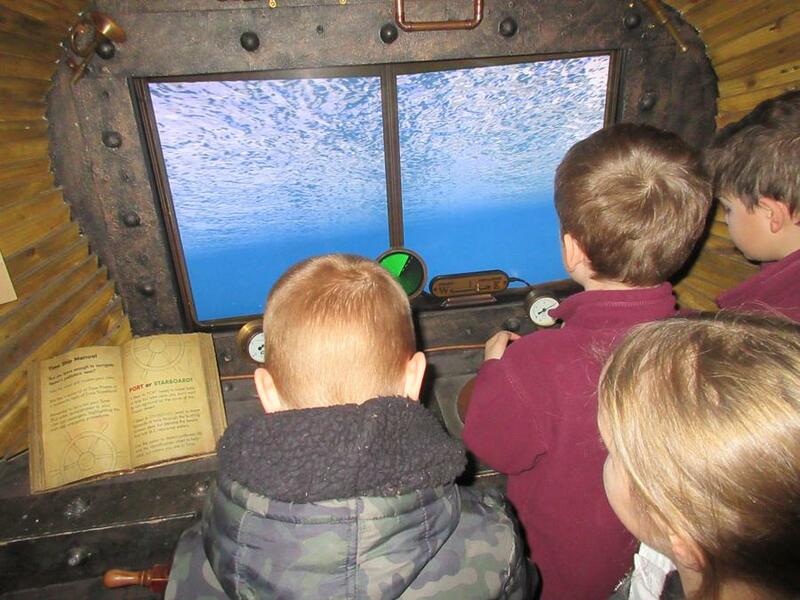 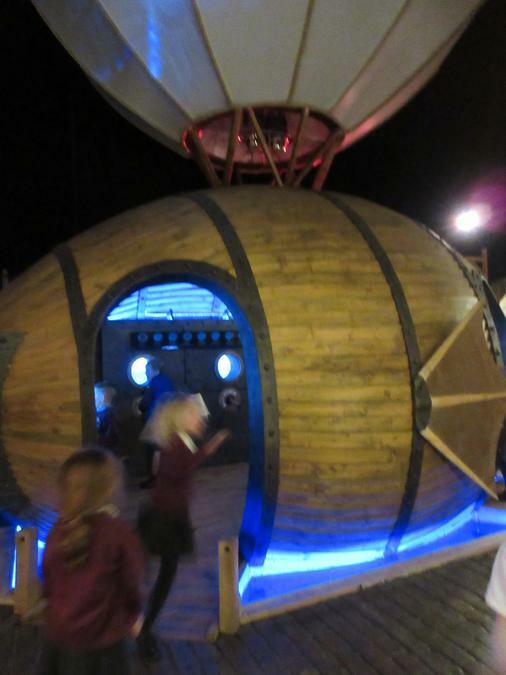 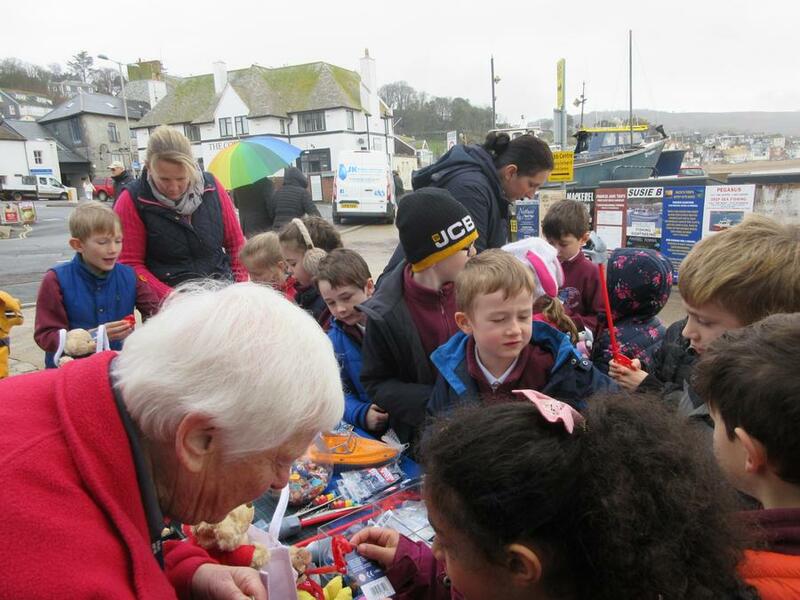 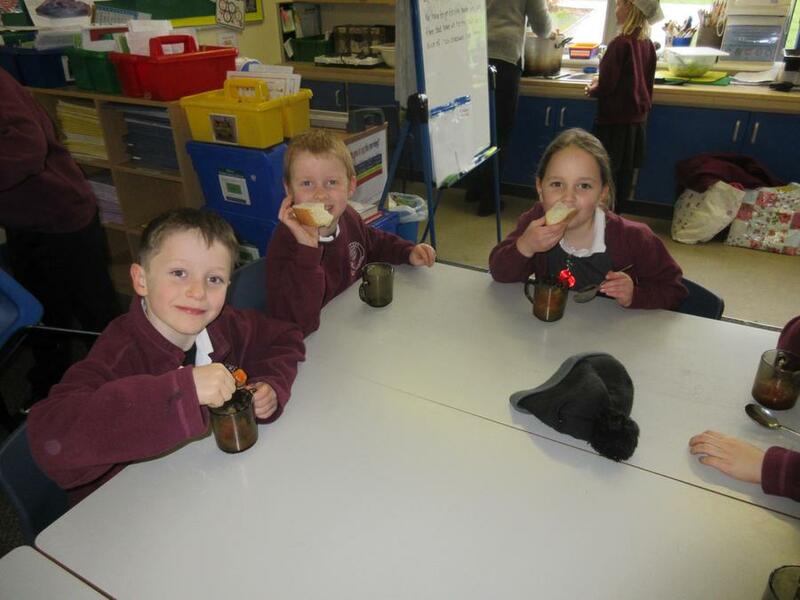 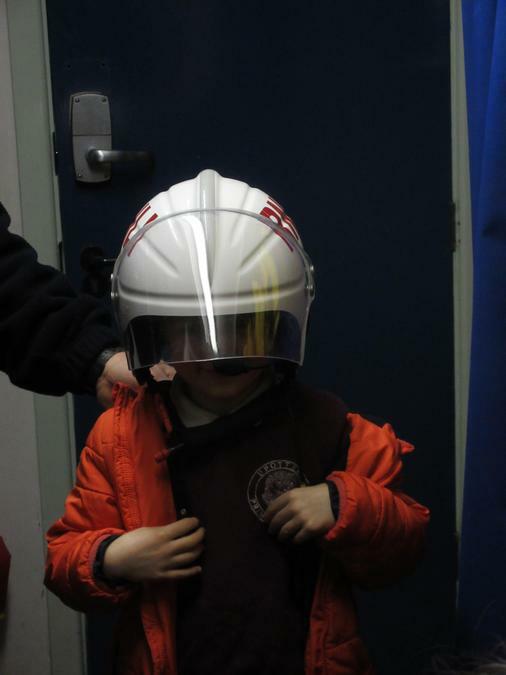 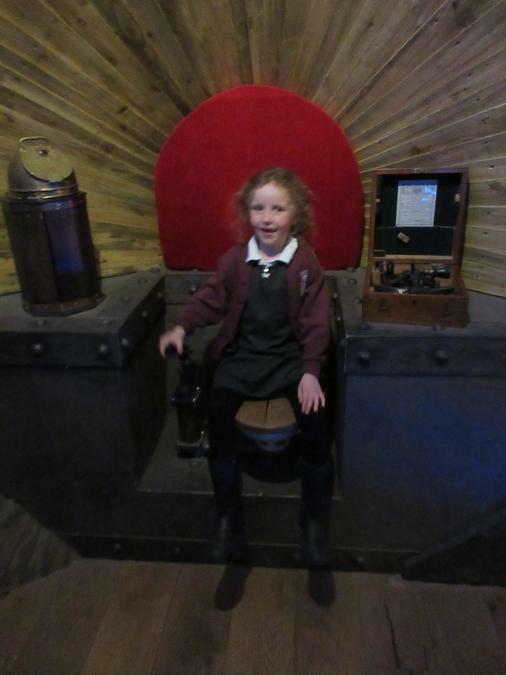 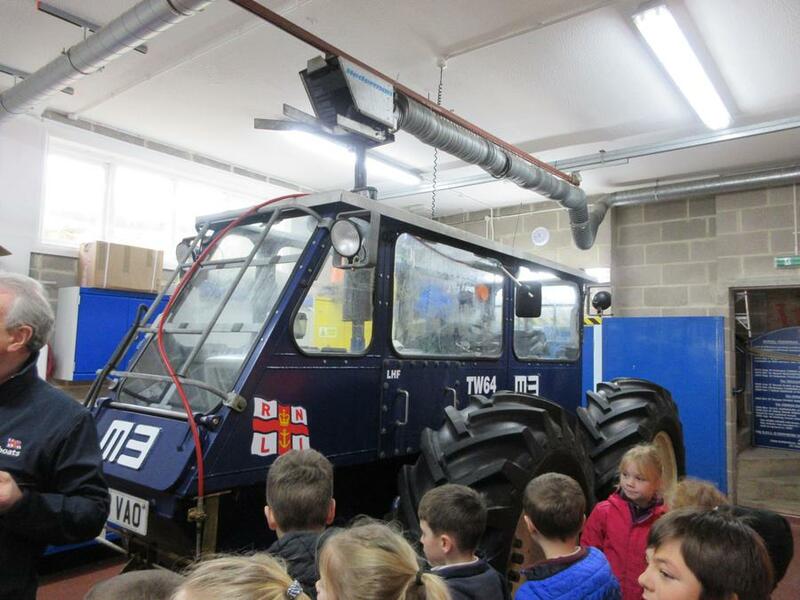 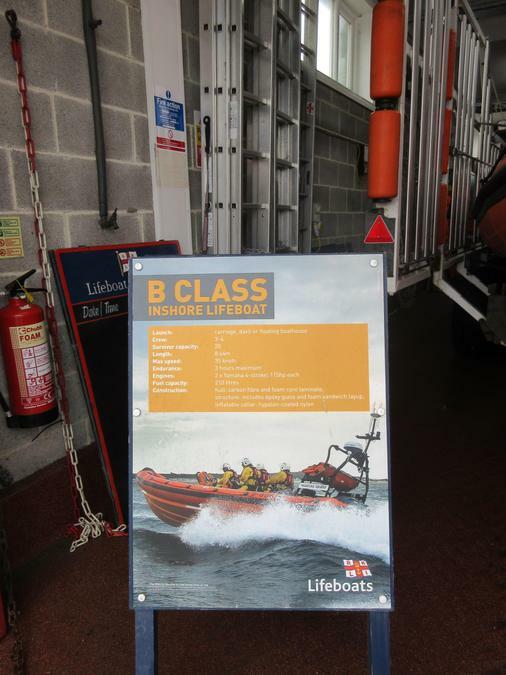 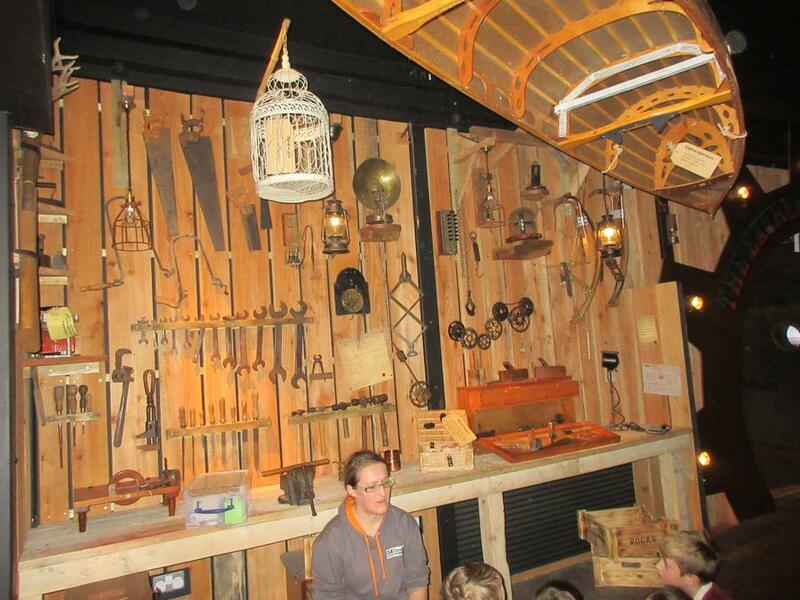 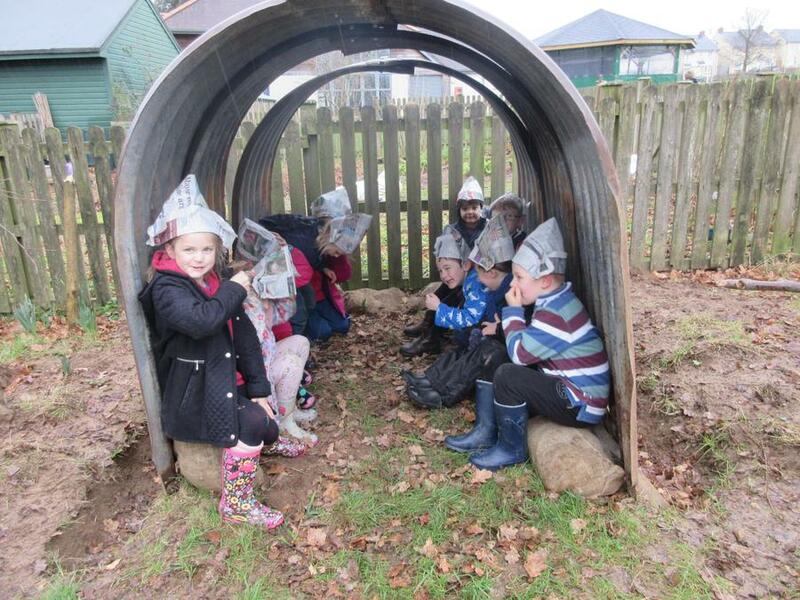 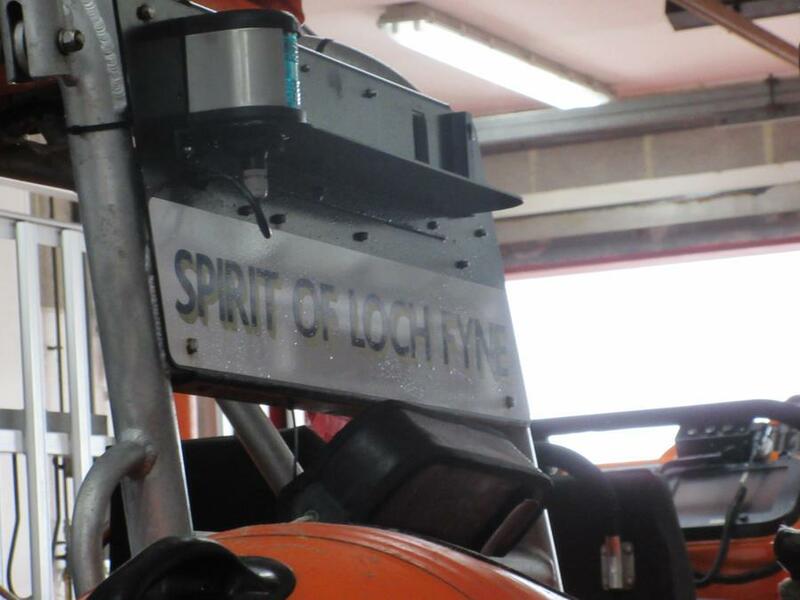 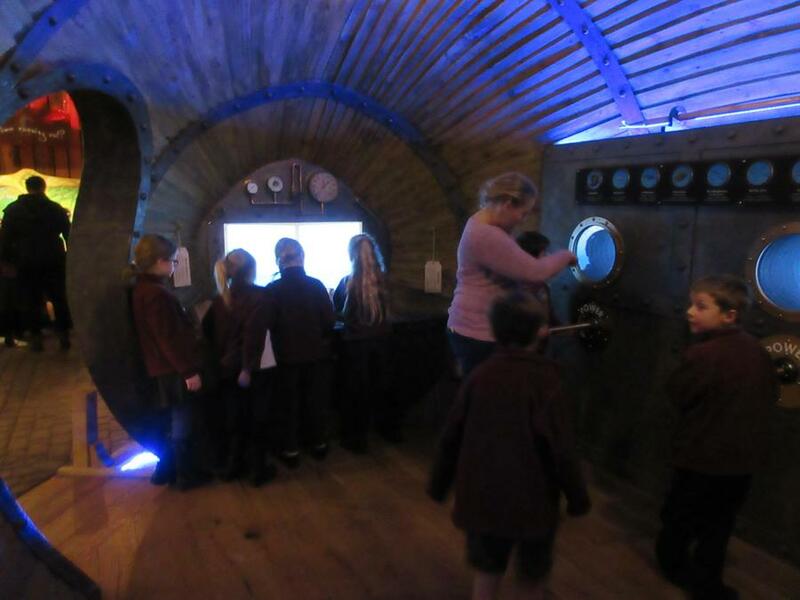 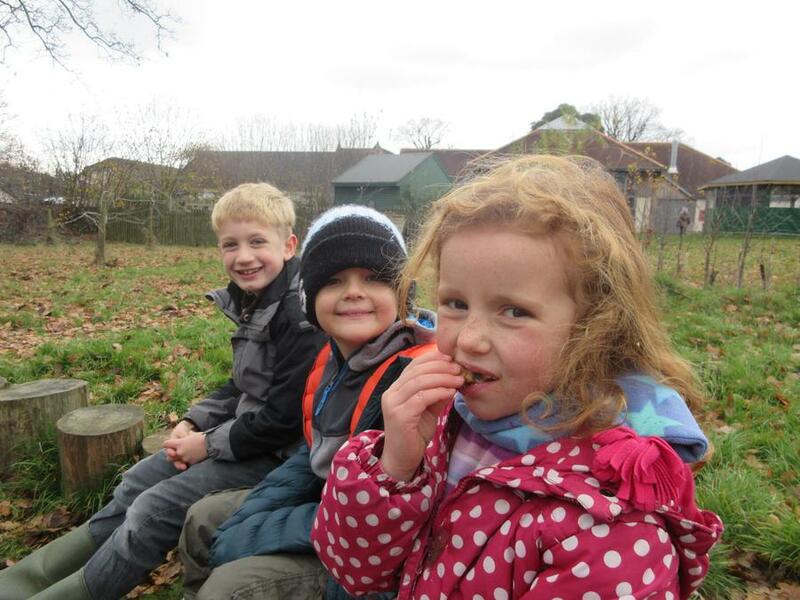 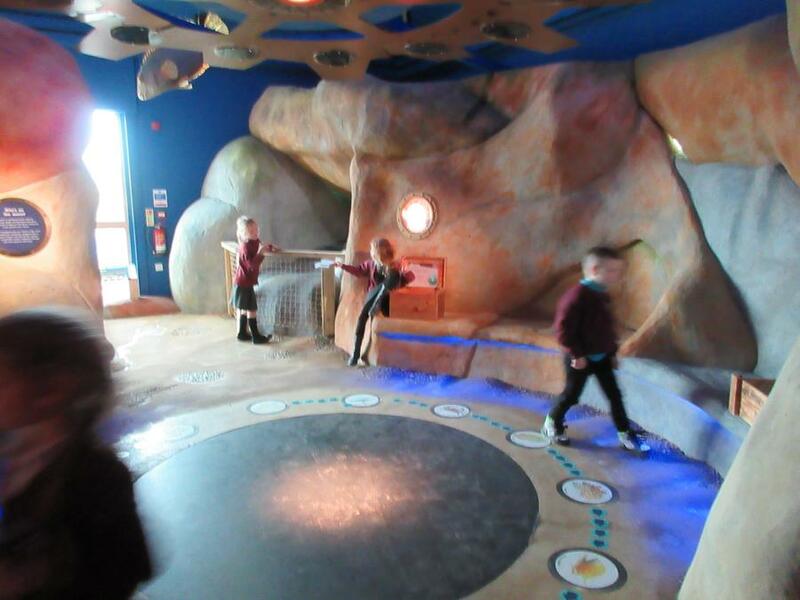 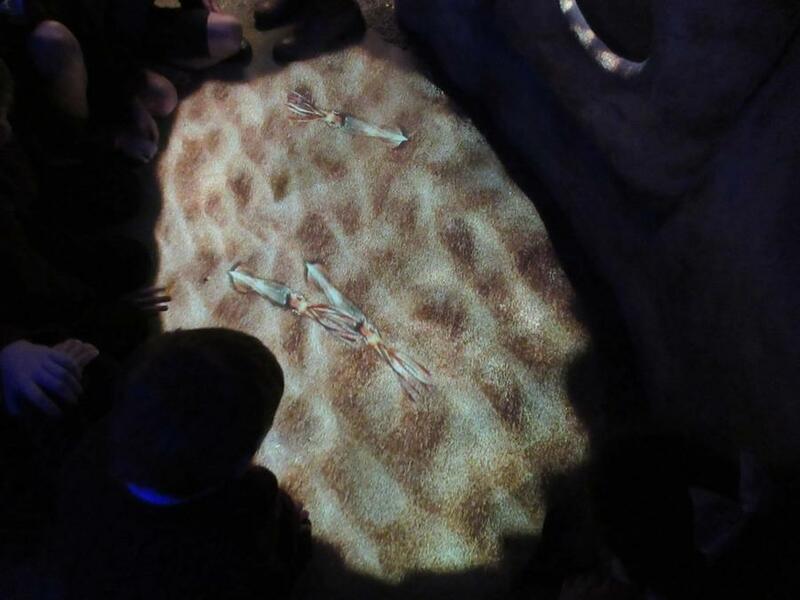 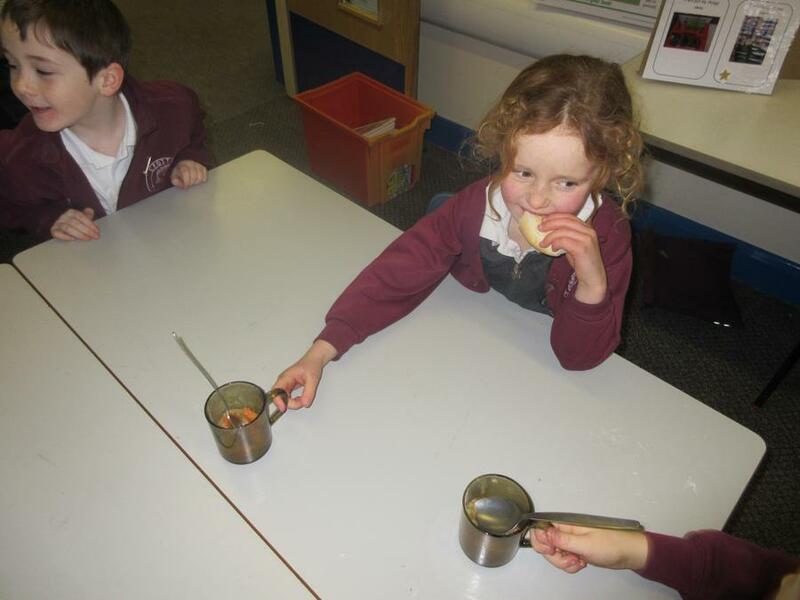 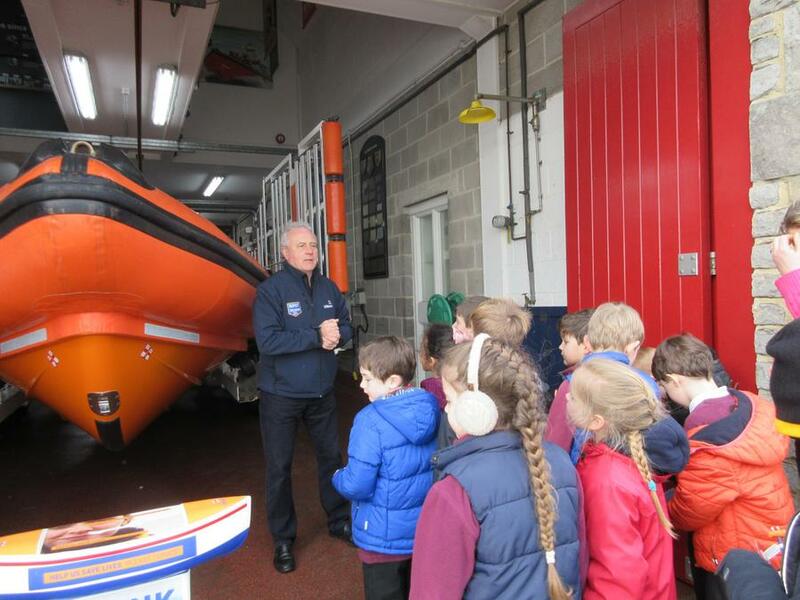 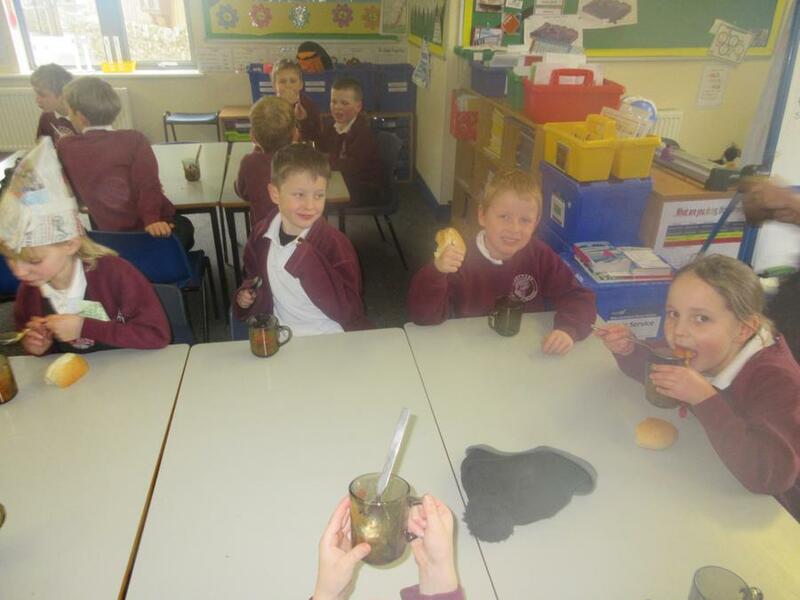 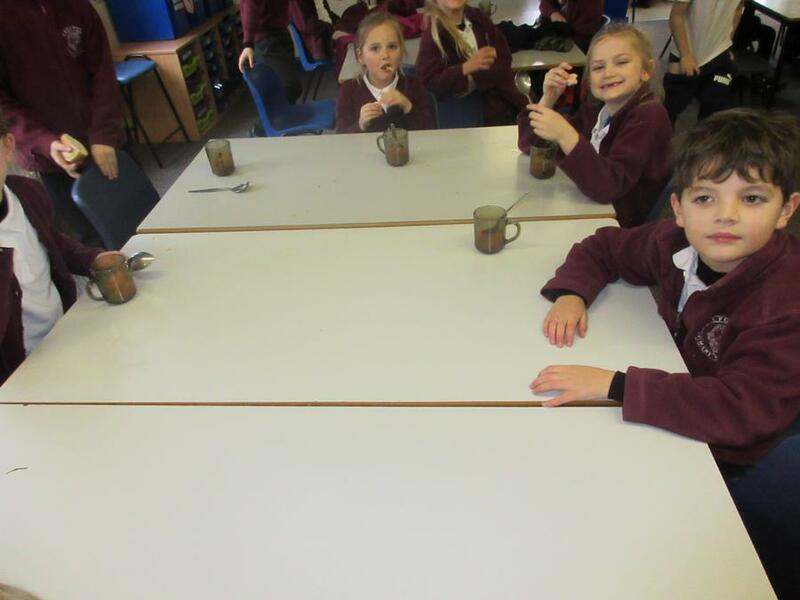 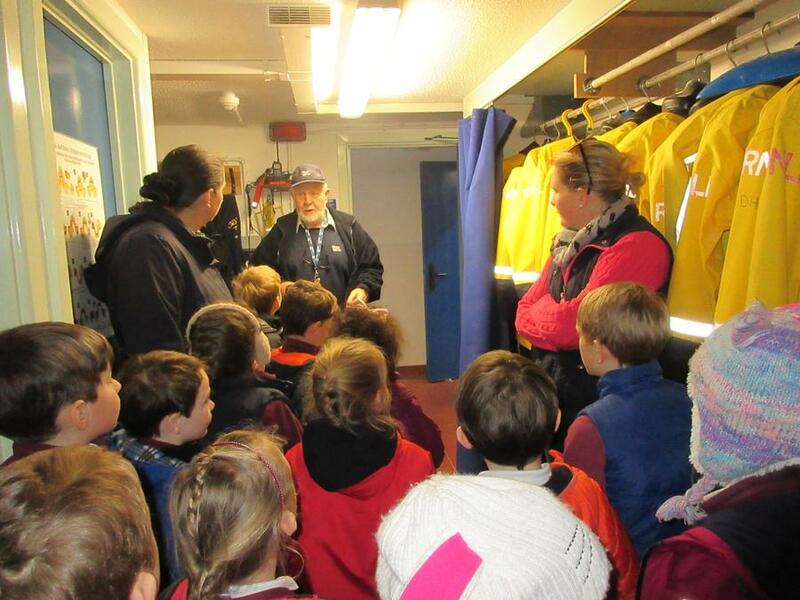 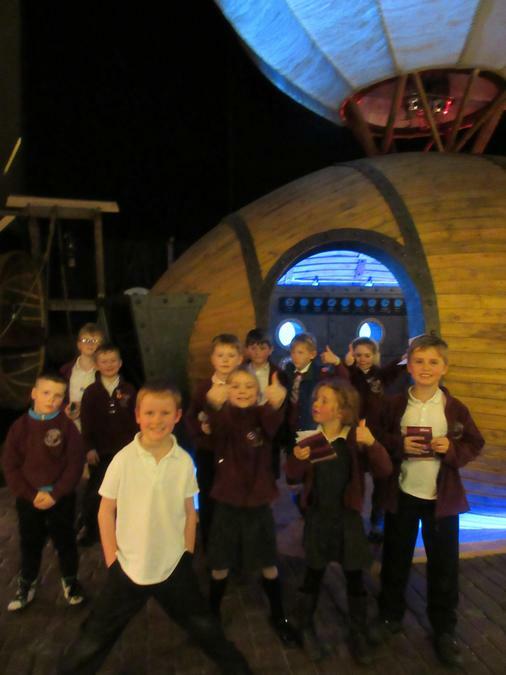 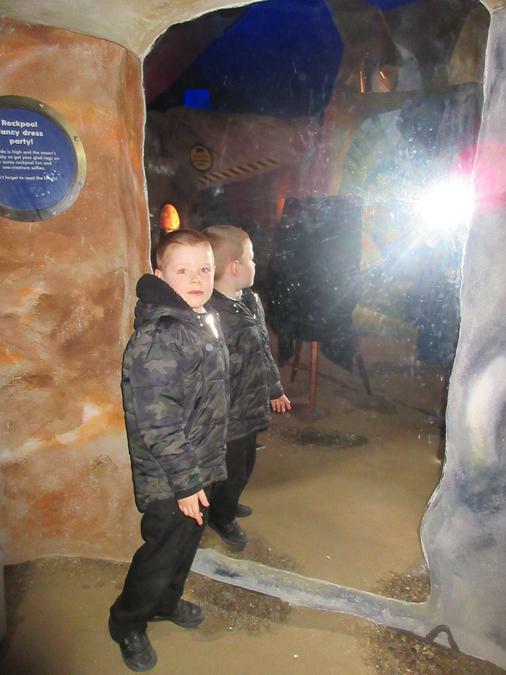 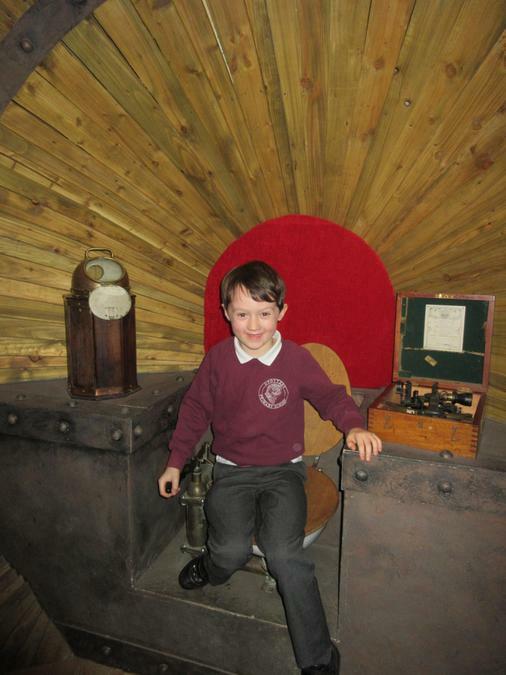 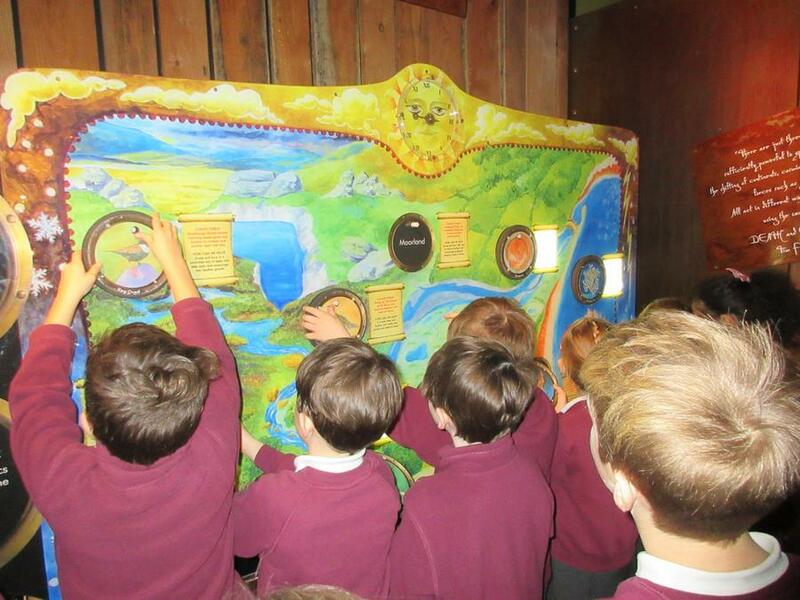 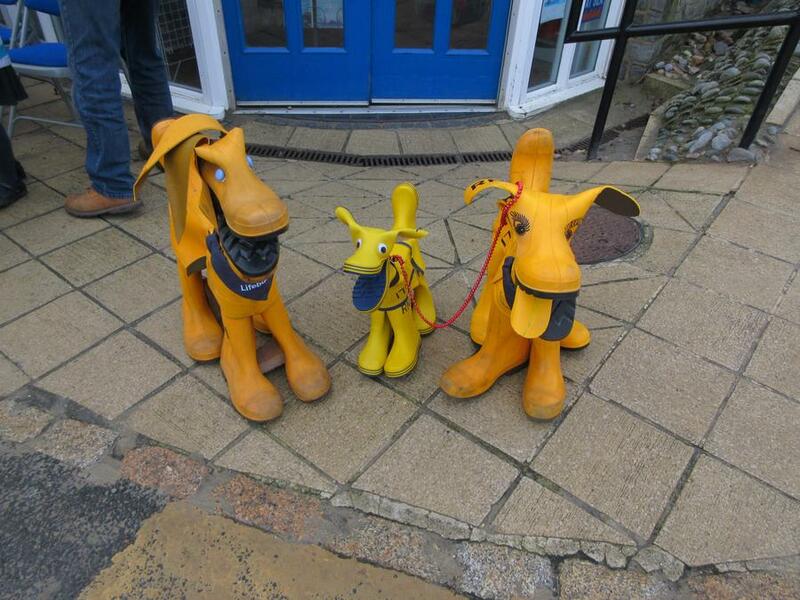 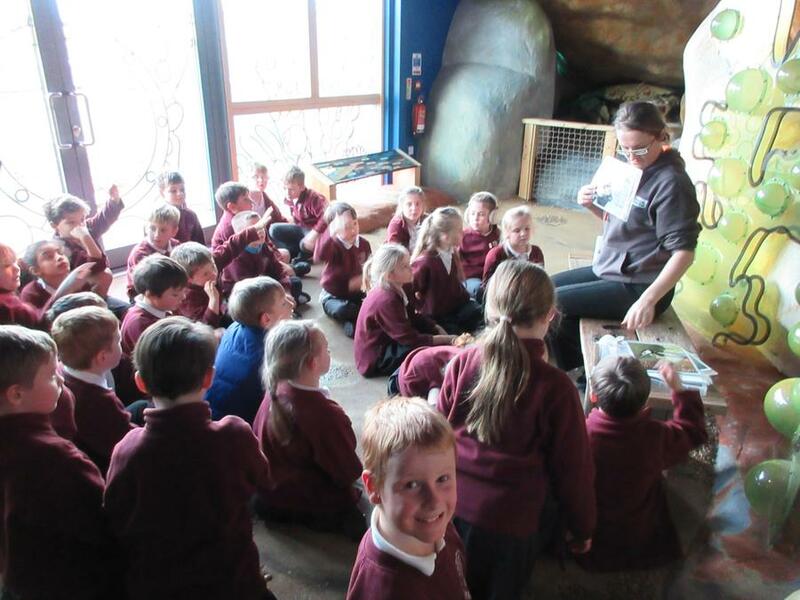 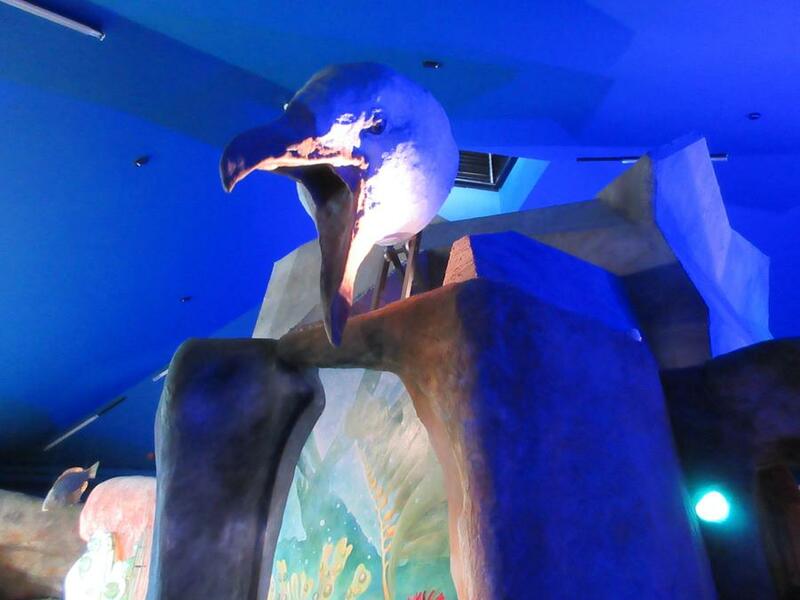 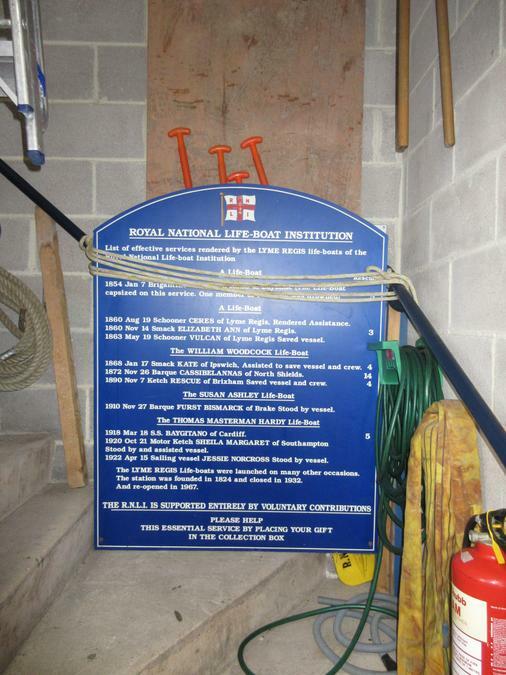 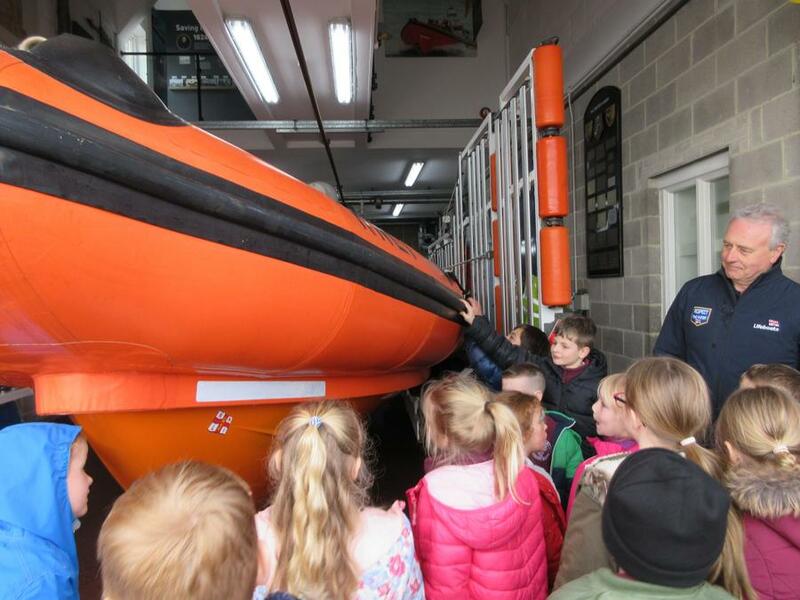 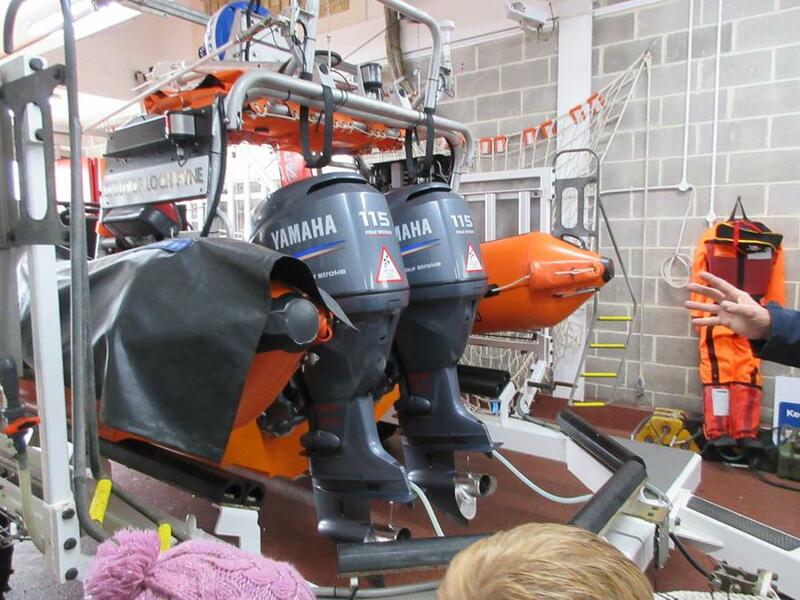 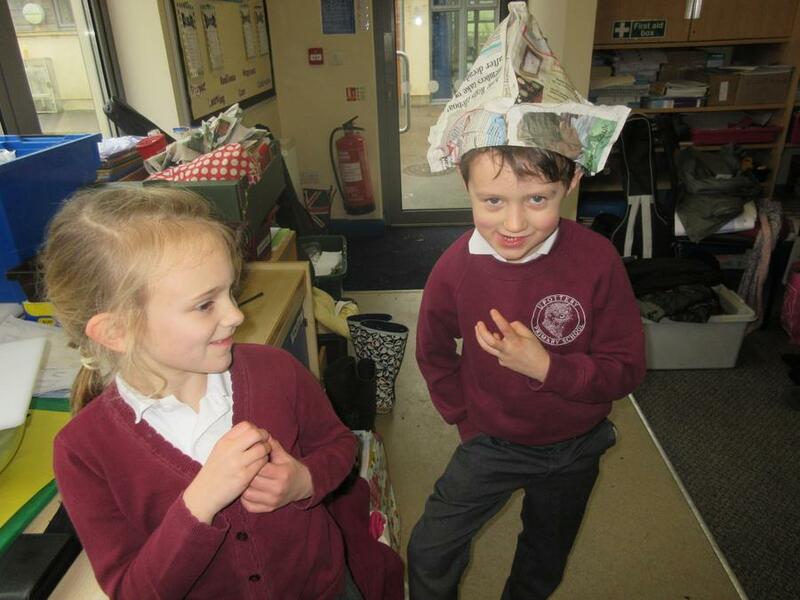 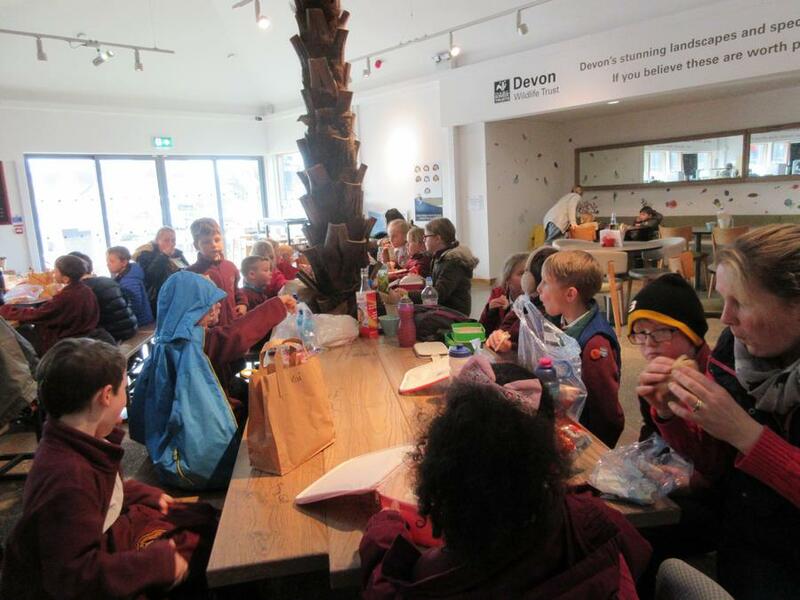 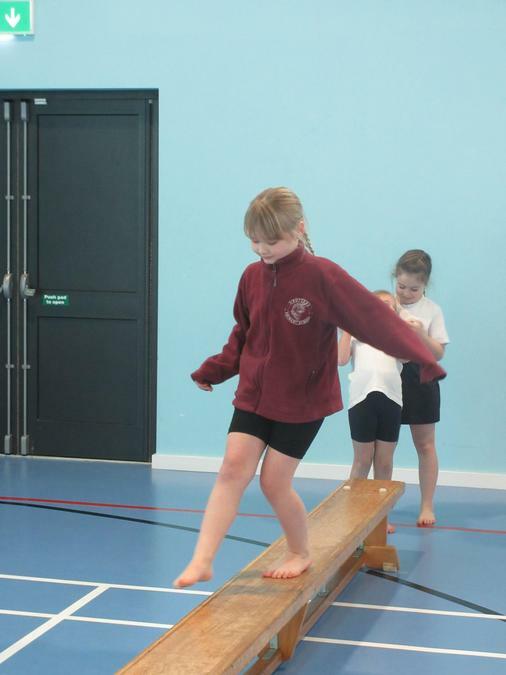 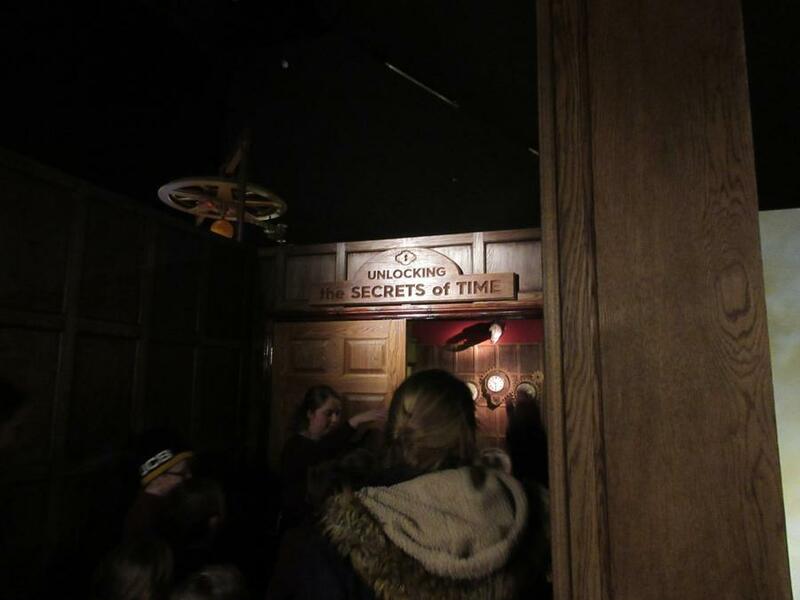 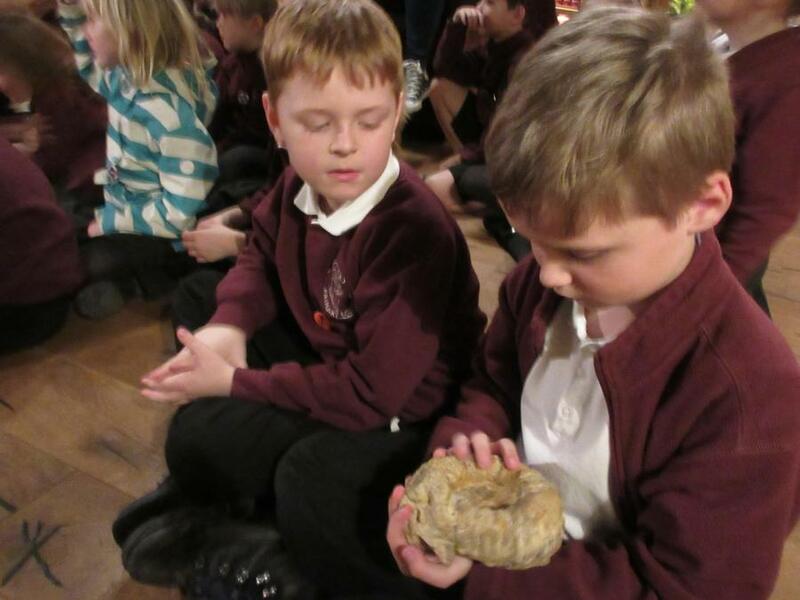 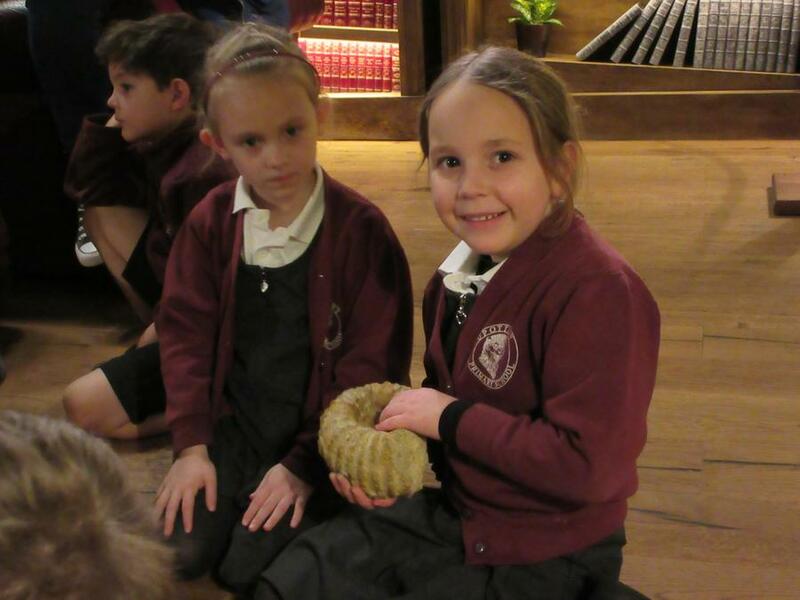 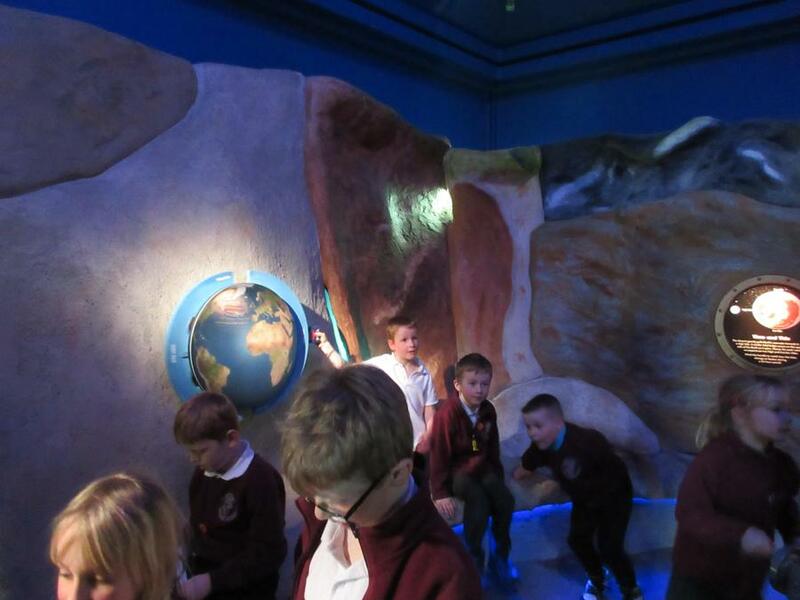 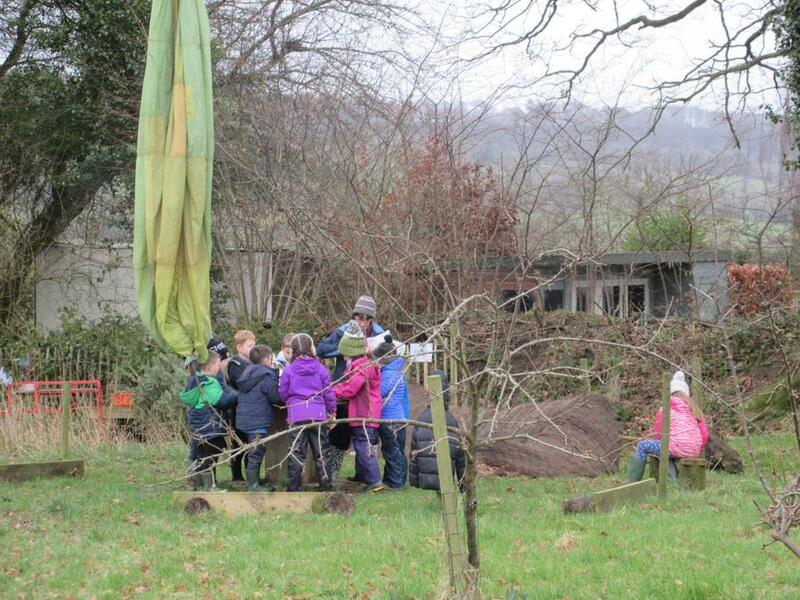 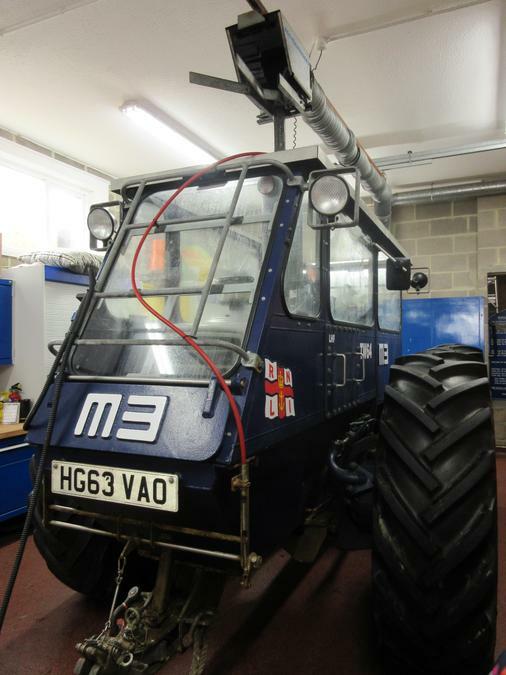 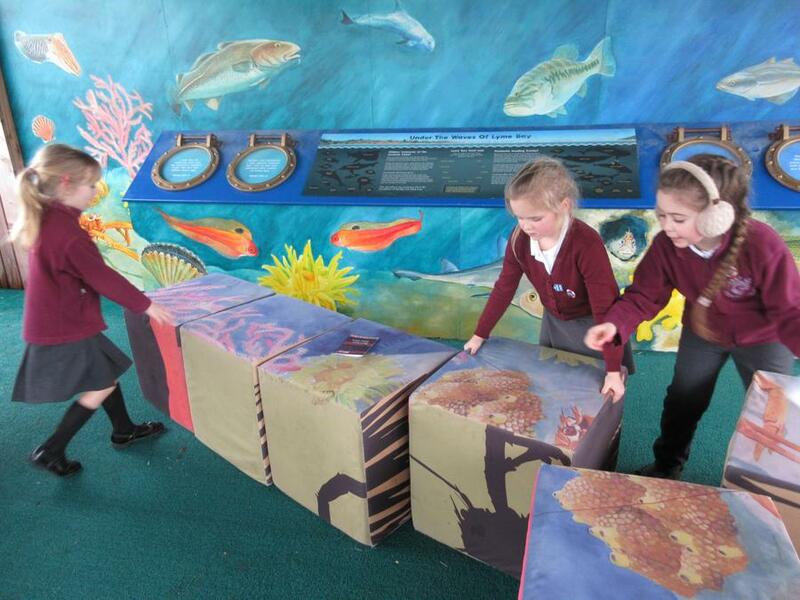 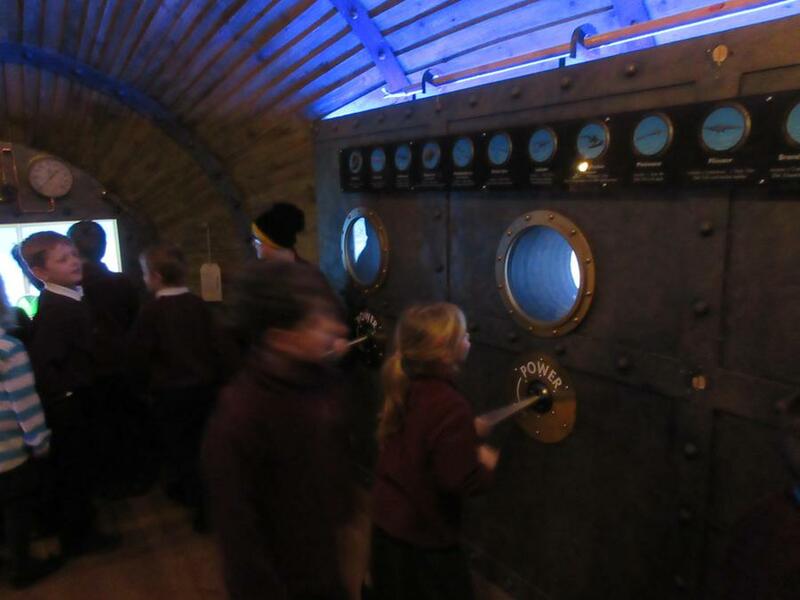 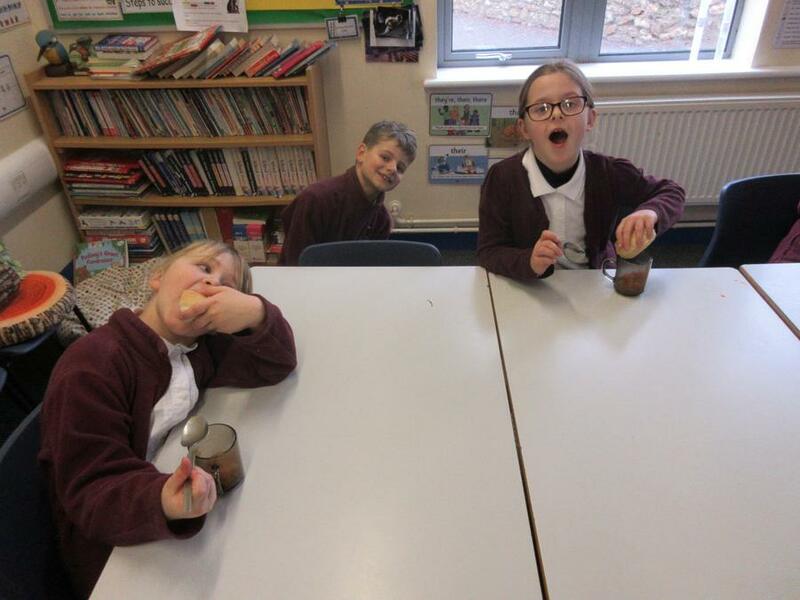 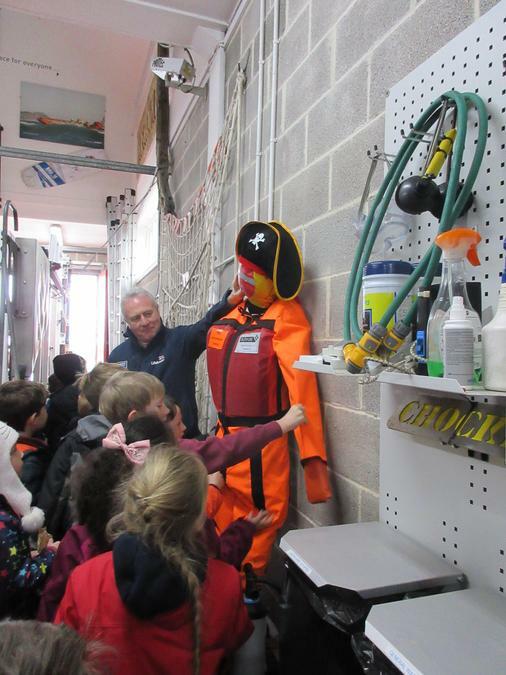 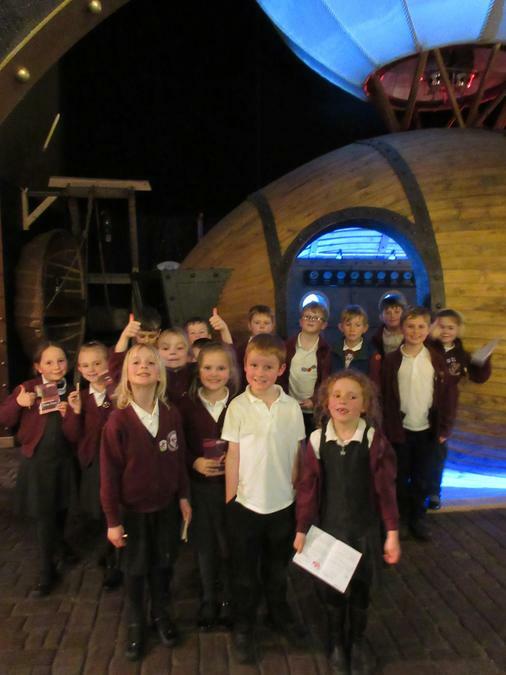 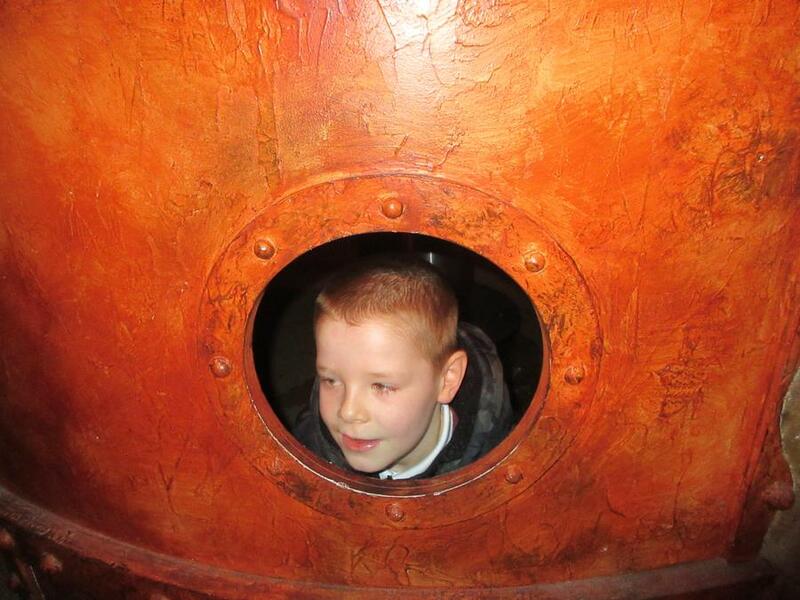 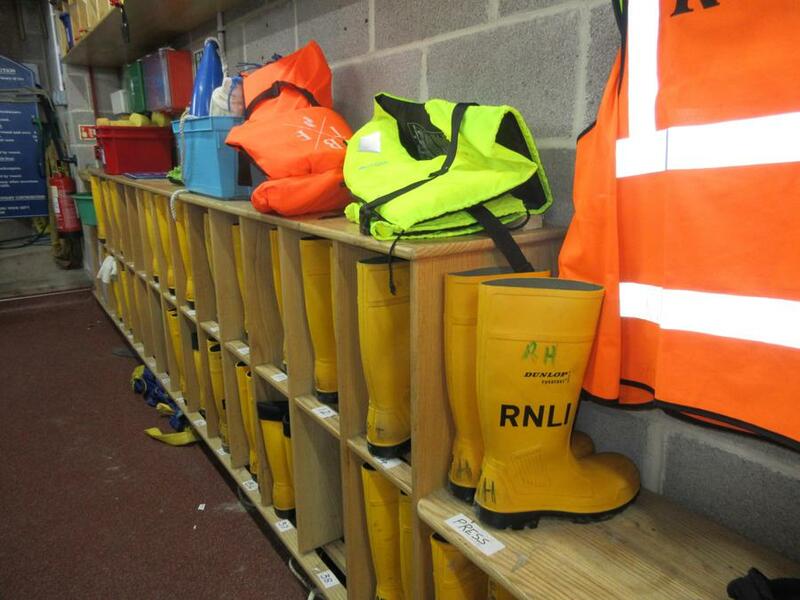 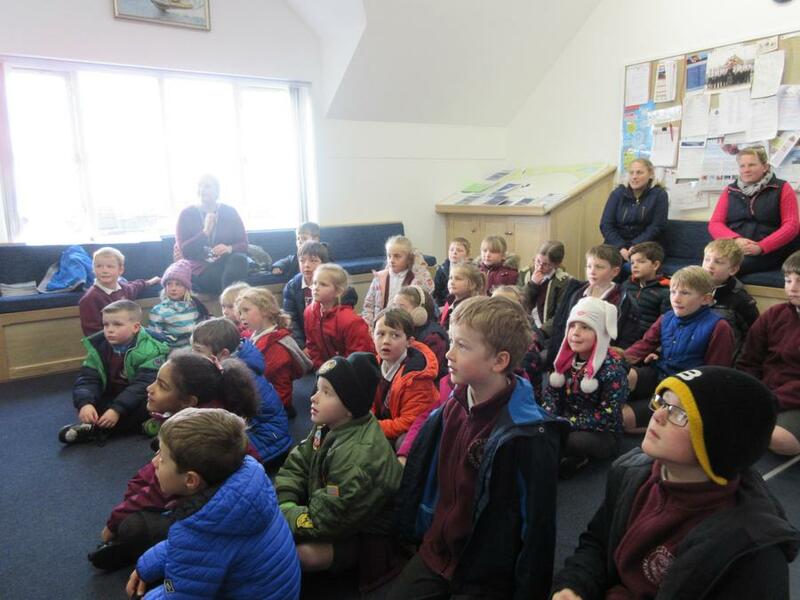 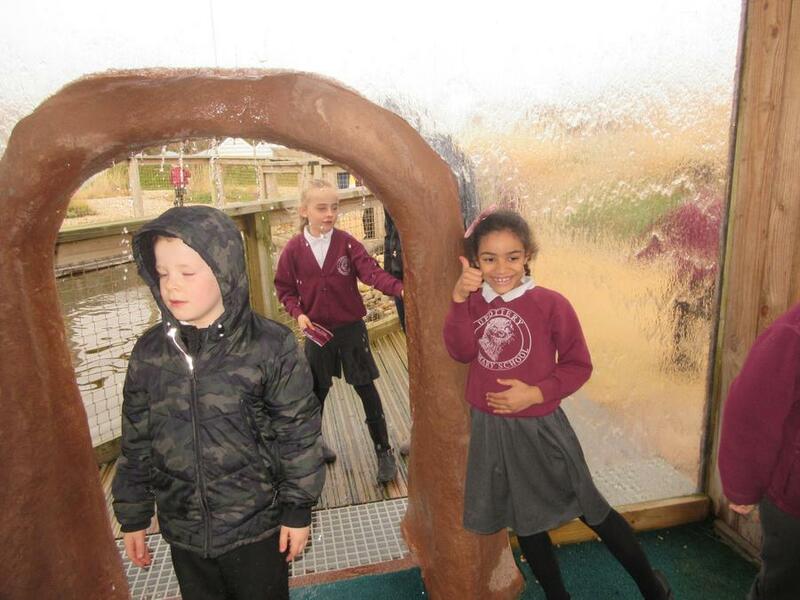 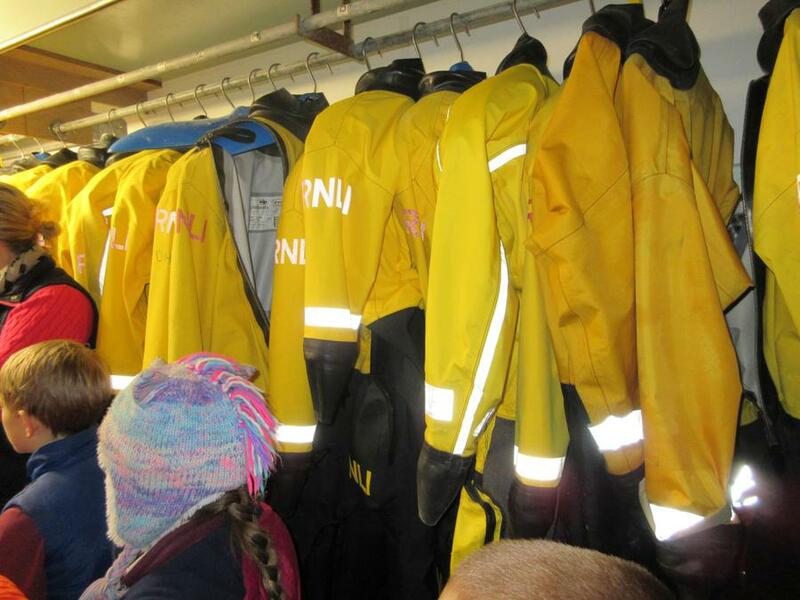 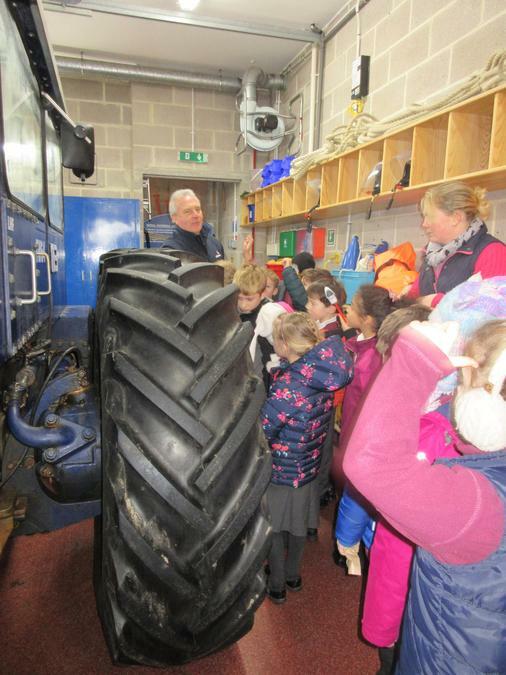 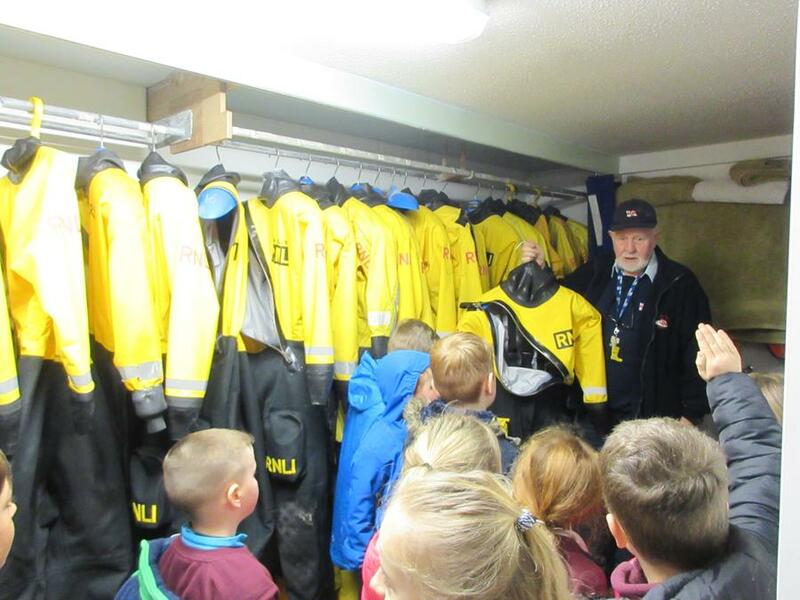 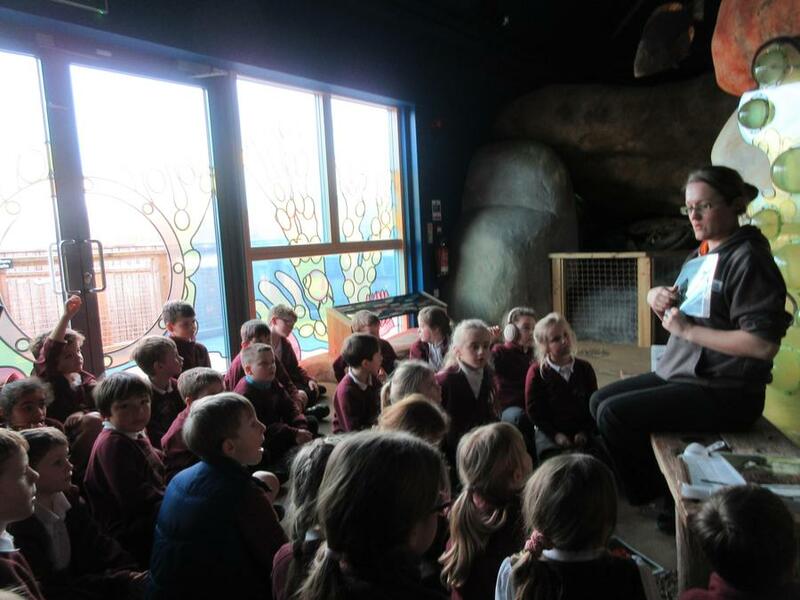 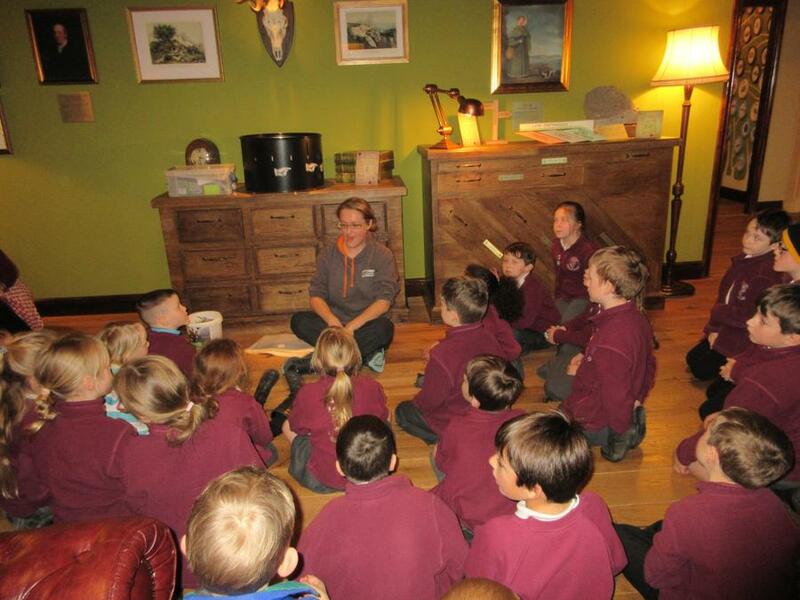 On Wednesday 6th February Kingfisher Class visited the Lyme Regis Life Boat Centre and Seaton Jurassic Centre. 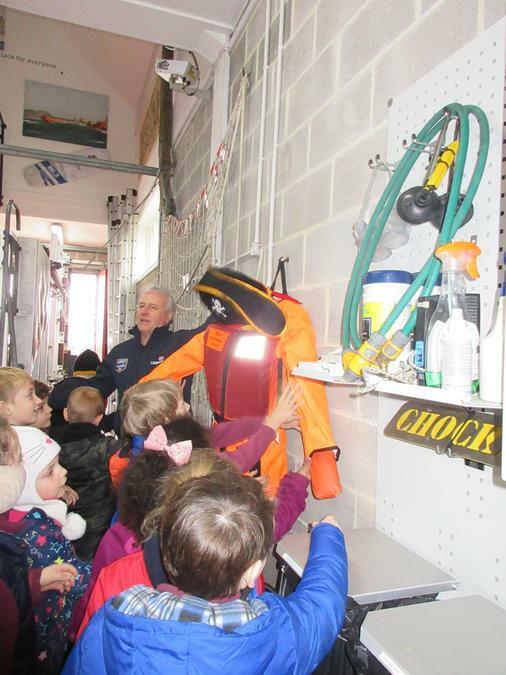 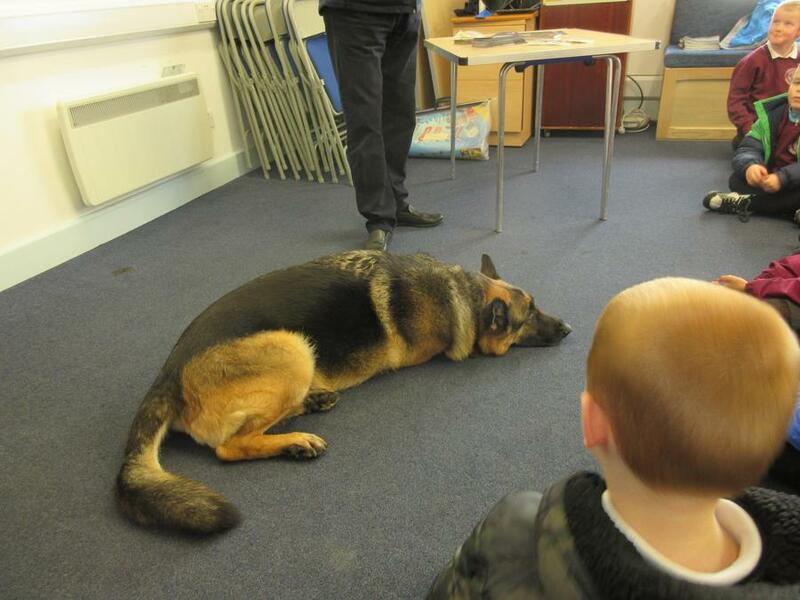 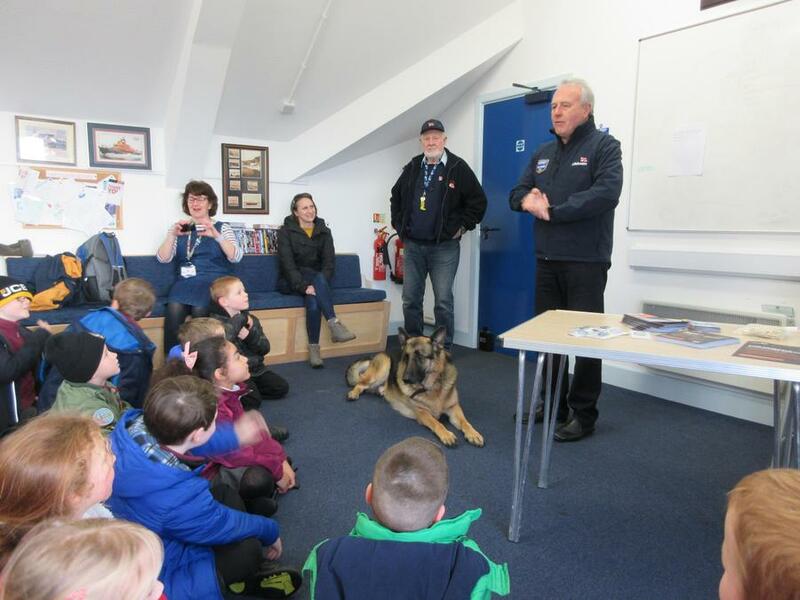 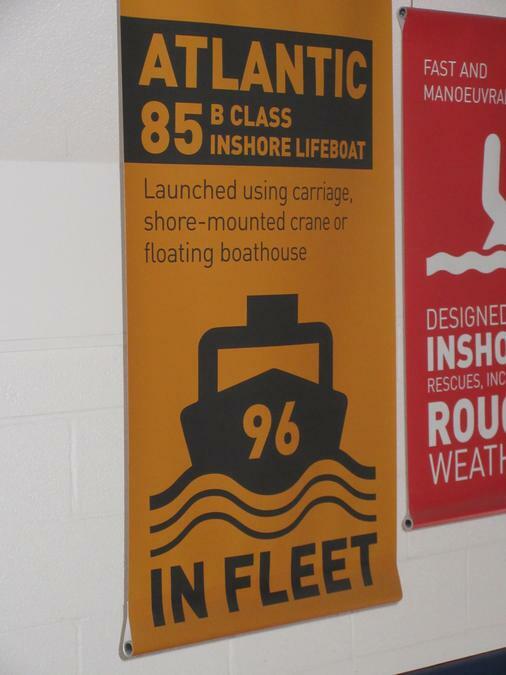 The children had a lovely time learning interesting facts about how to stay safe at sea and what to do in an emergency. 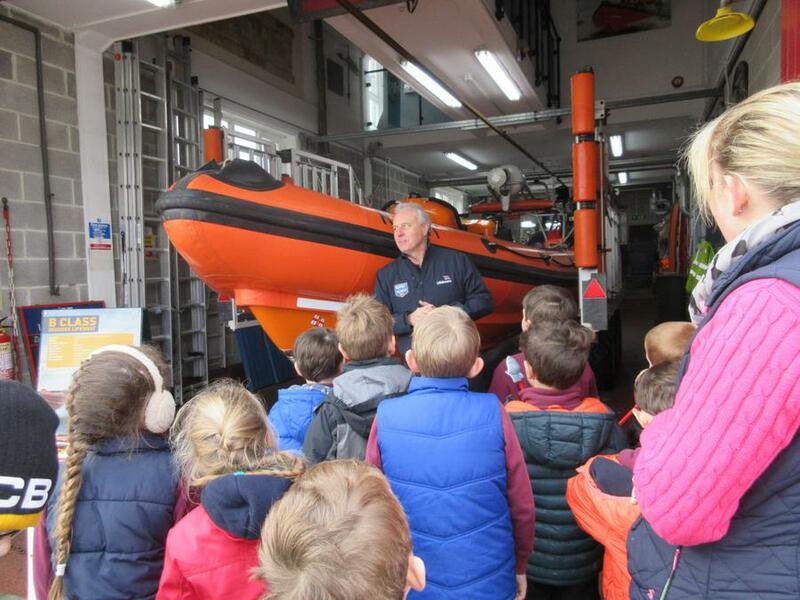 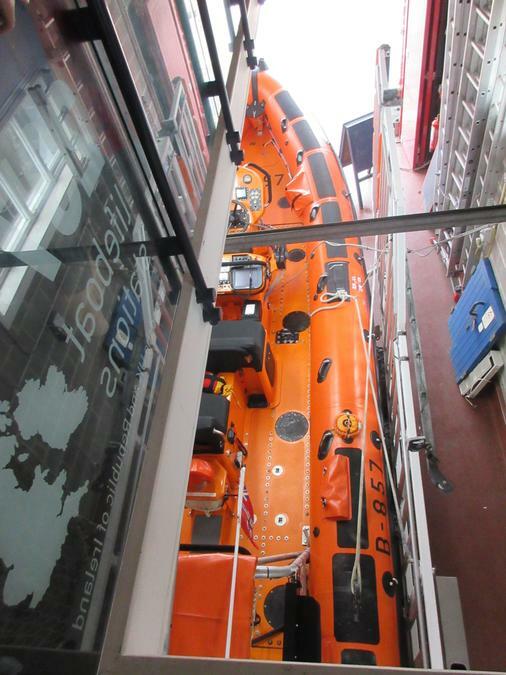 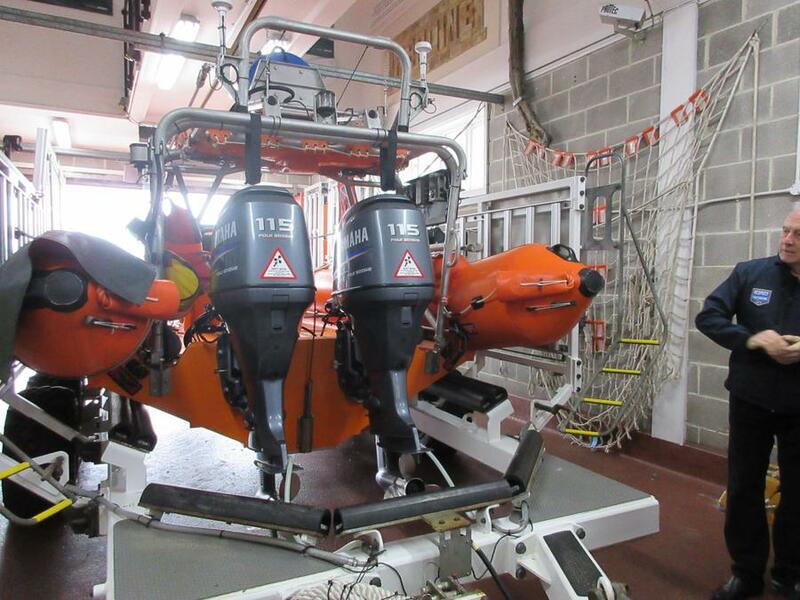 It was really interesting to hear some of the personal stories from the volunteers that support the centre and the crew. 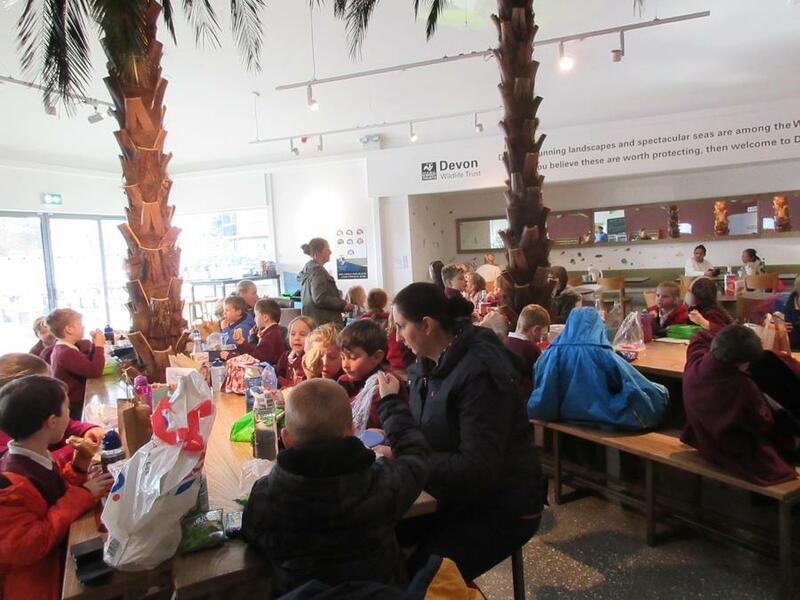 After a quick trip along the coast we ate our lunch at the Jurassic Centre. 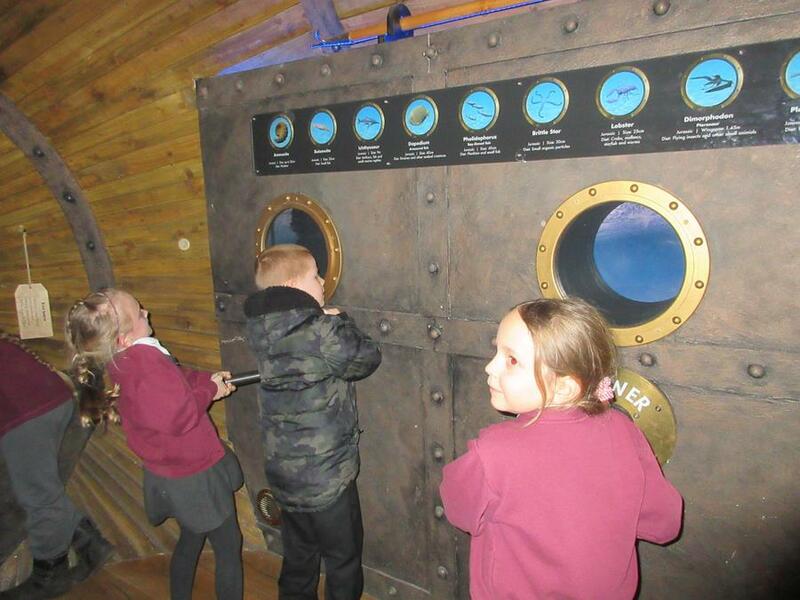 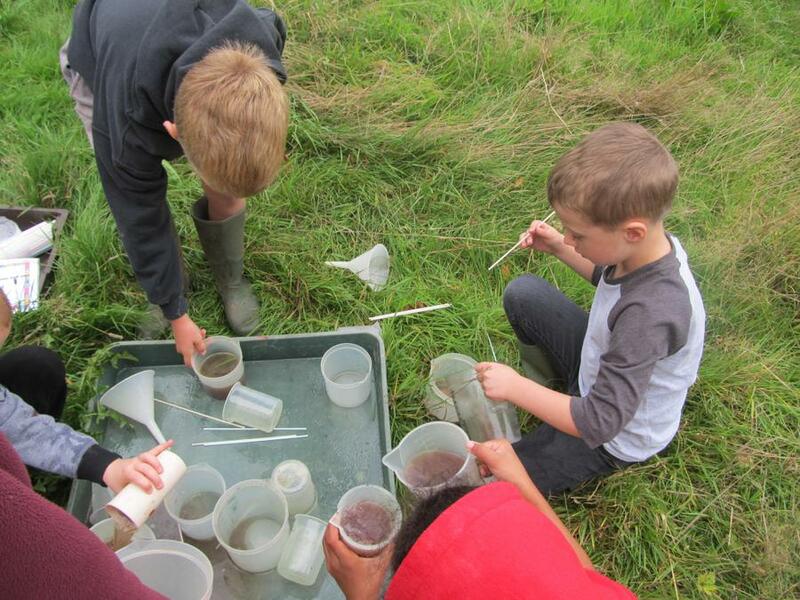 Here the children went back in time to learn about how animals and sea creatures have adapted to cope in harsh living conditions. 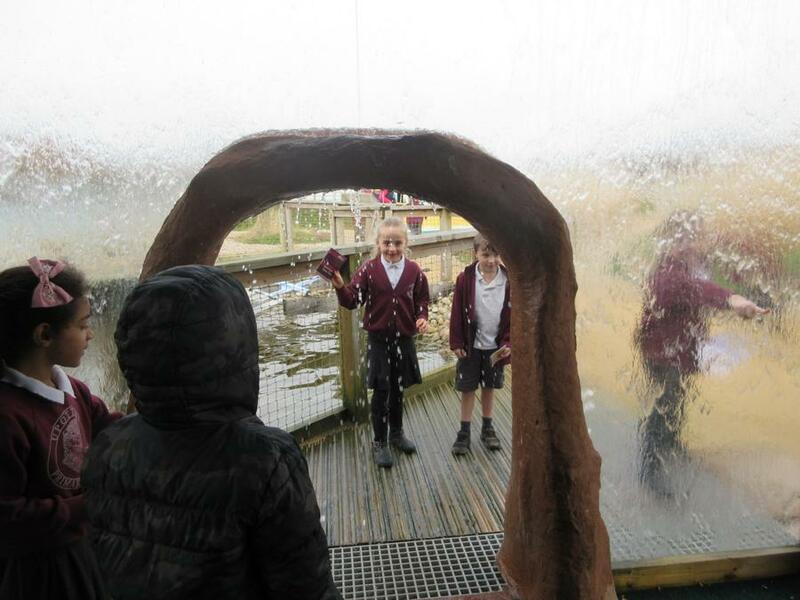 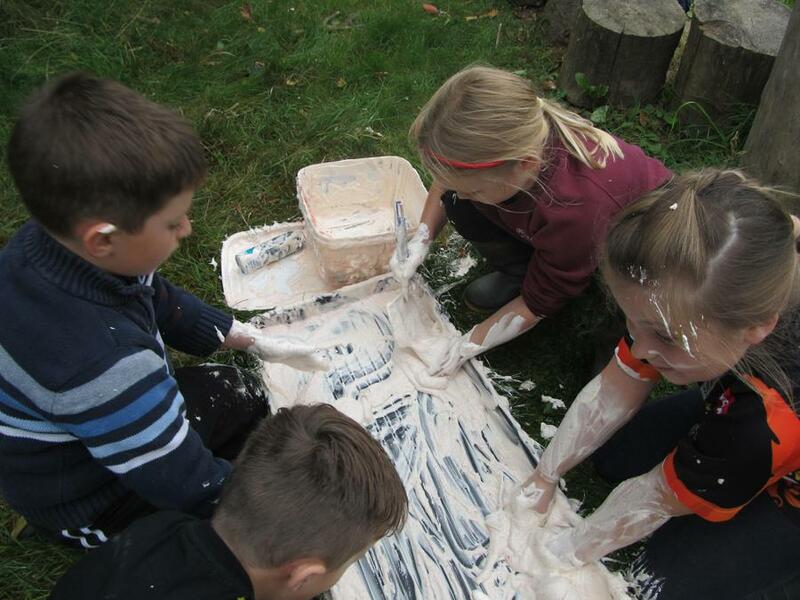 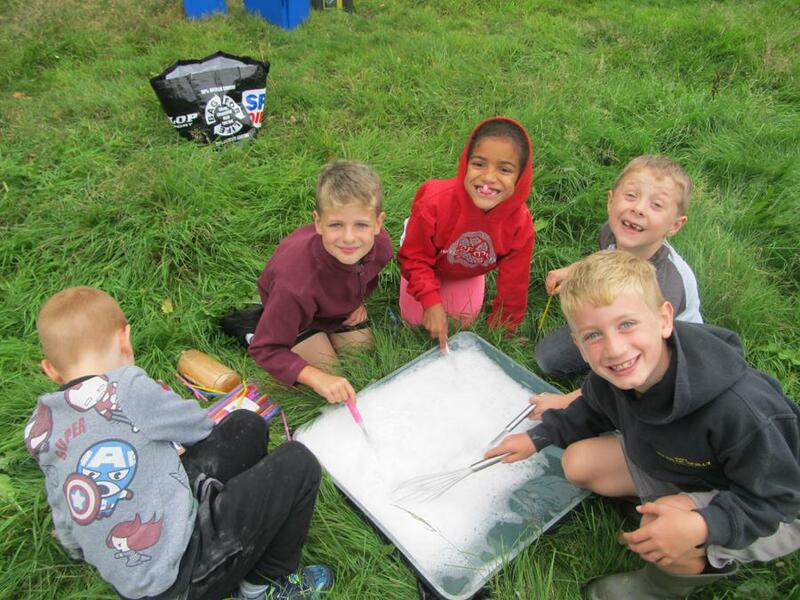 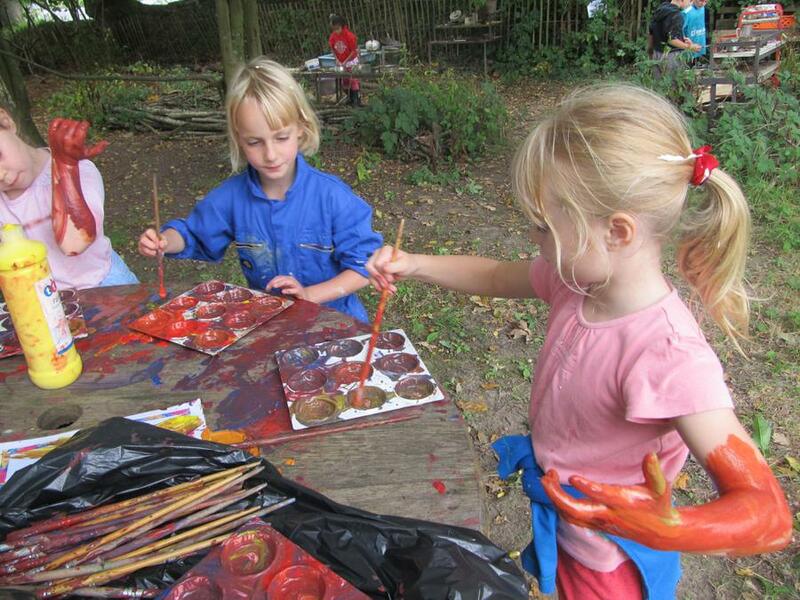 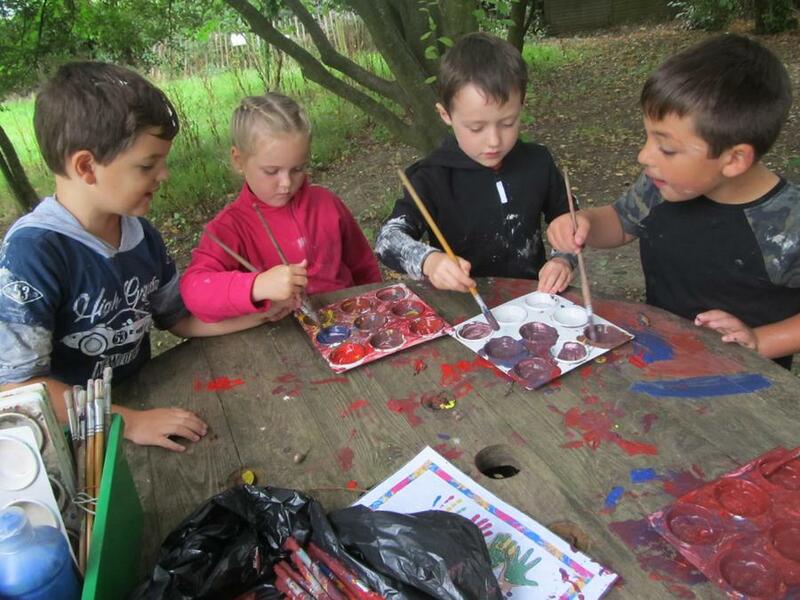 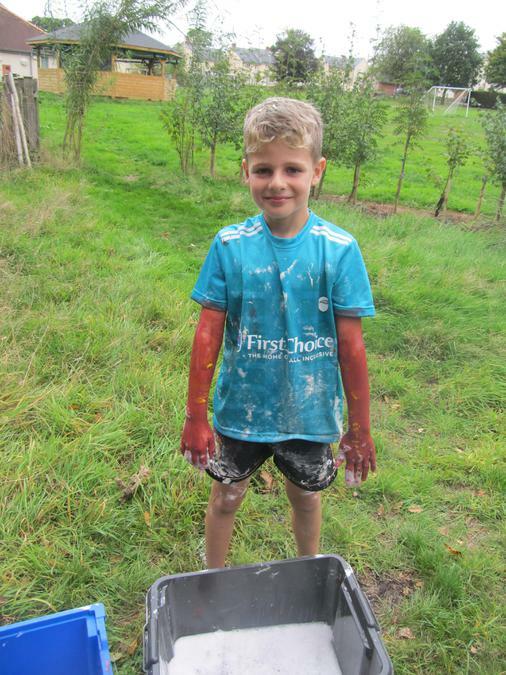 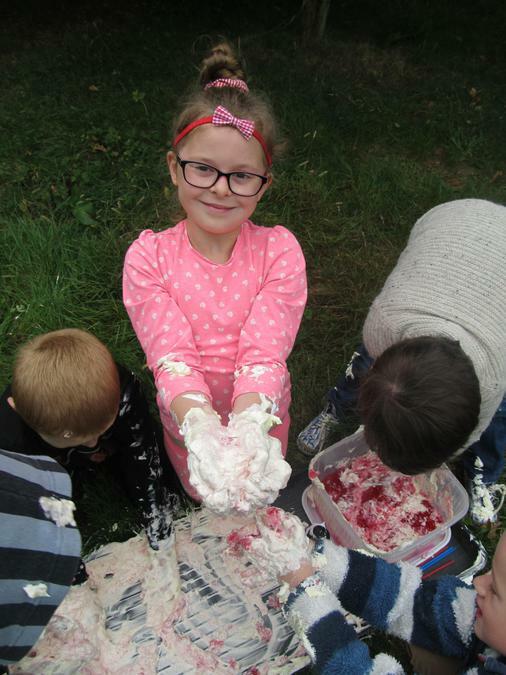 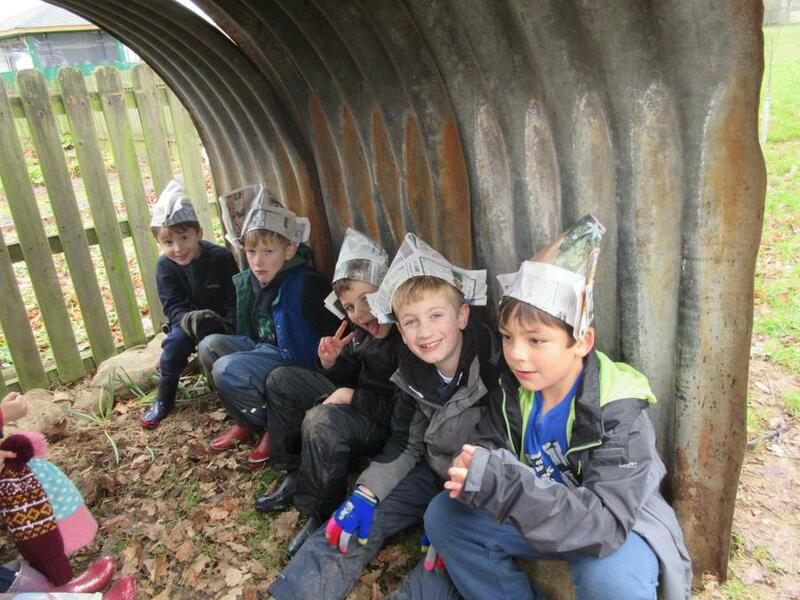 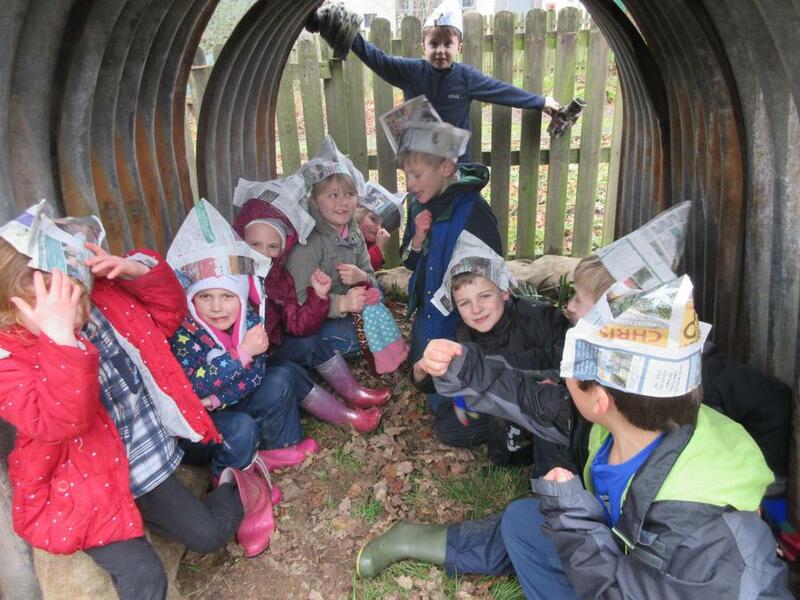 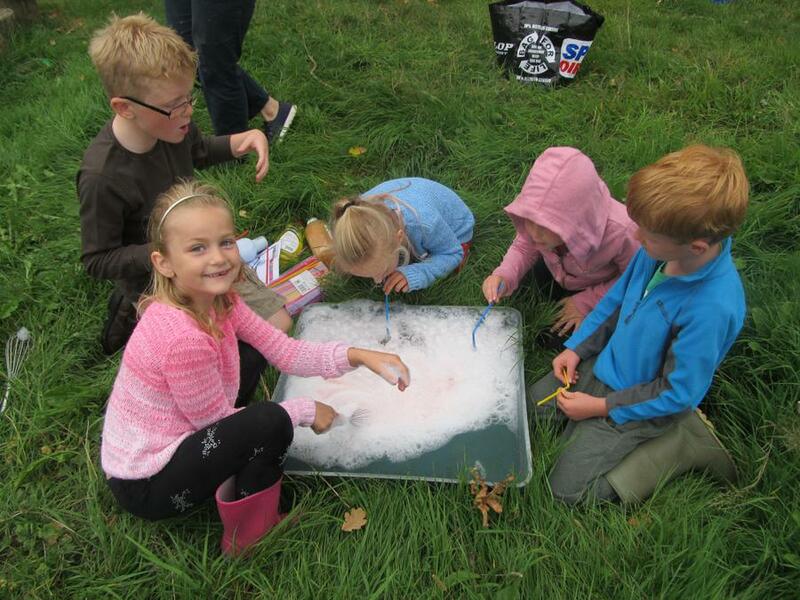 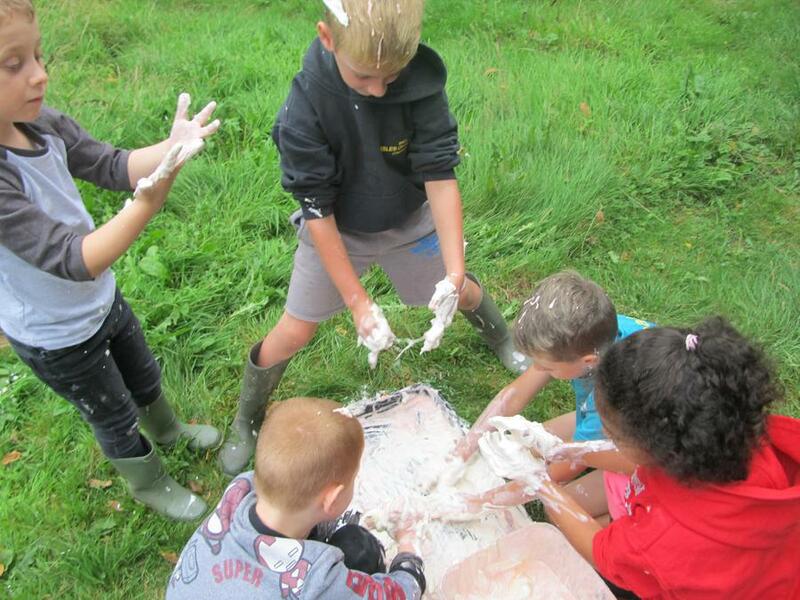 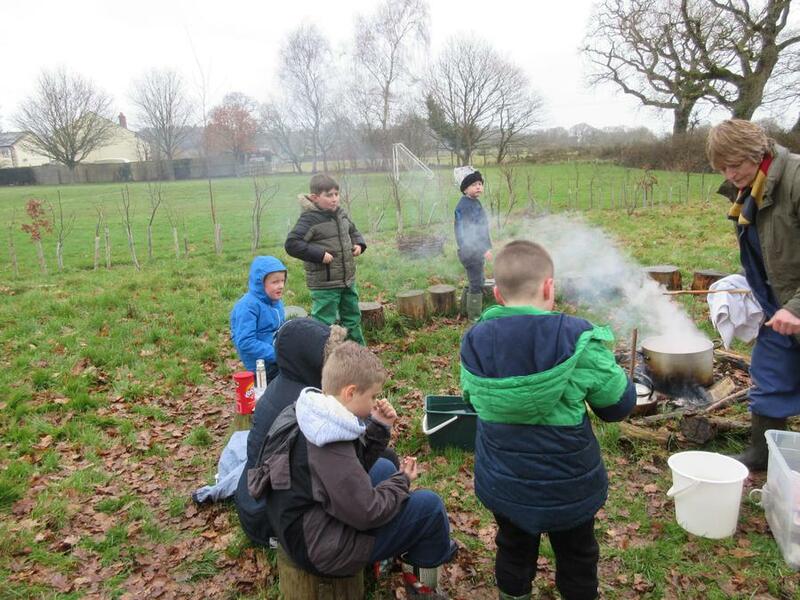 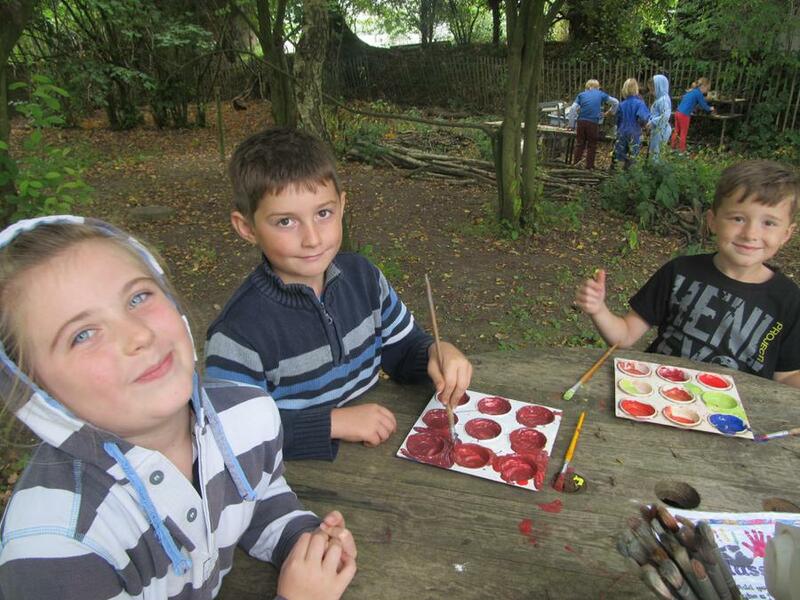 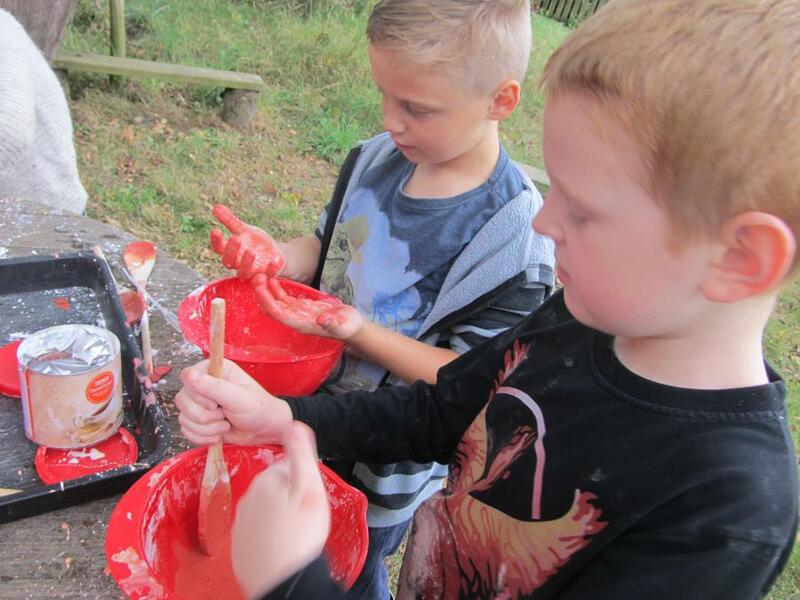 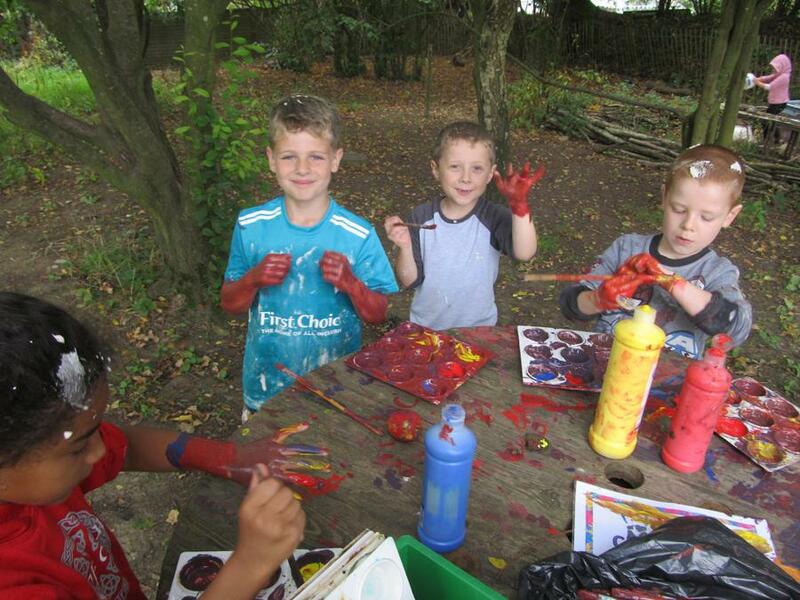 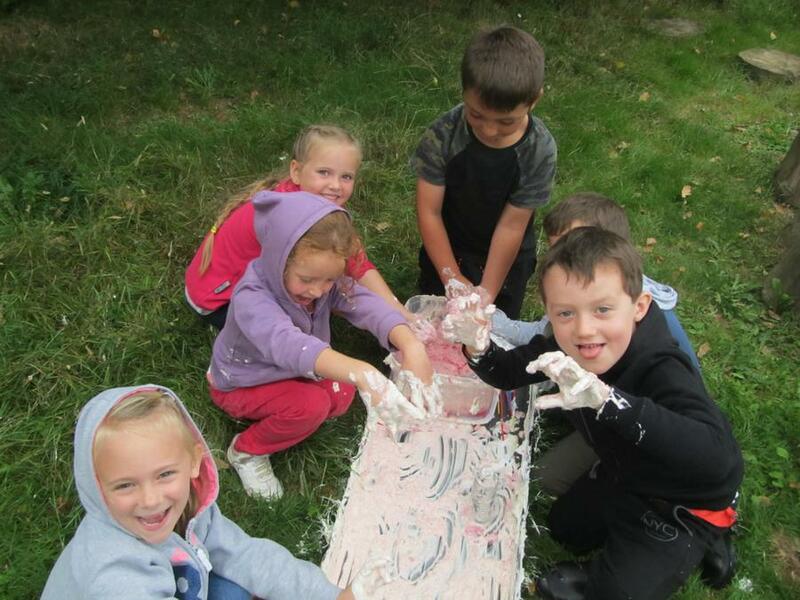 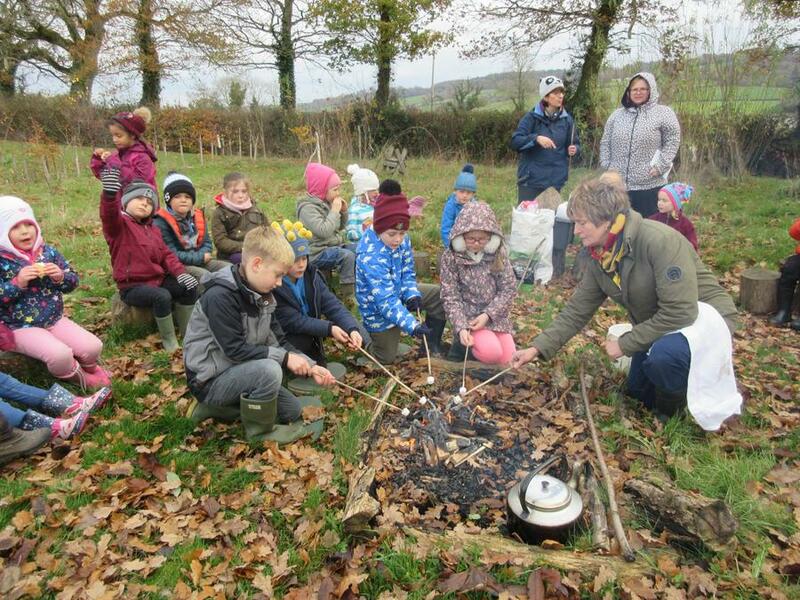 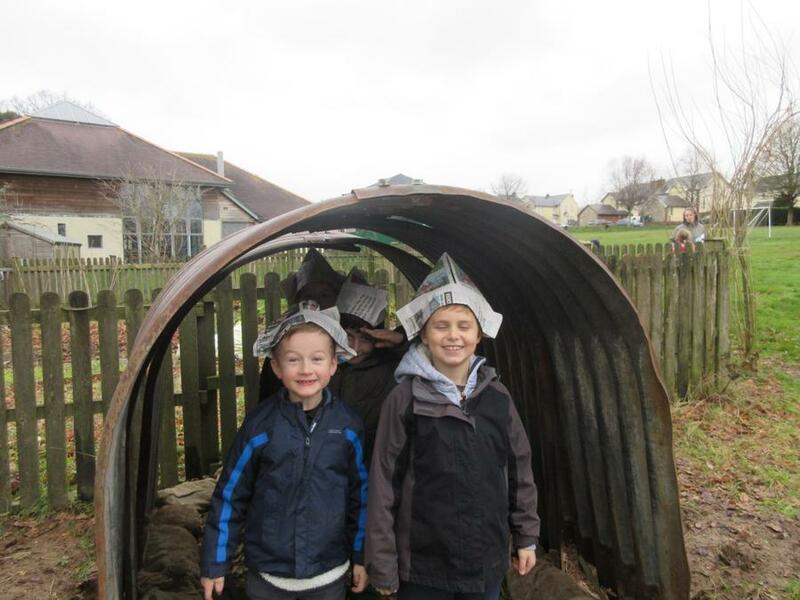 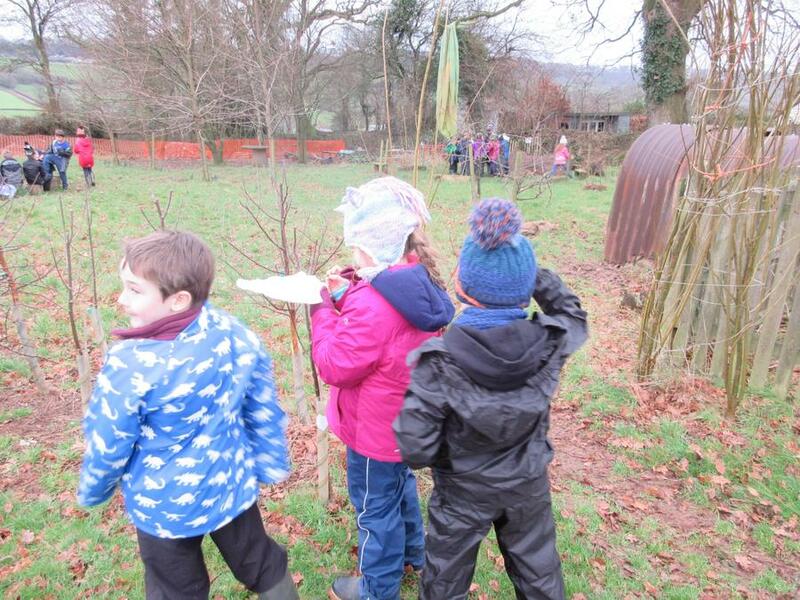 They learnt lots about habitats, features of different animals and why animals camouflage themselves in their surroundings. 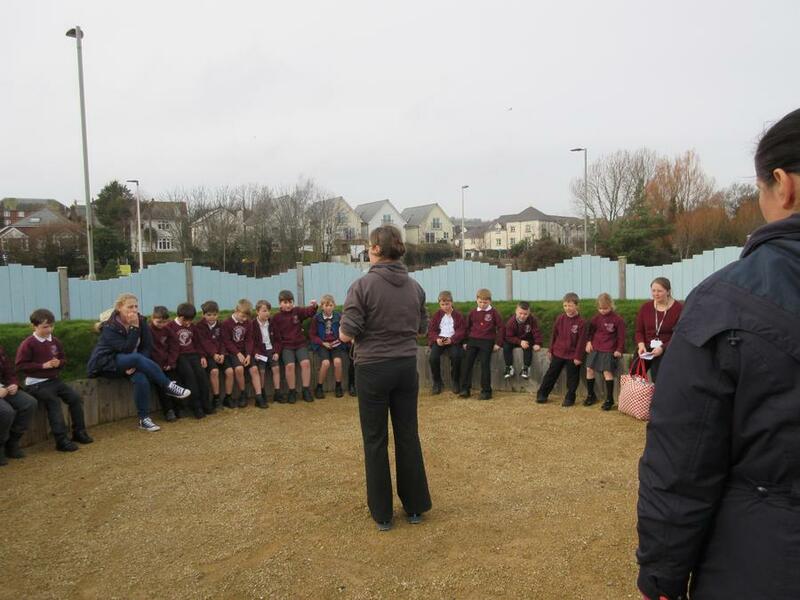 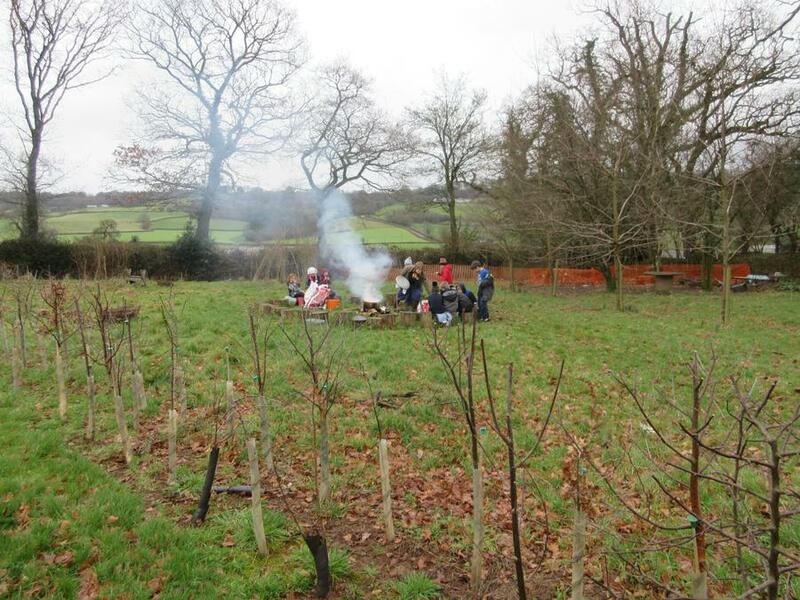 We are all very grateful to the staff at both centres, who made the trip really engaging. 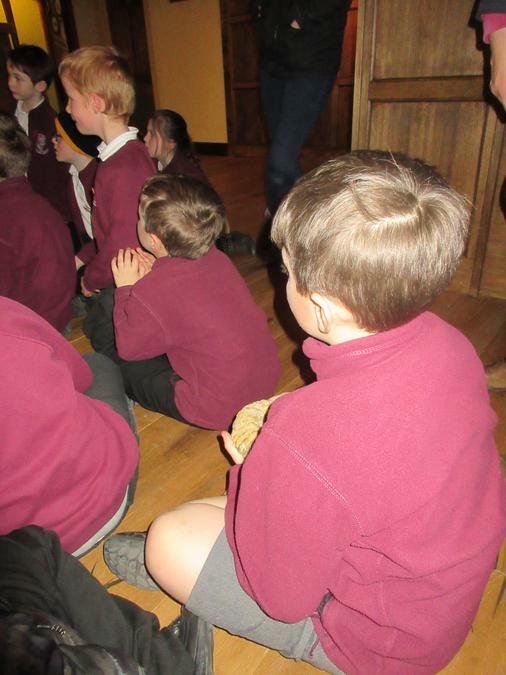 Similarly, we couldn't have gone on the trip without parental support. 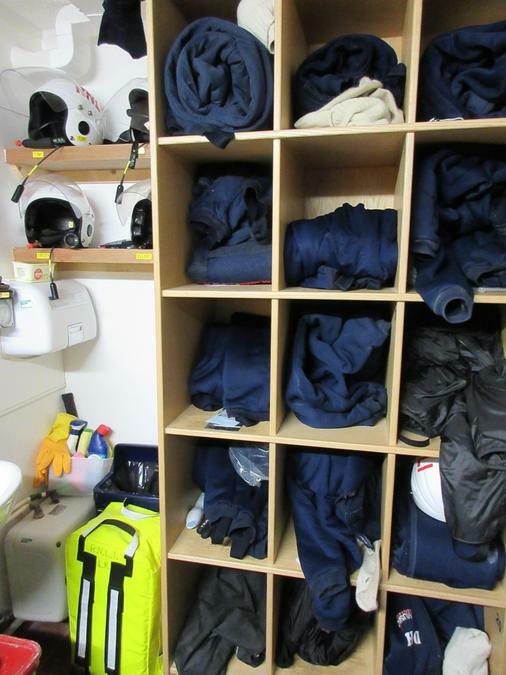 A big thank you to Bethany, Justine, Pamela, Vicky and parents who have offered to be on standby for any last minute changes. 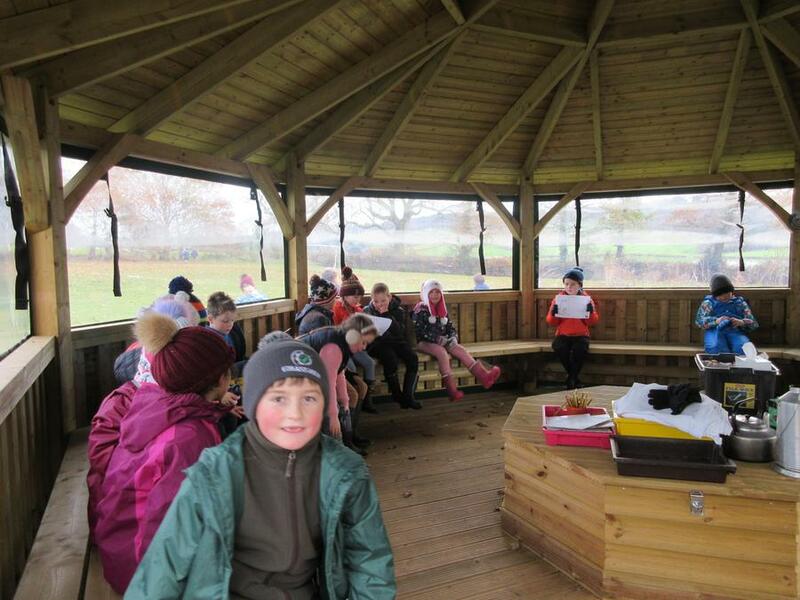 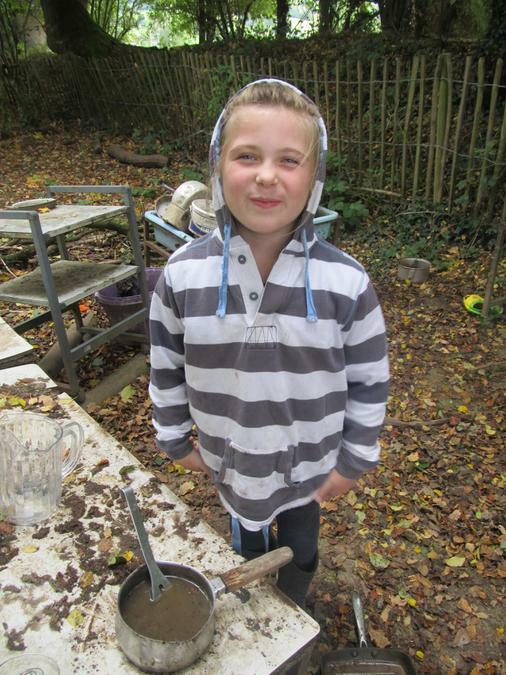 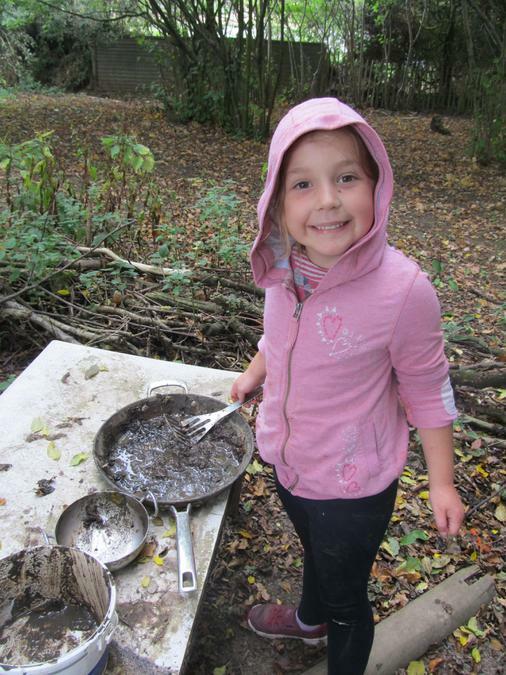 Outdoor Classroom Morning - Pirate Adventures! 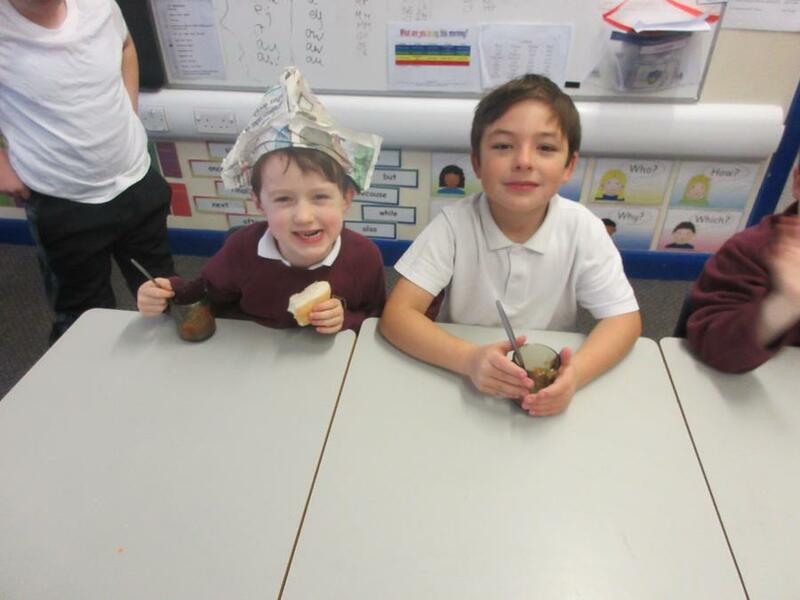 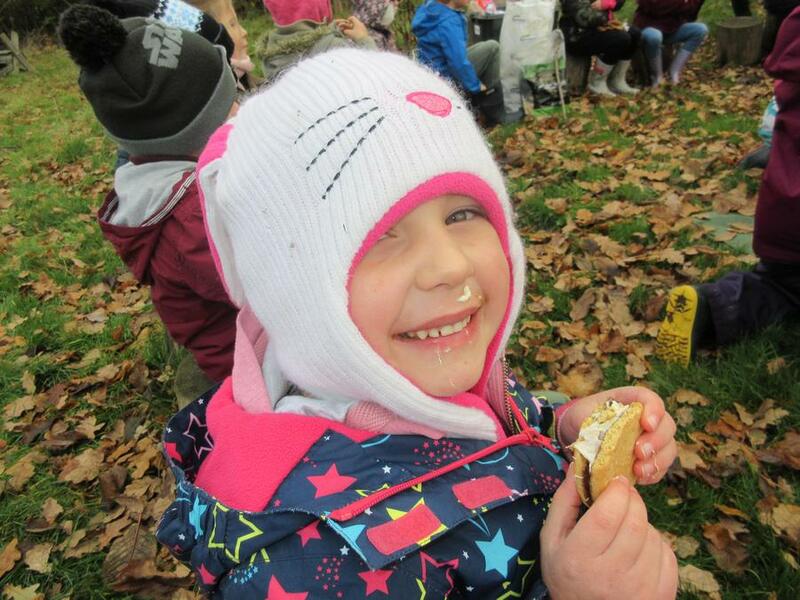 Cake Sale - Camera Fundraiser - January 2019 - THANK YOU!